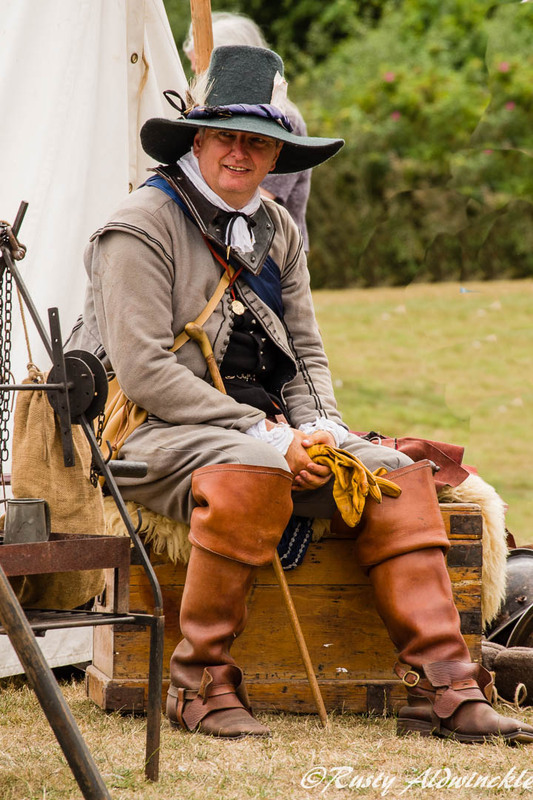 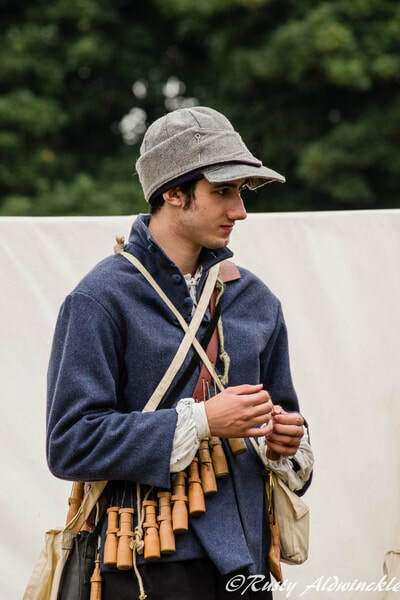 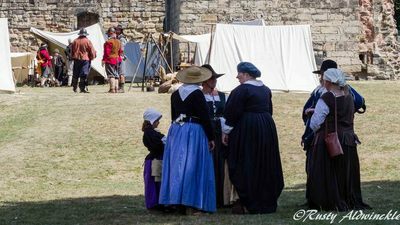 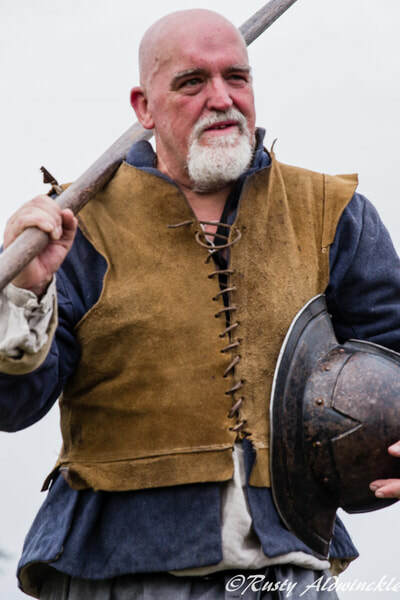 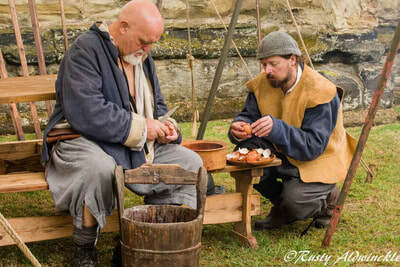 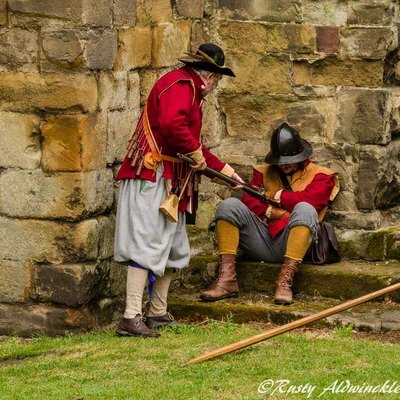 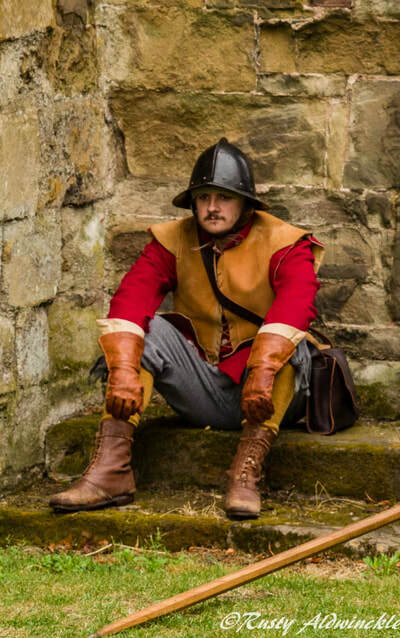 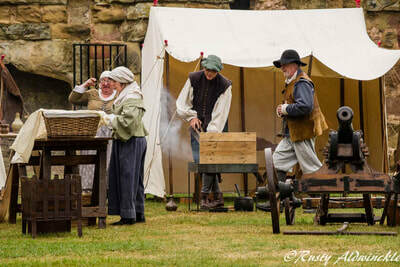 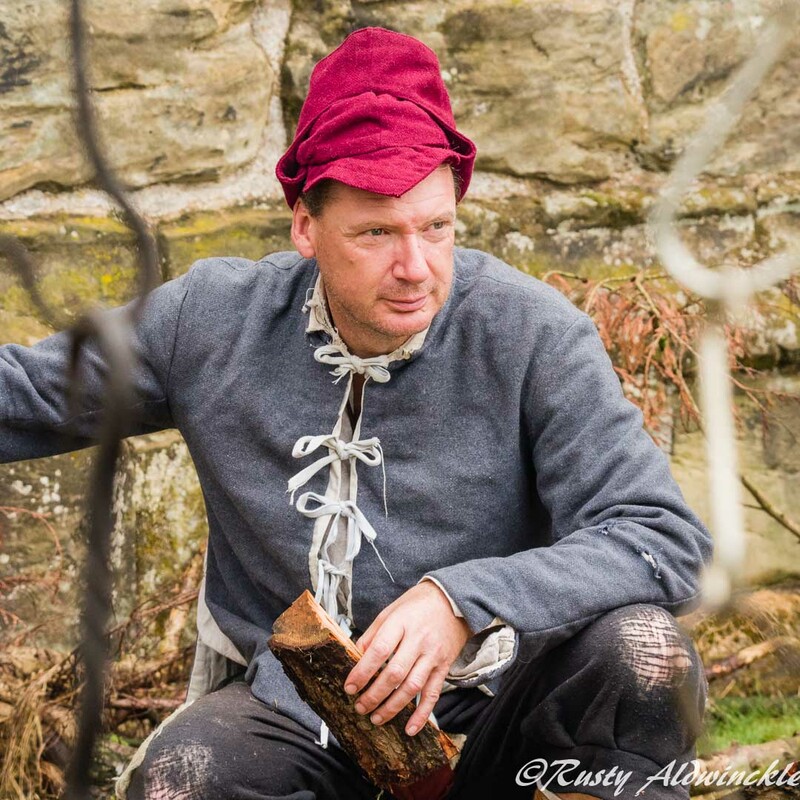 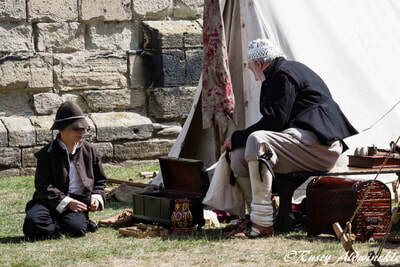 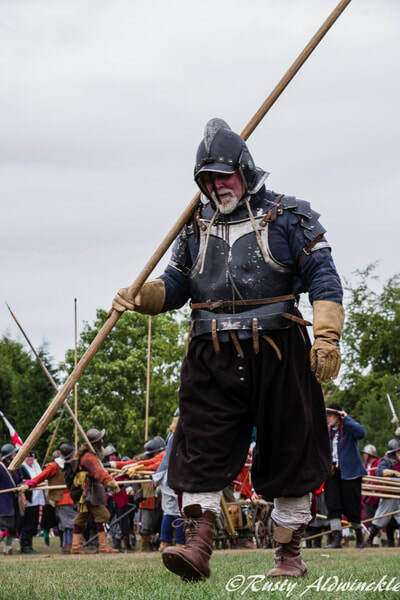 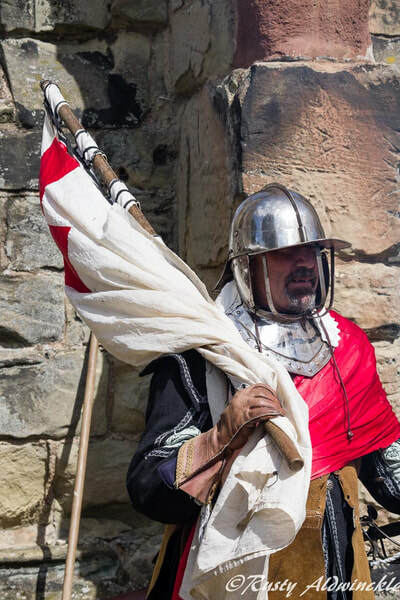 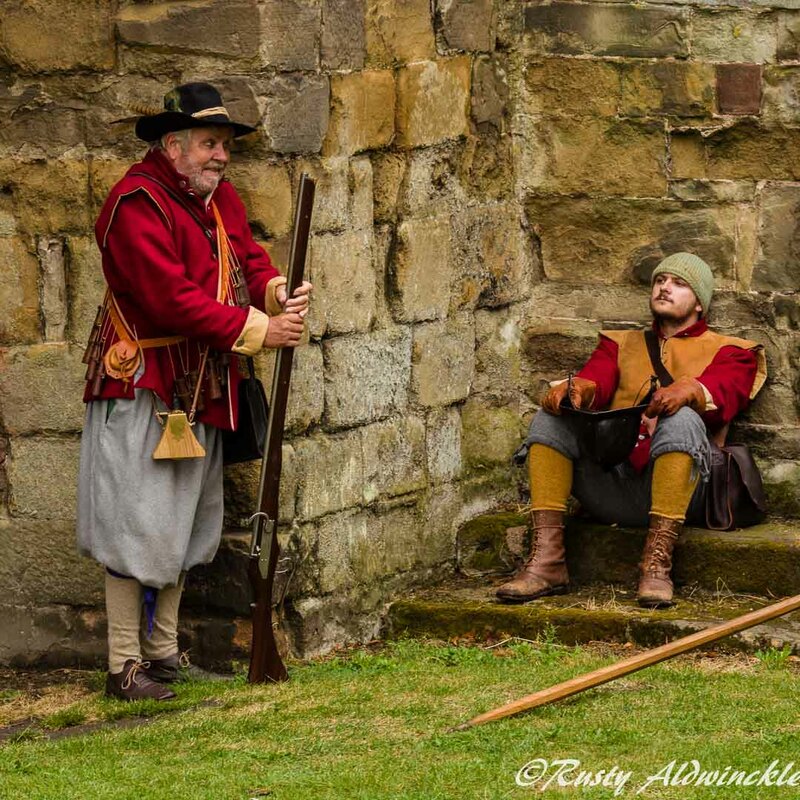 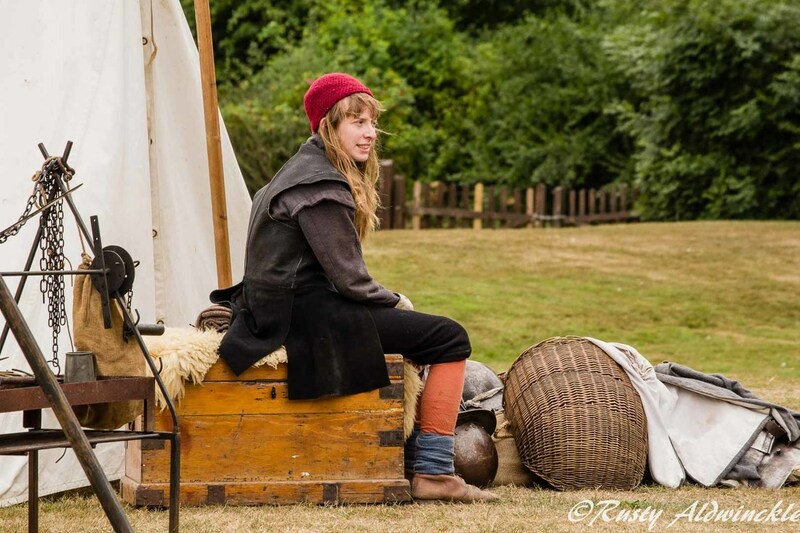 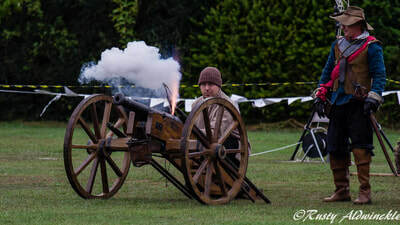 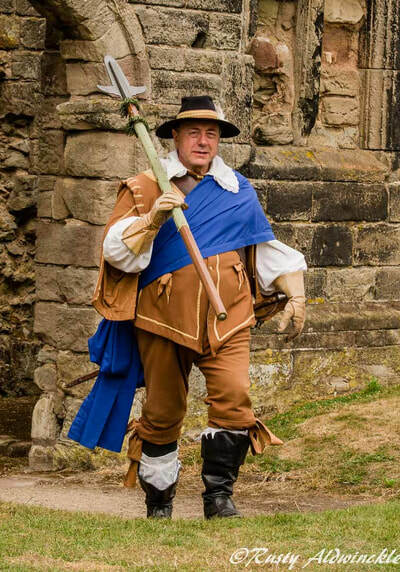 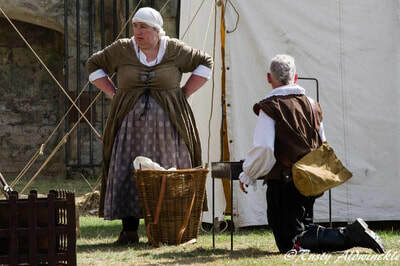 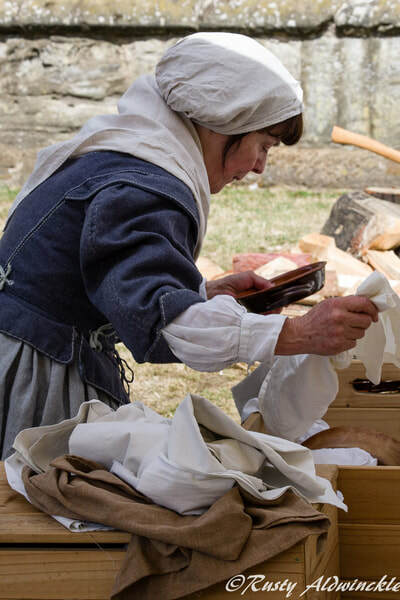 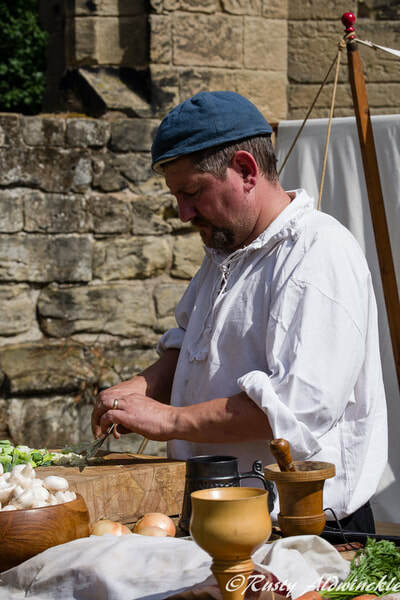 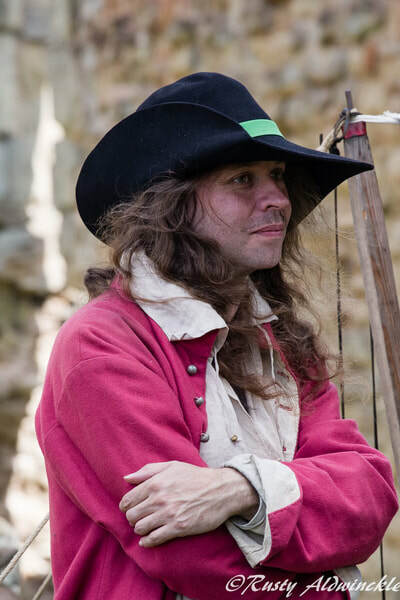 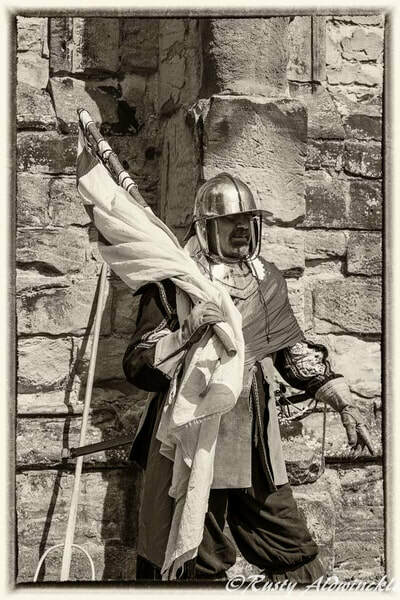 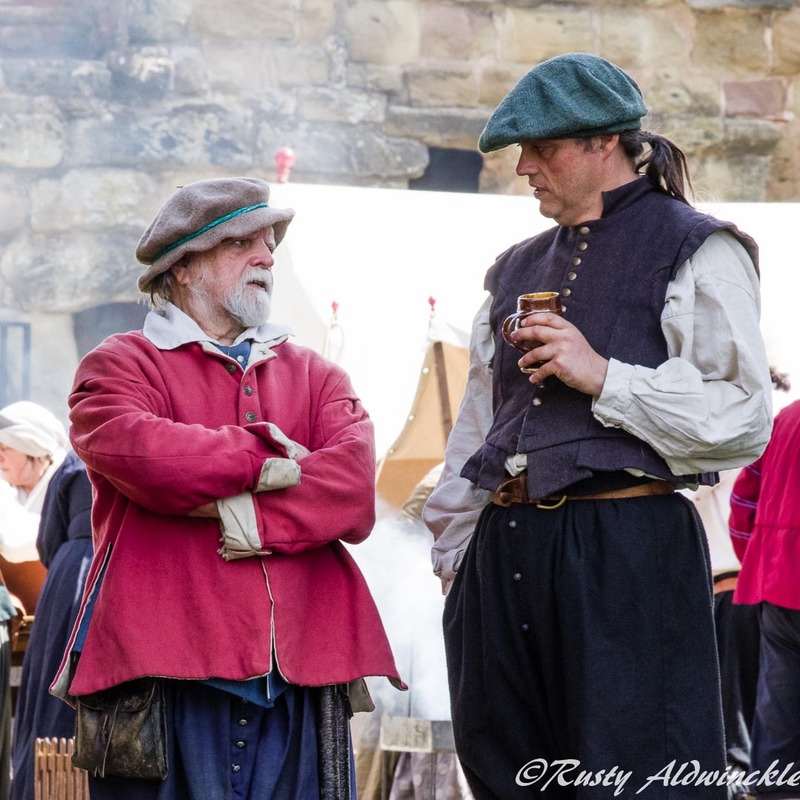 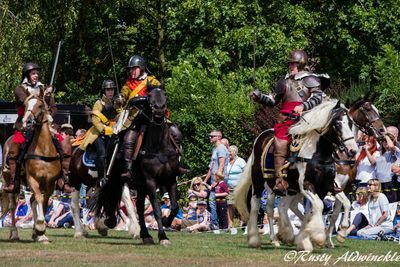 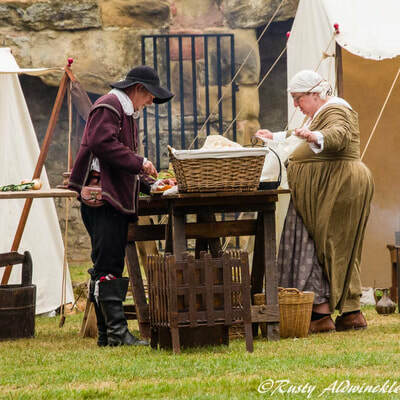 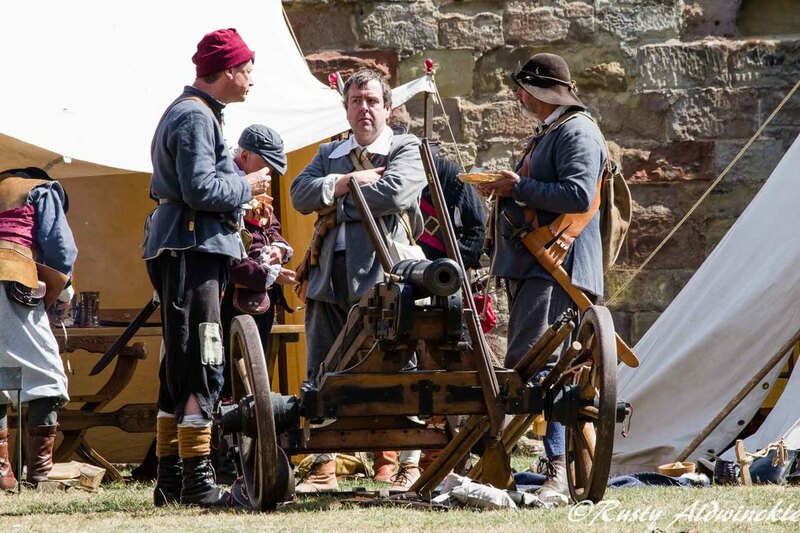 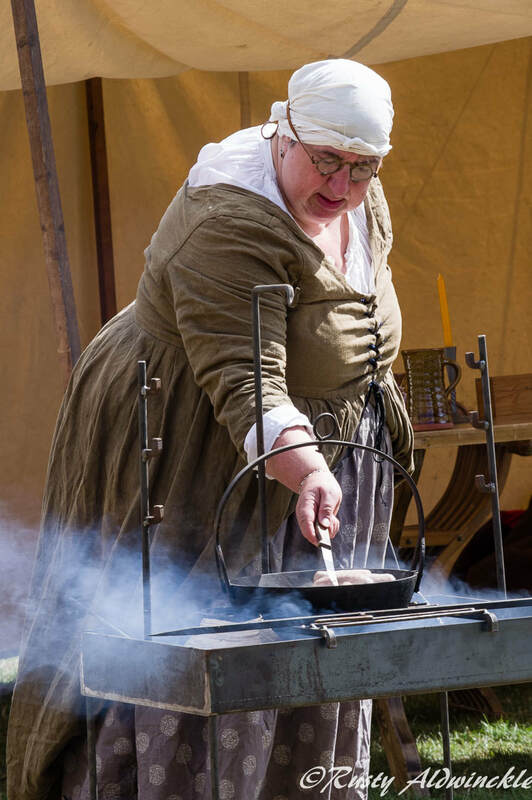 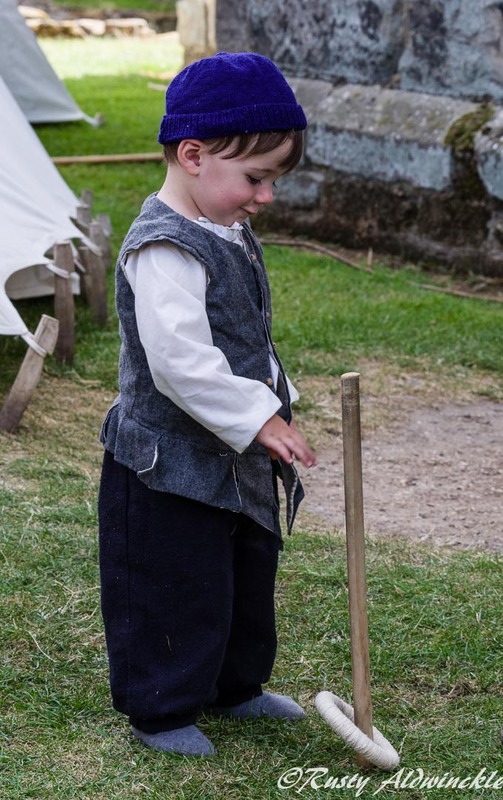 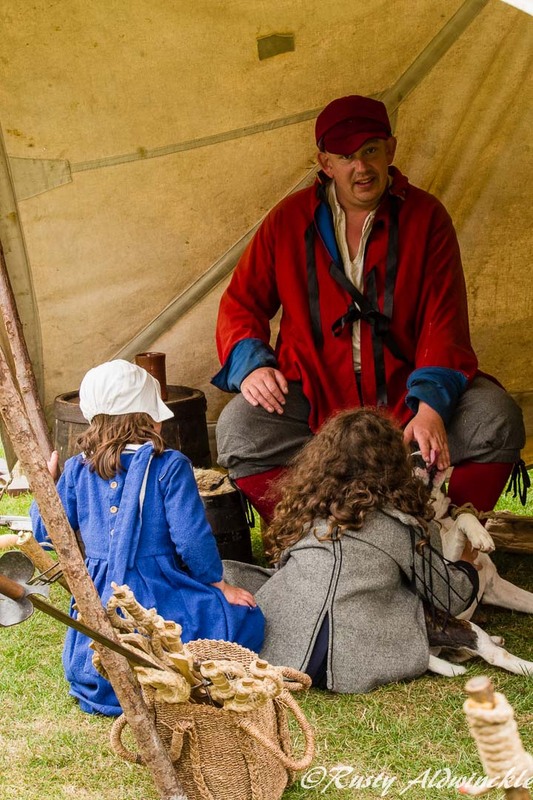 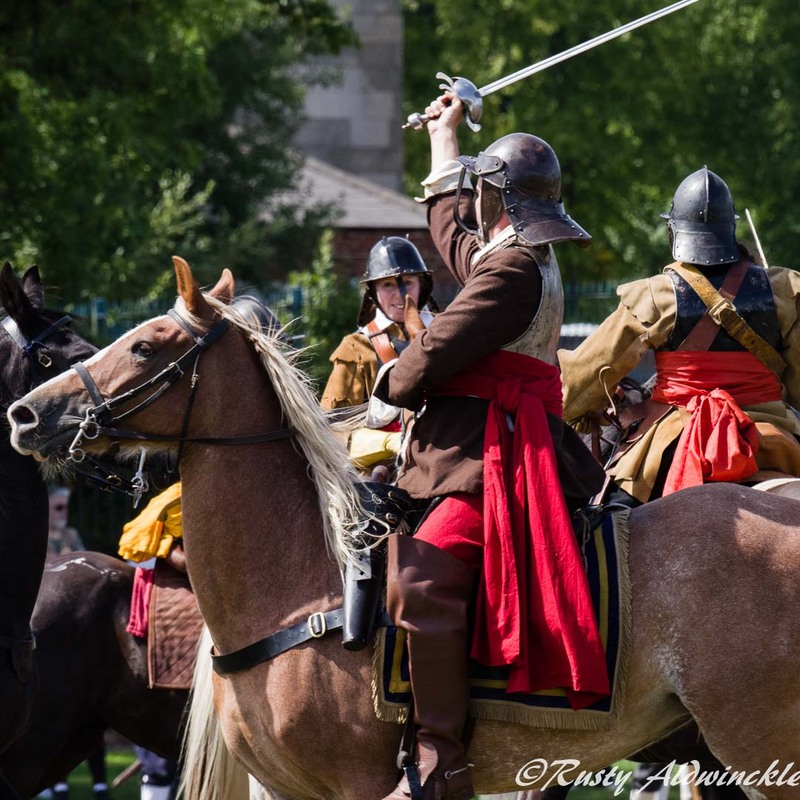 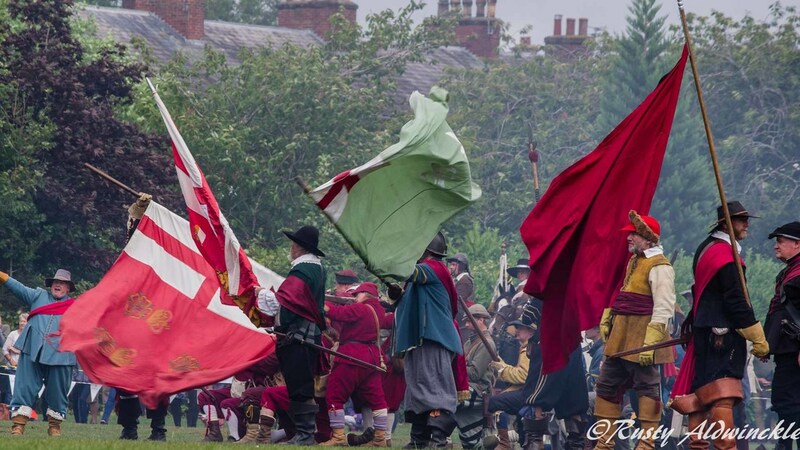 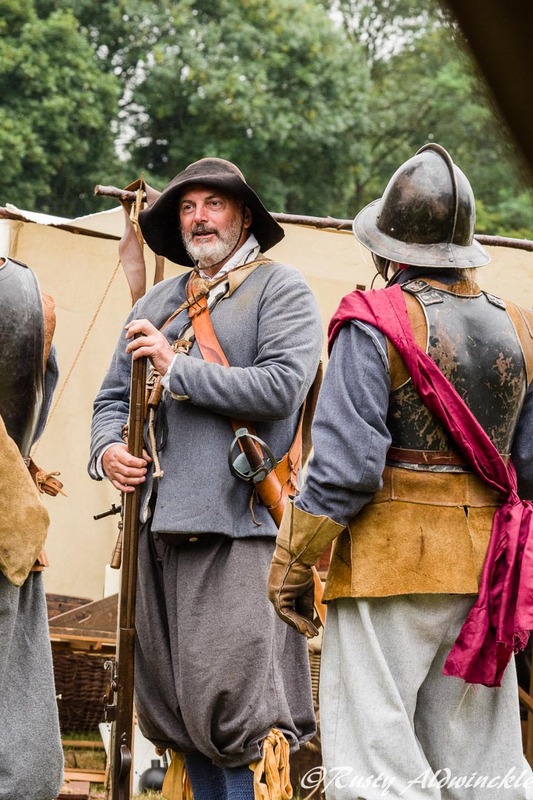 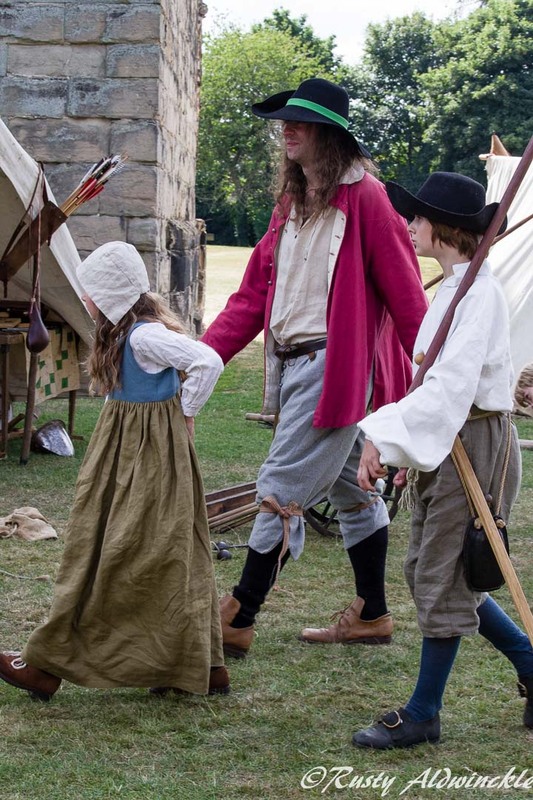 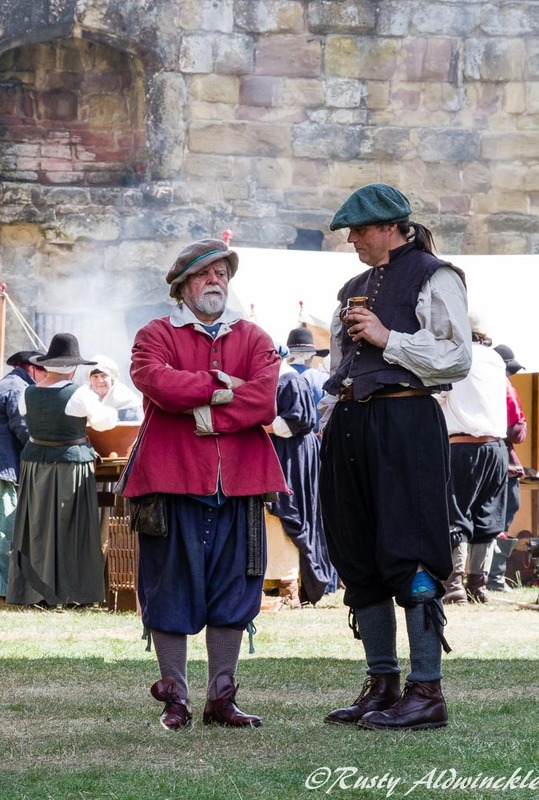 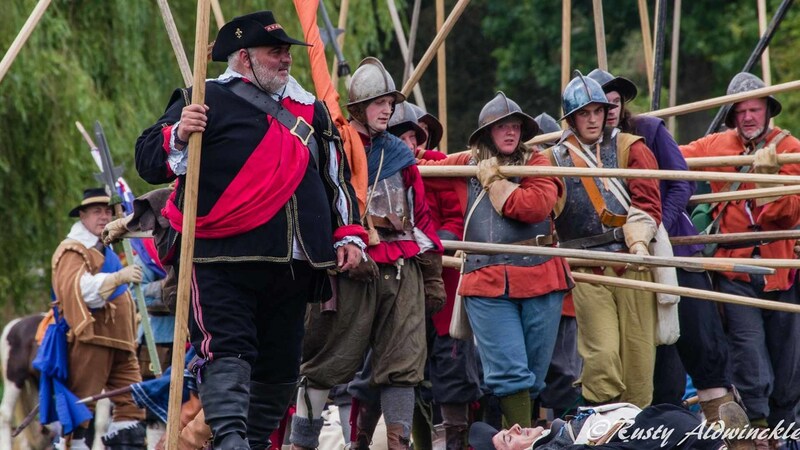 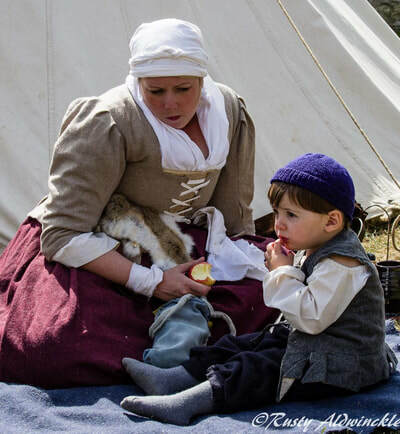 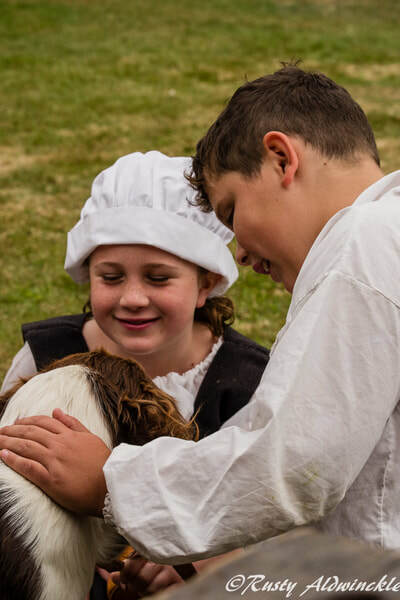 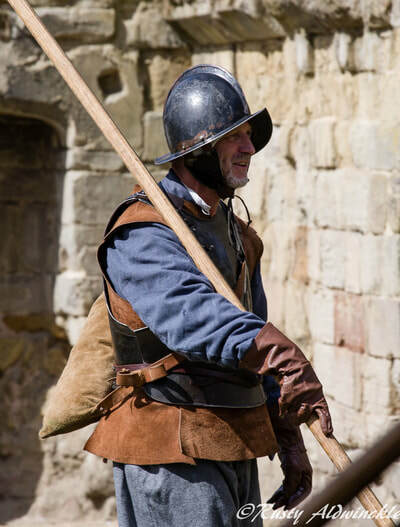 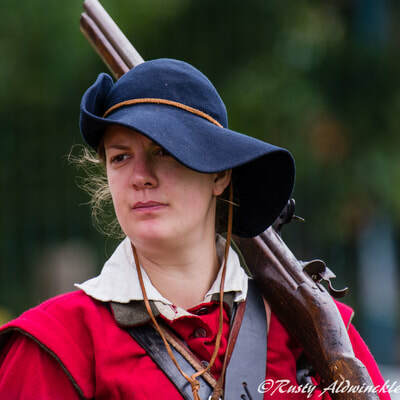 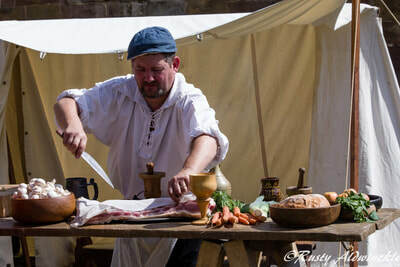 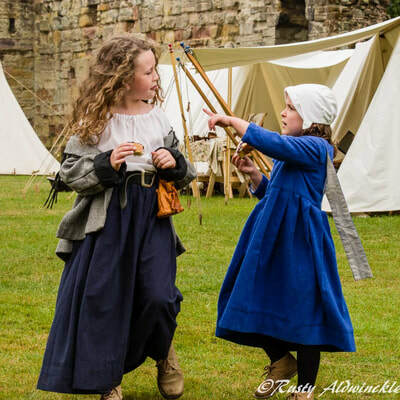 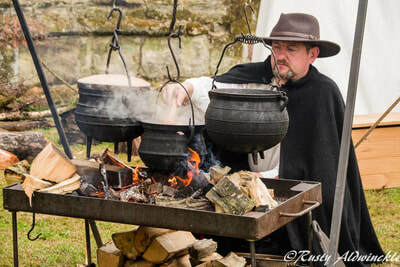 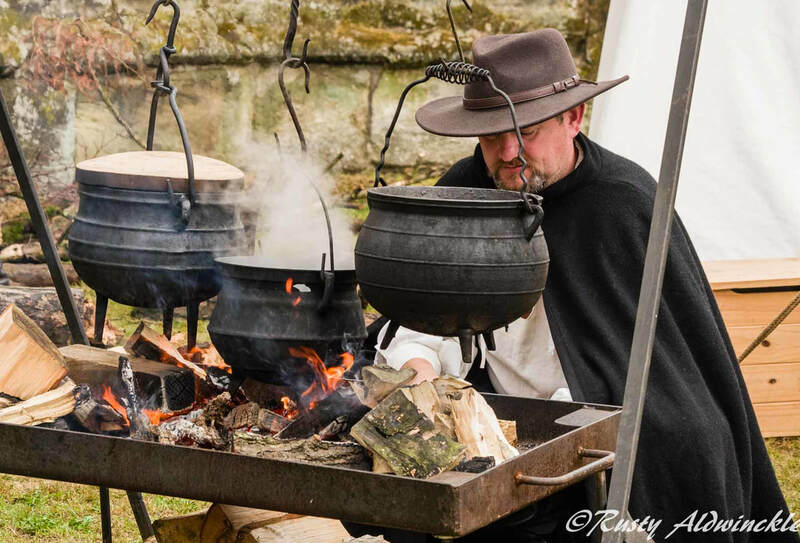 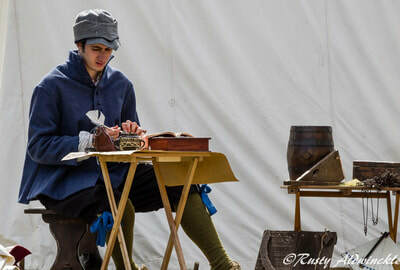 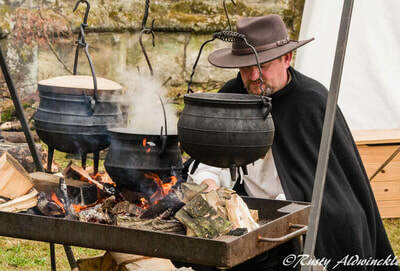 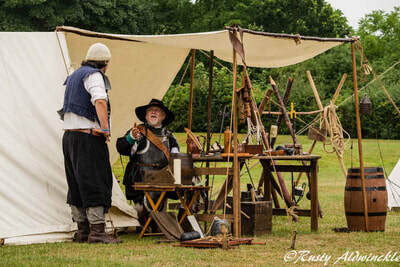 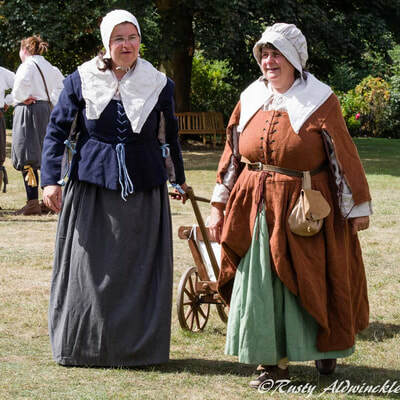 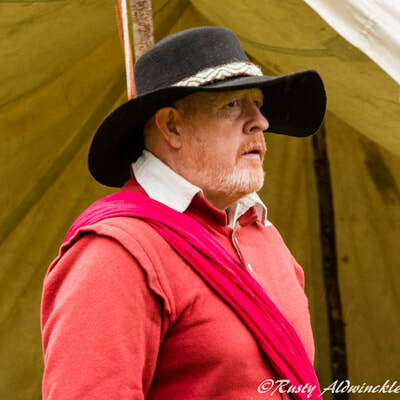 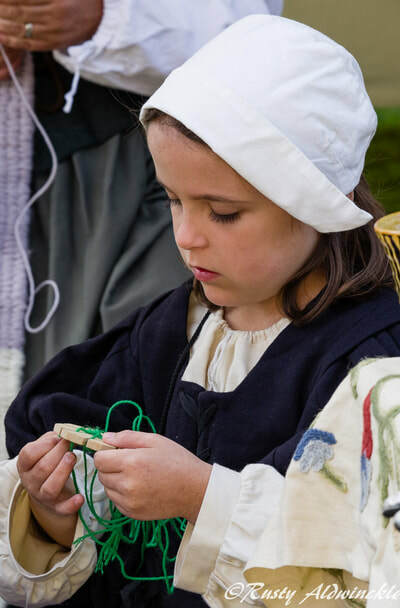 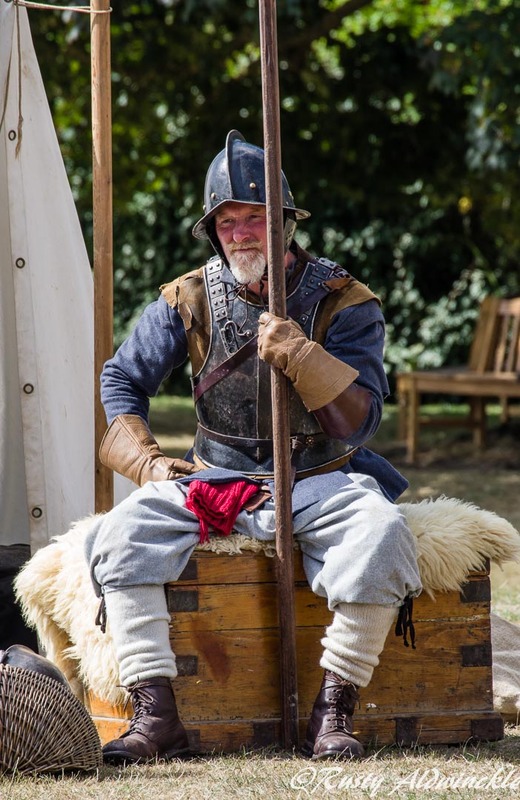 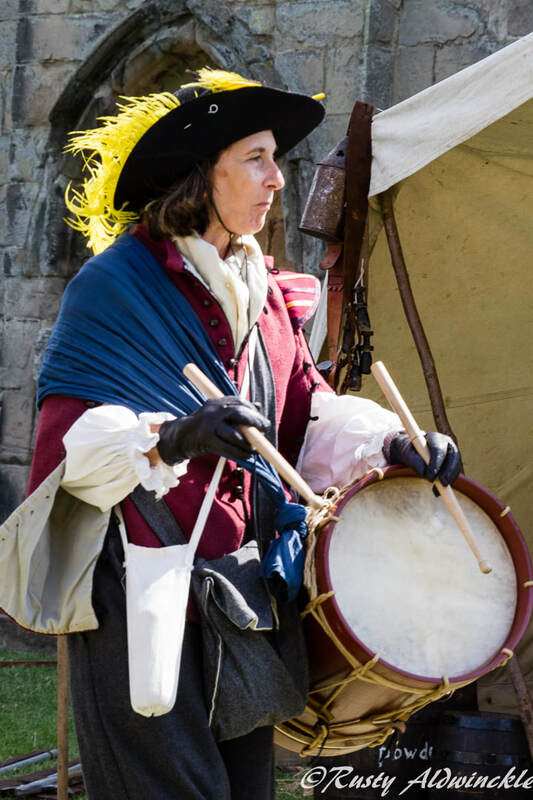 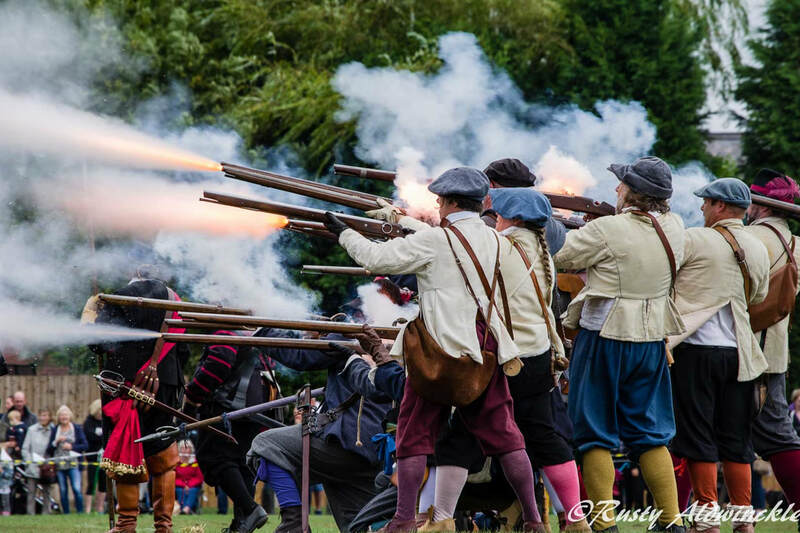 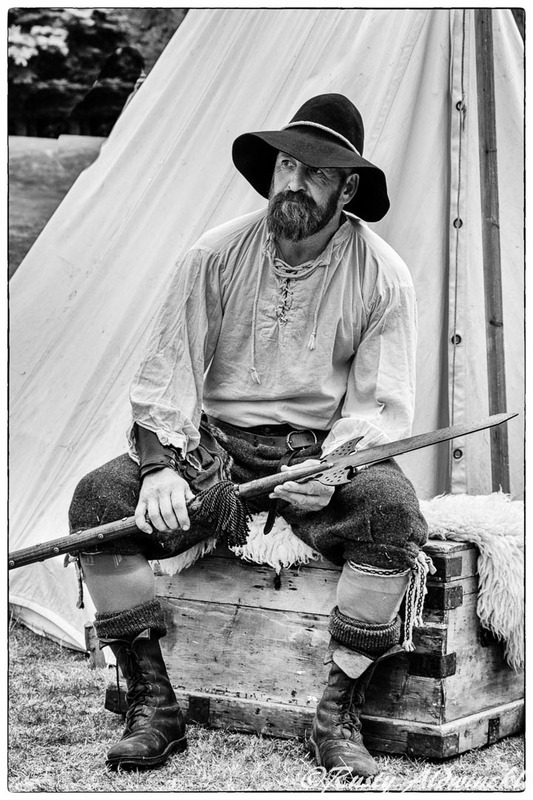 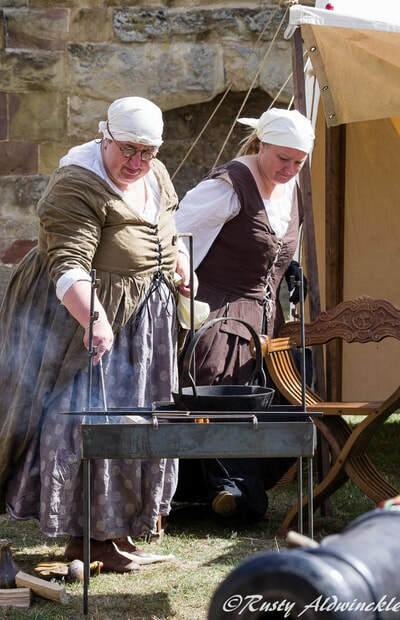 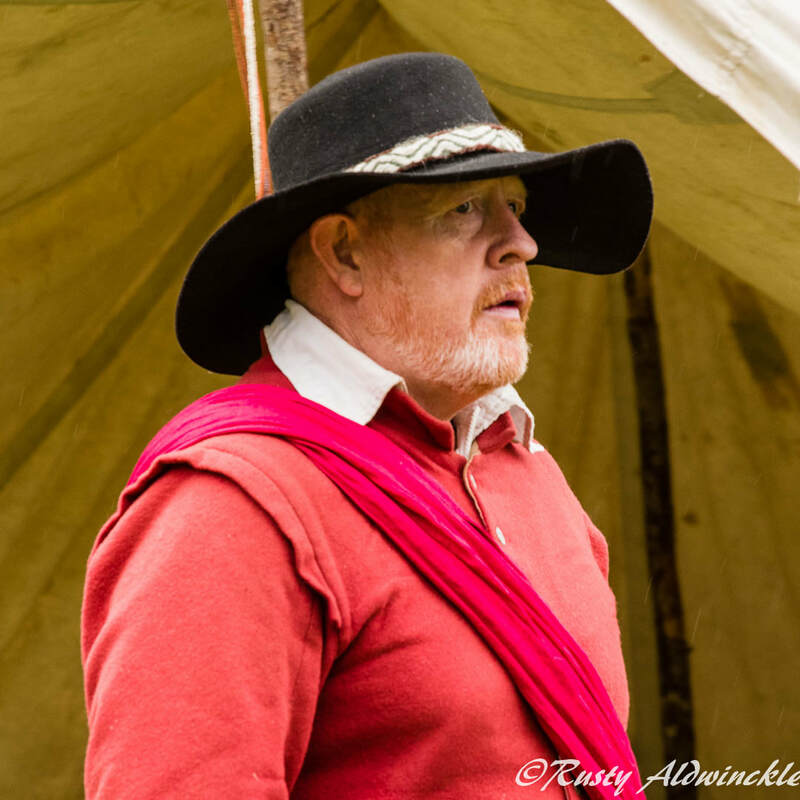 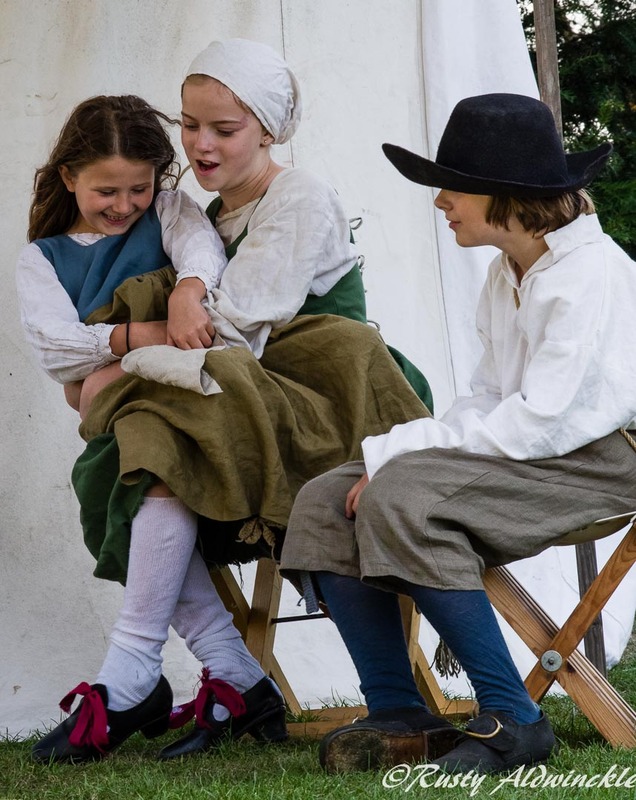 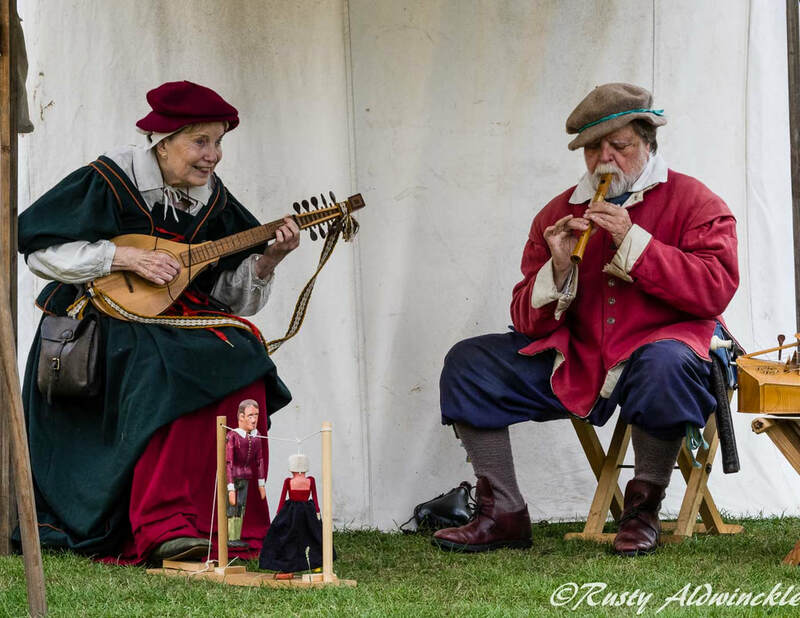 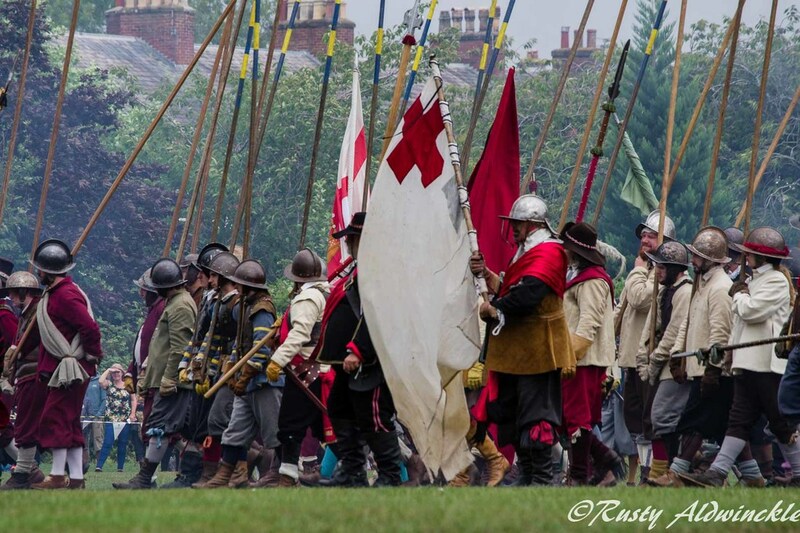 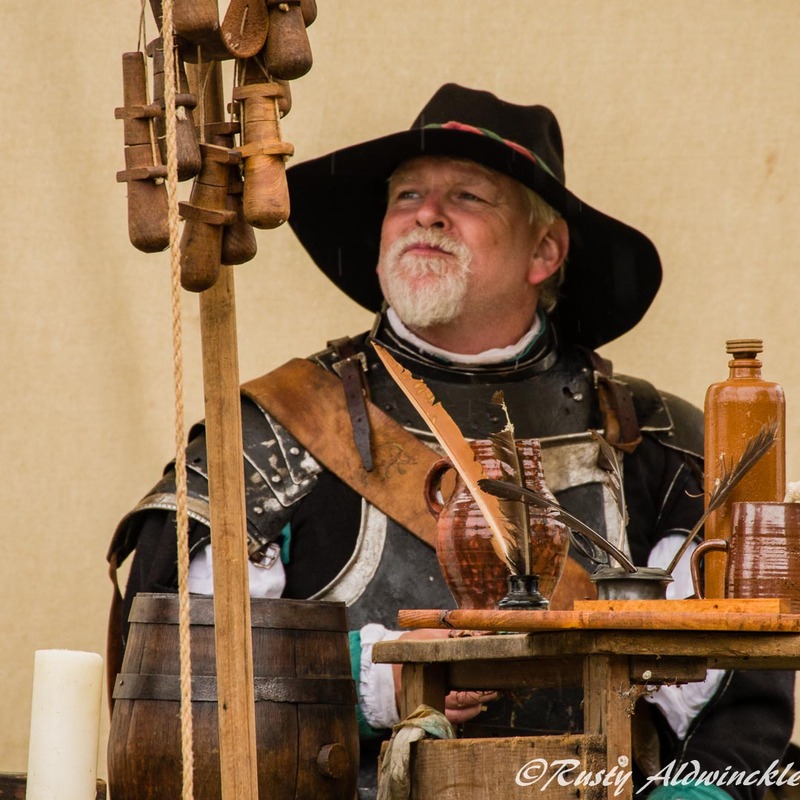 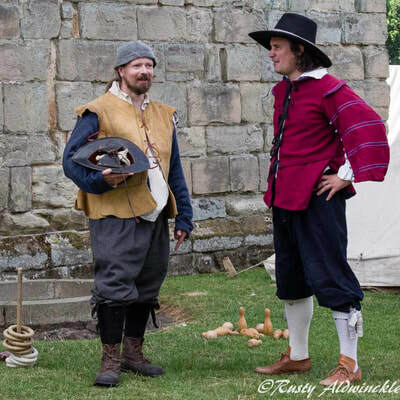 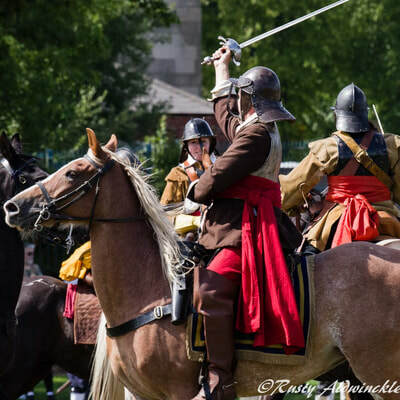 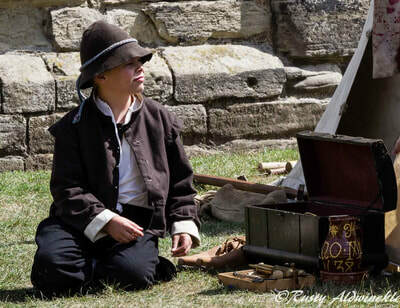 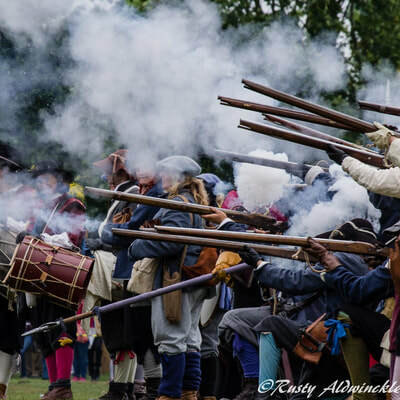 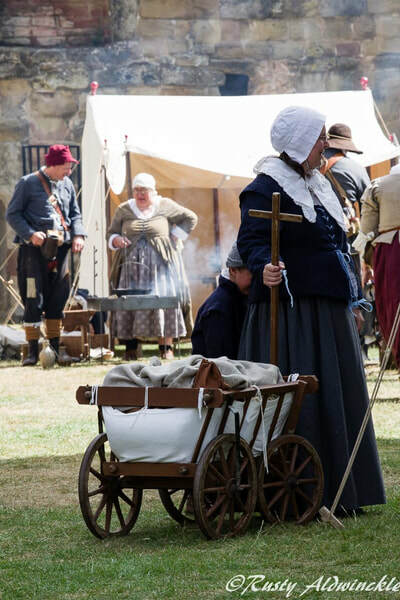 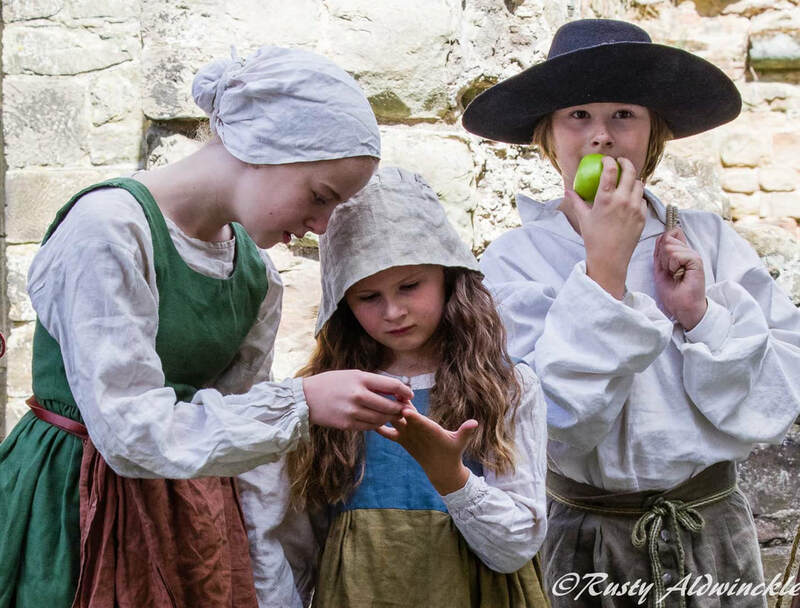 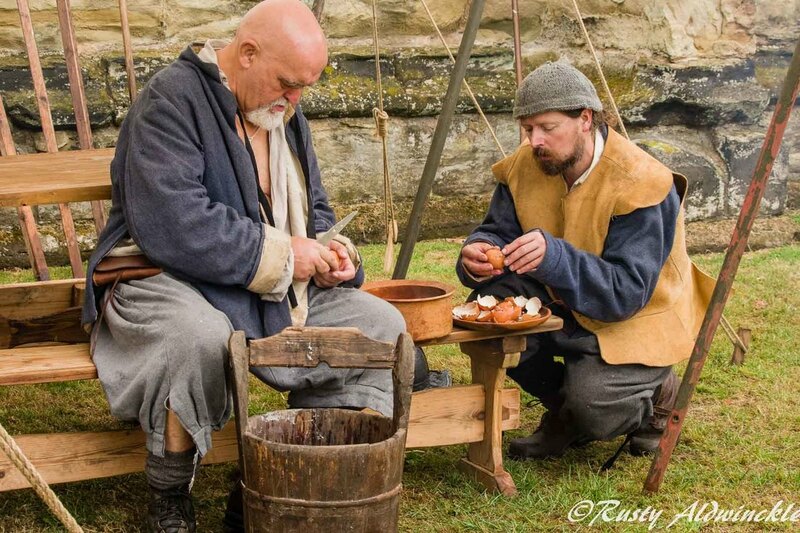 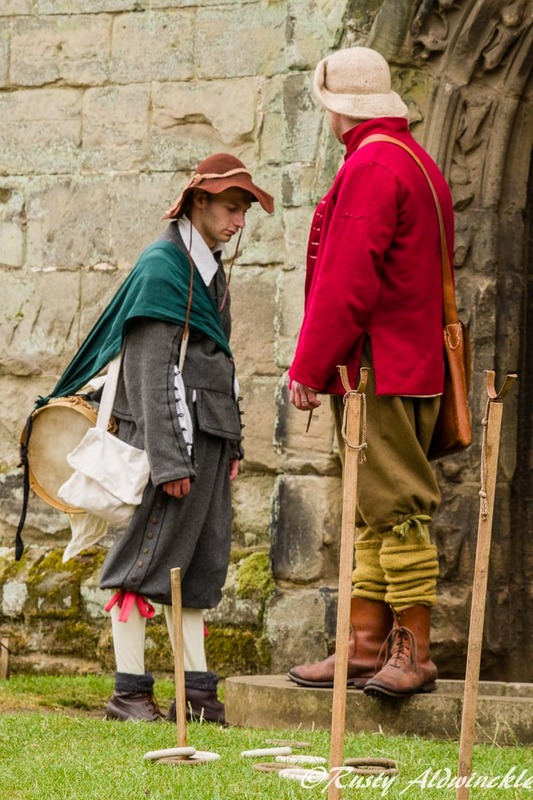 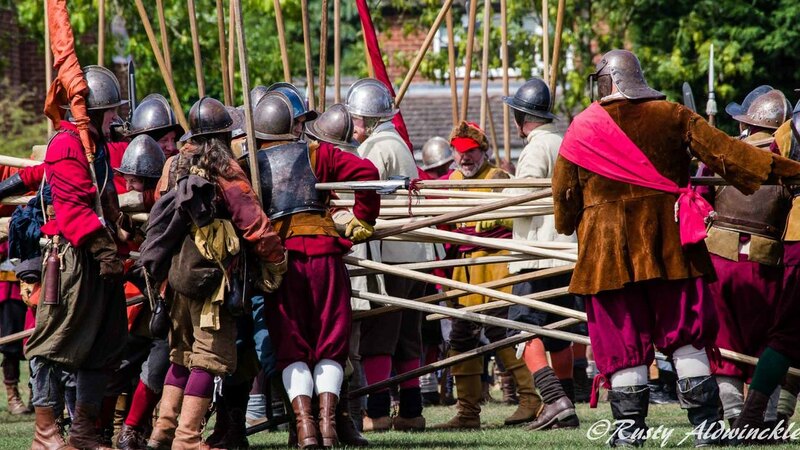 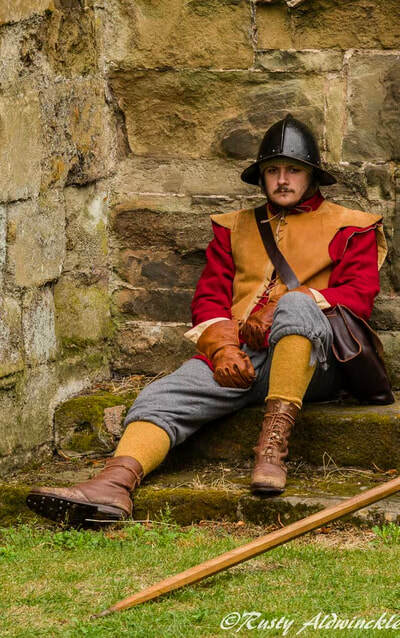 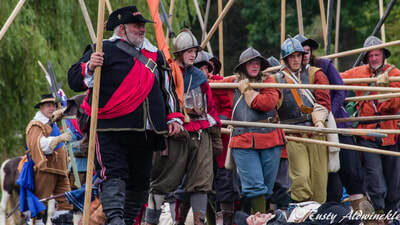 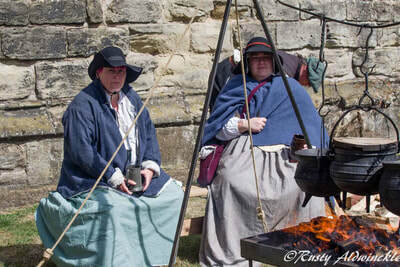 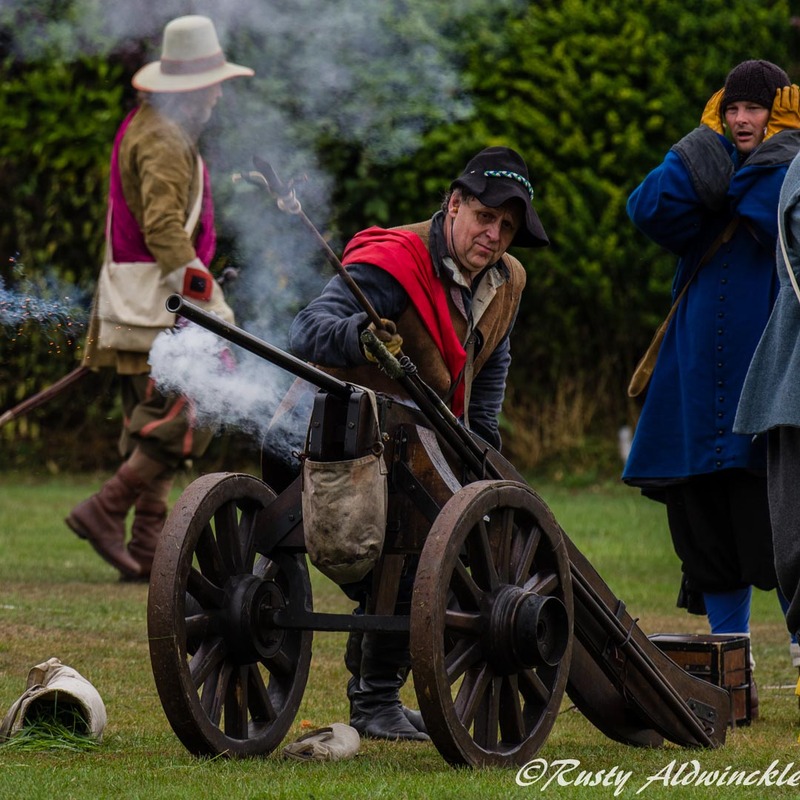 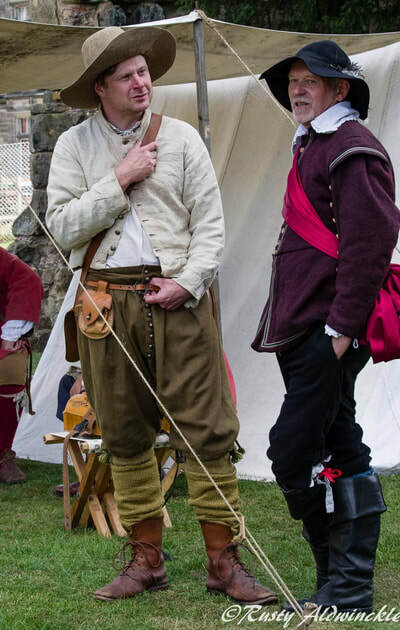 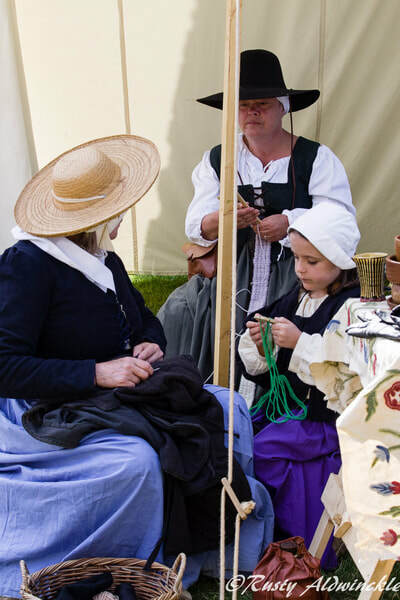 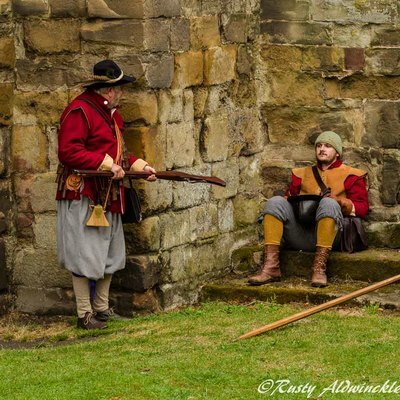 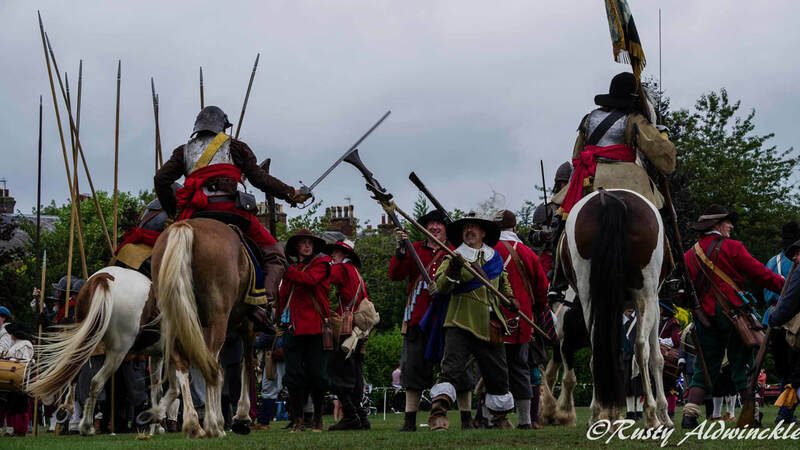 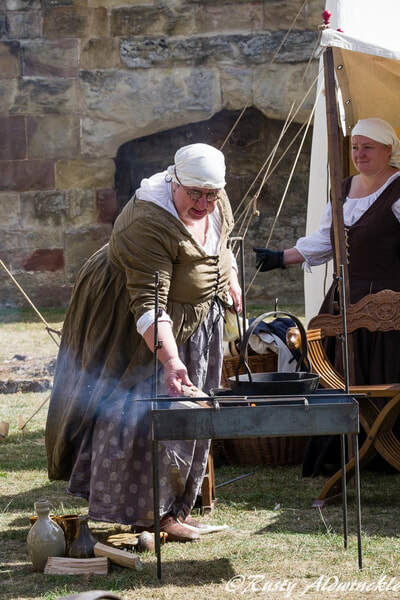 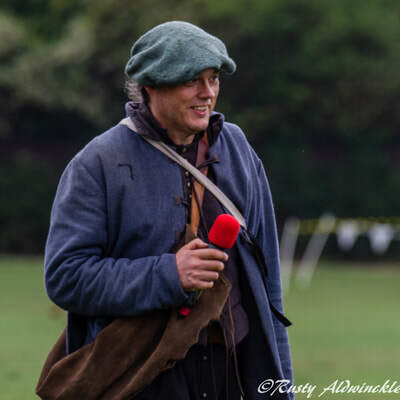 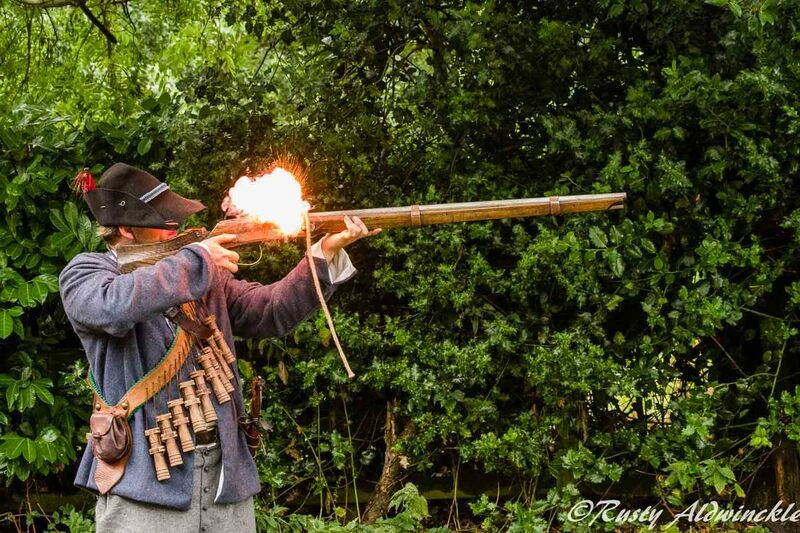 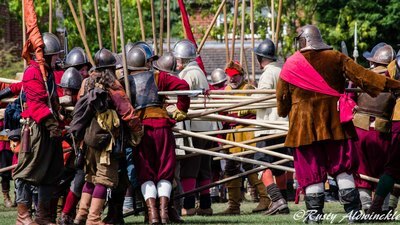 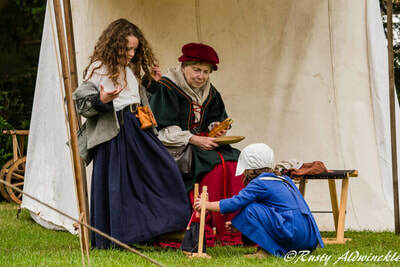 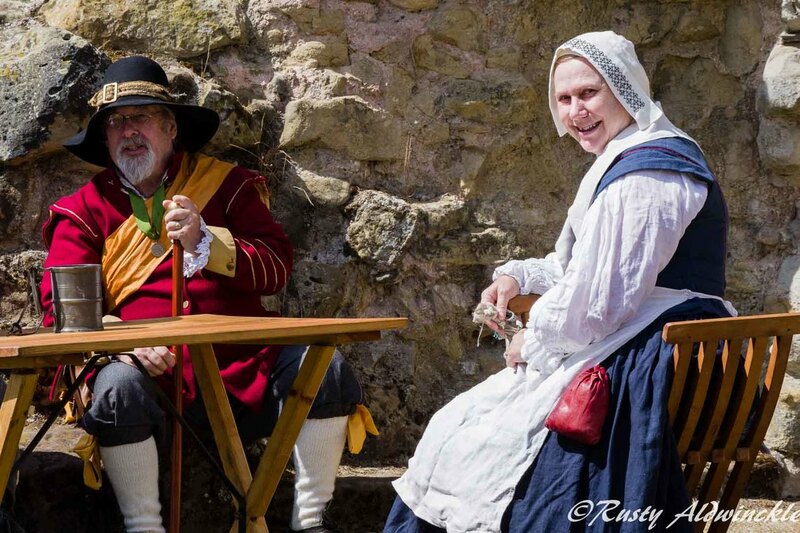 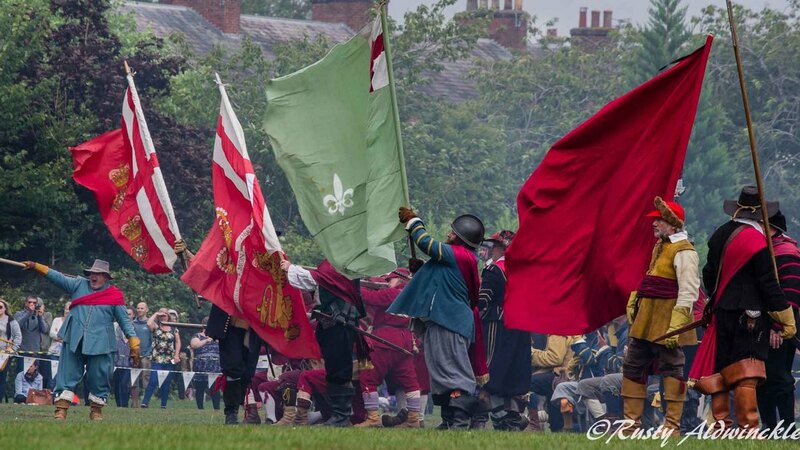 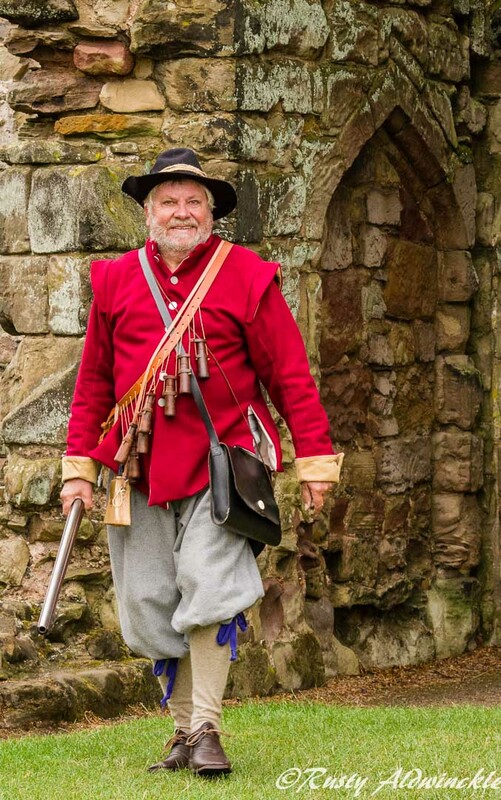 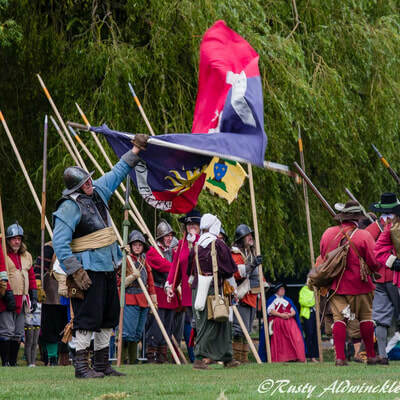 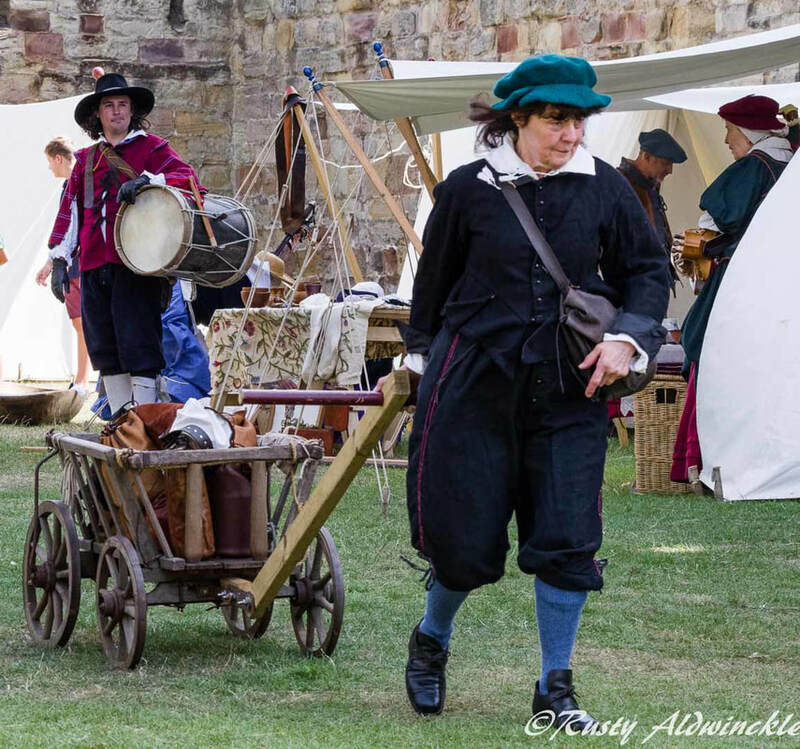 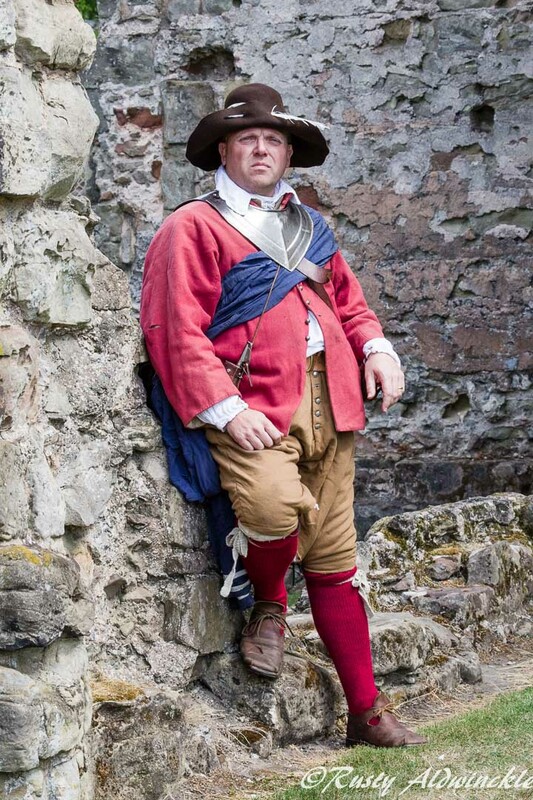 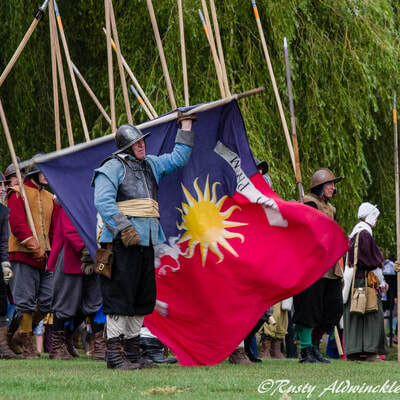 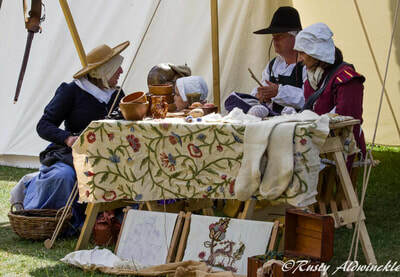 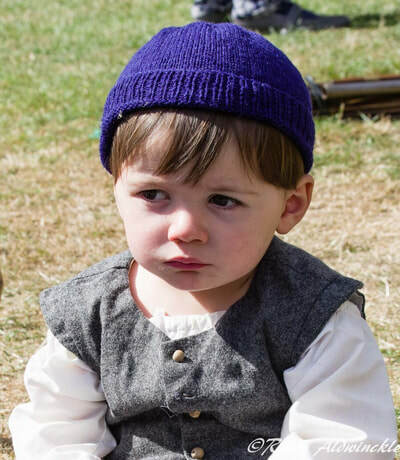 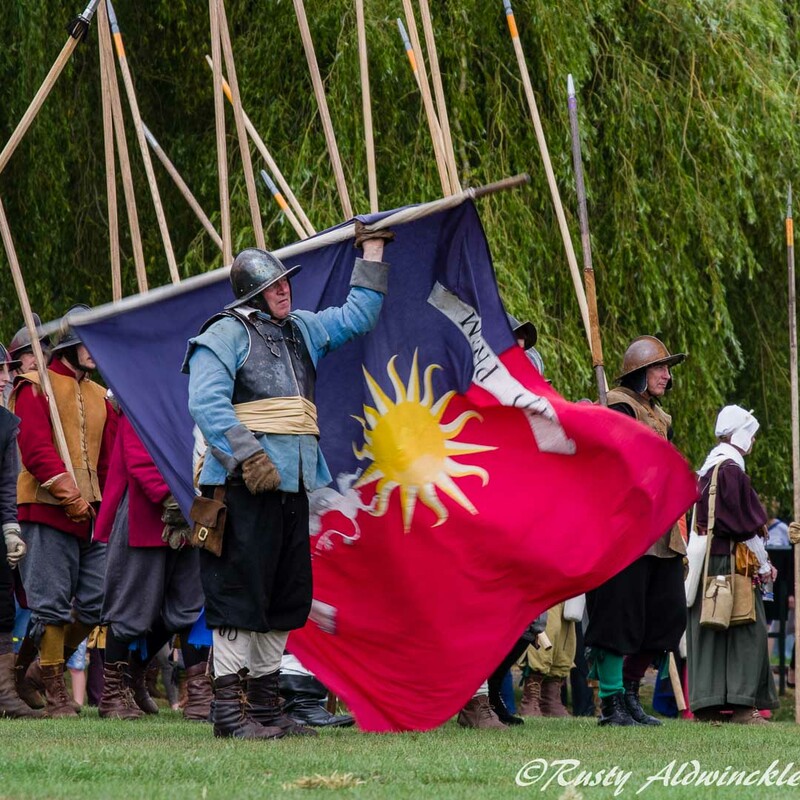 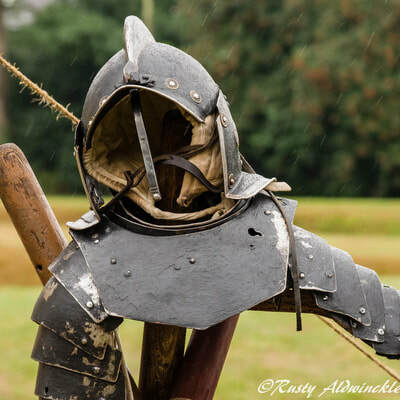 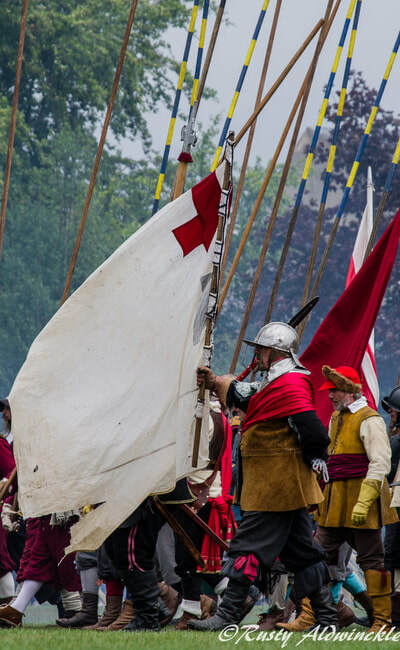 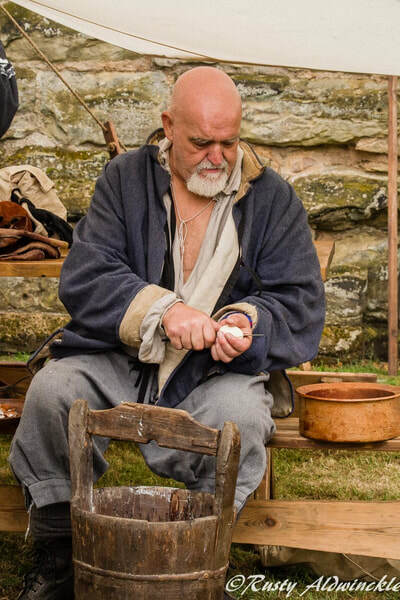 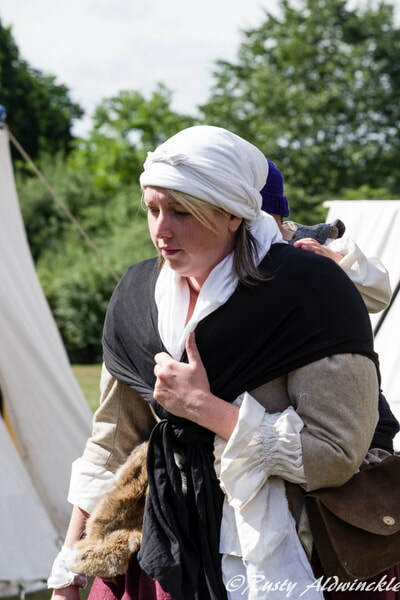 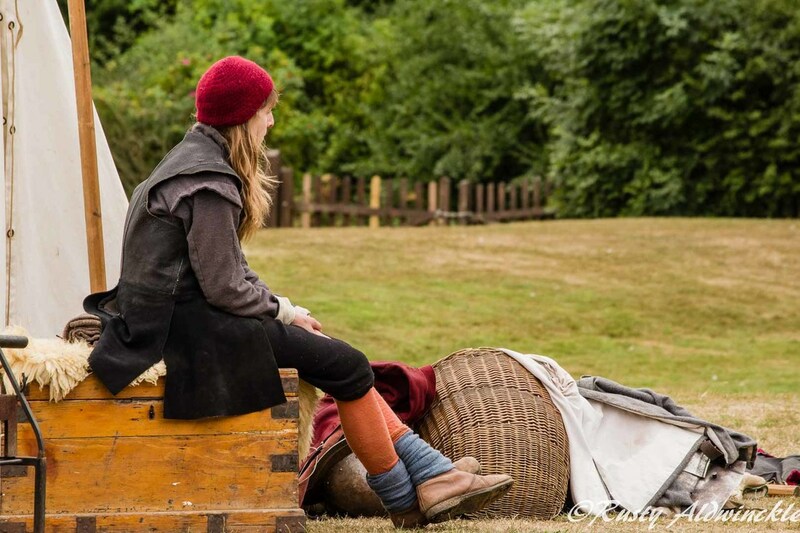 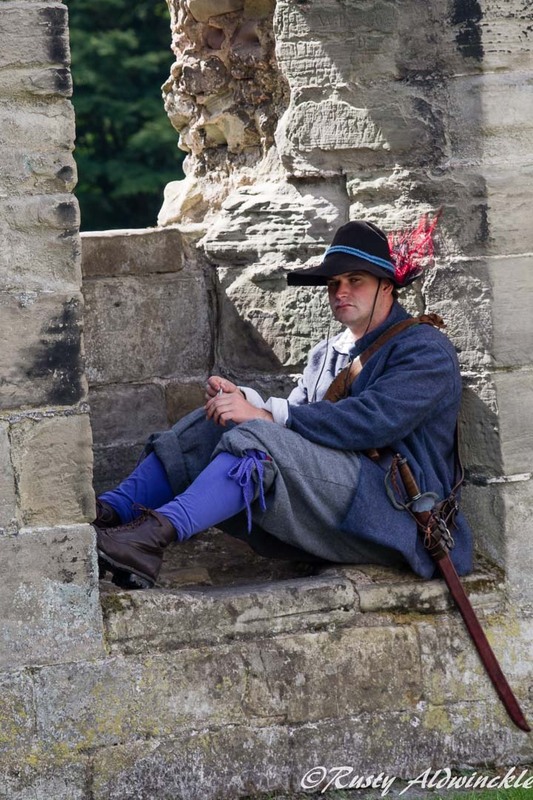 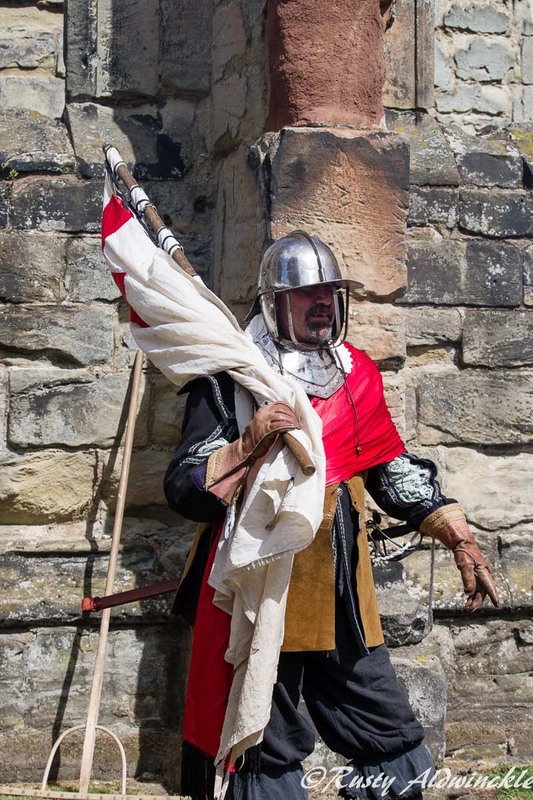 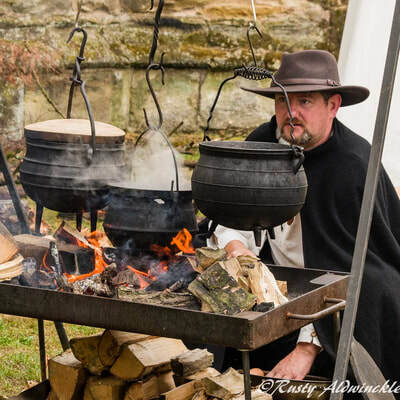 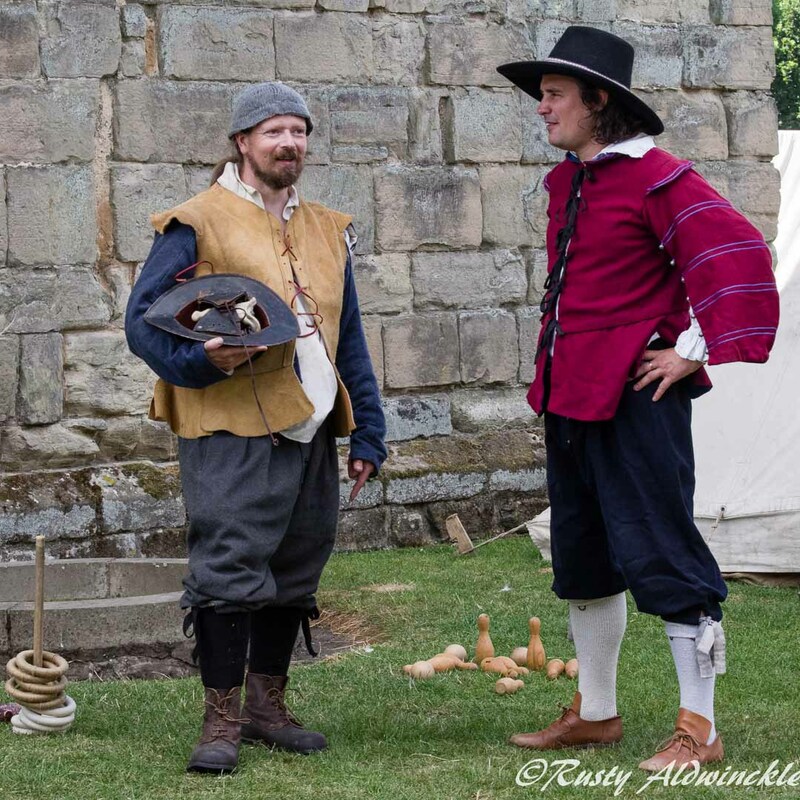 A wonderful setting for the Living History Camp inside the grounds of Ashby Castle, with a battle both days on 'Bath Park' was a well organised event with a huge crowd. 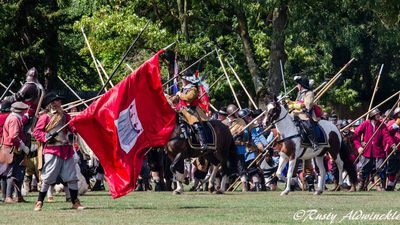 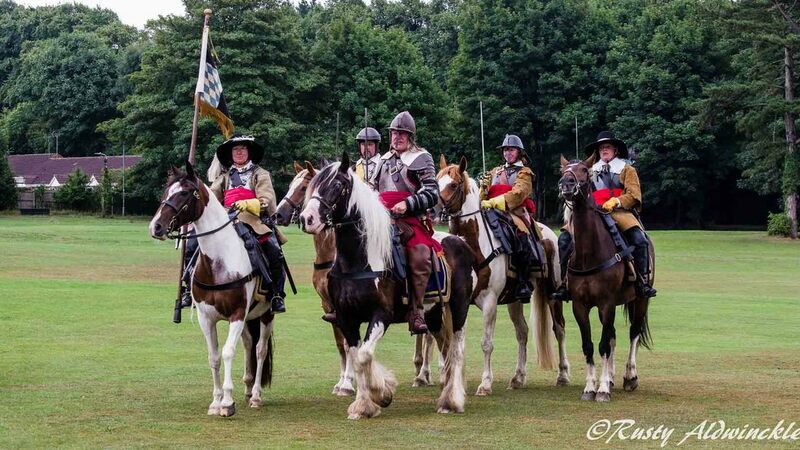 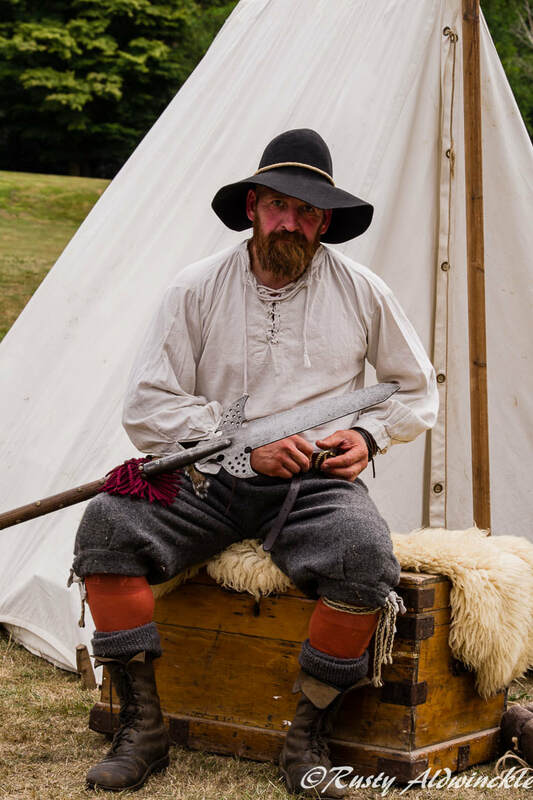 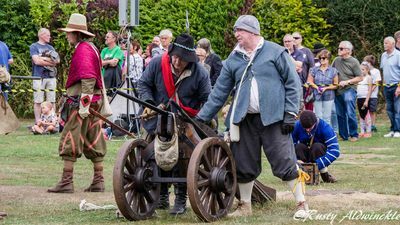 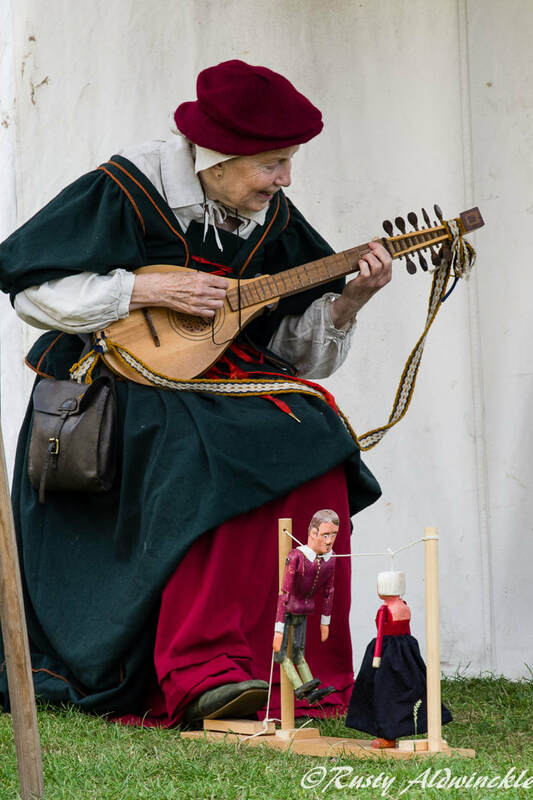 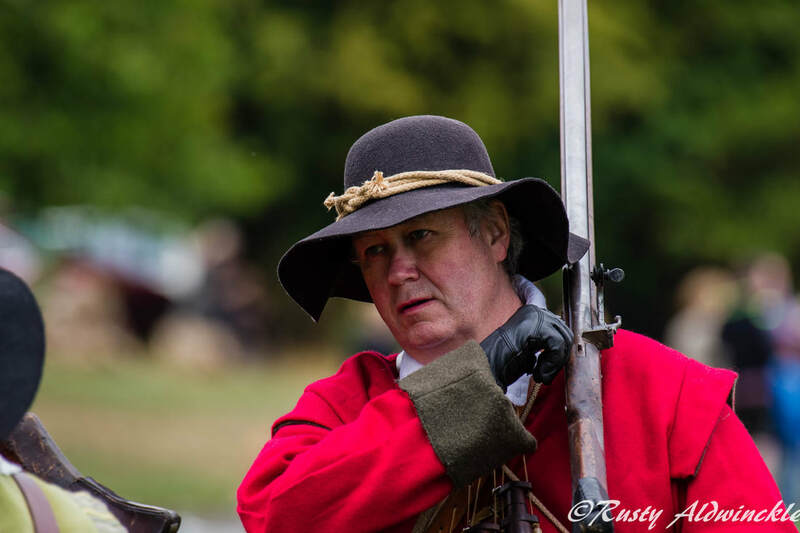 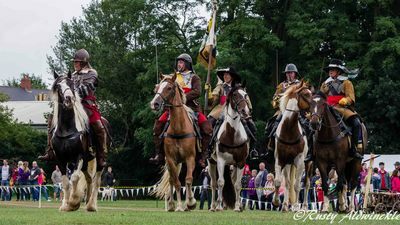 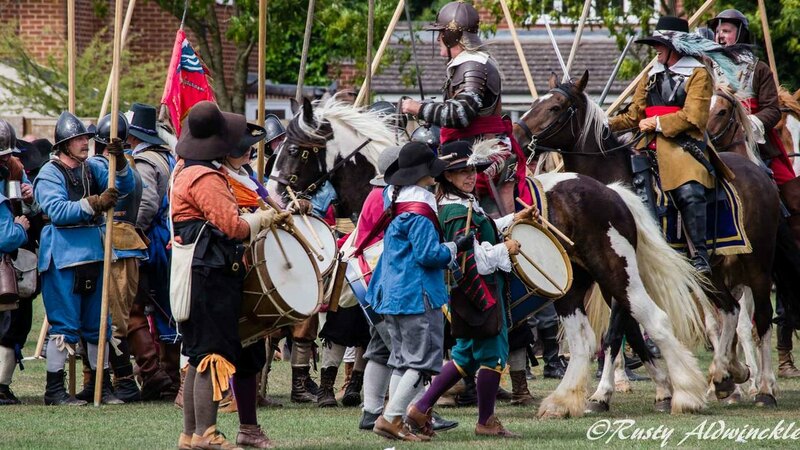 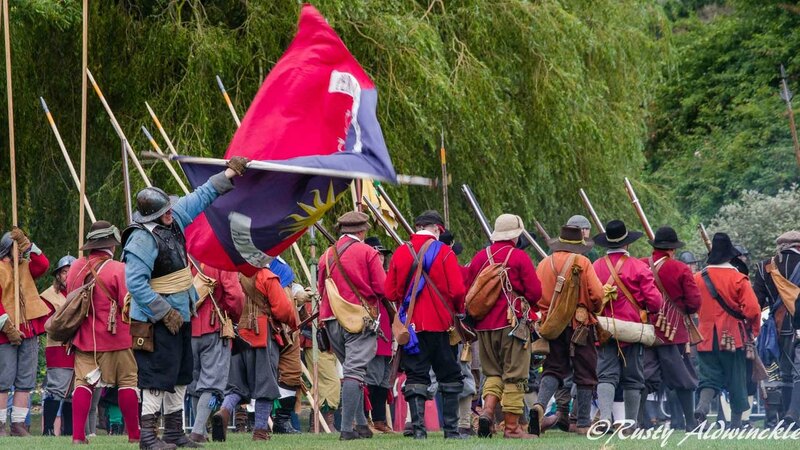 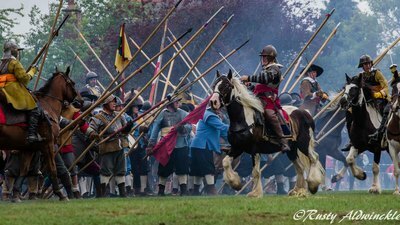 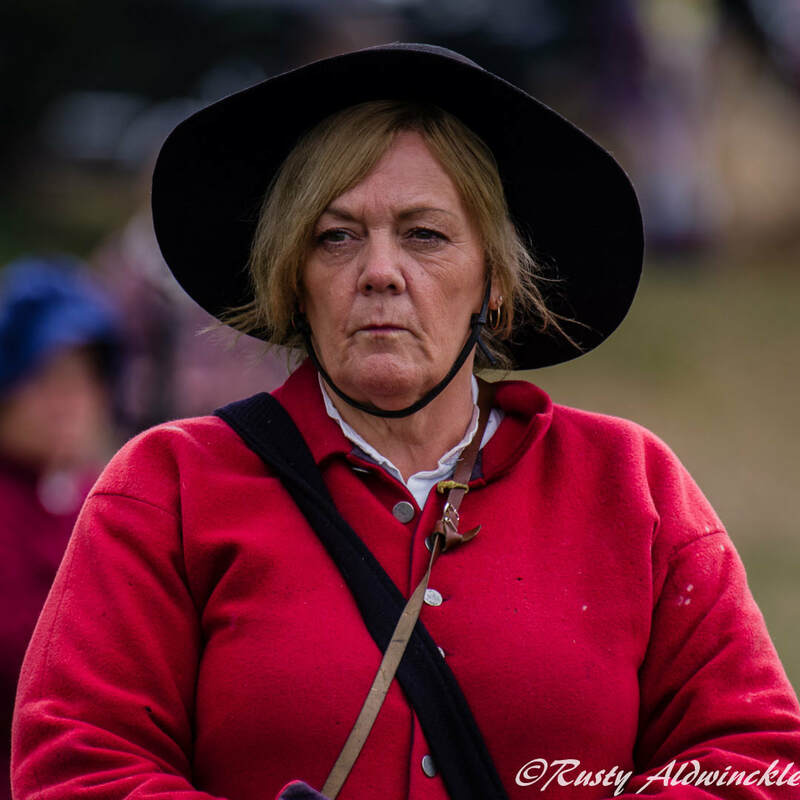 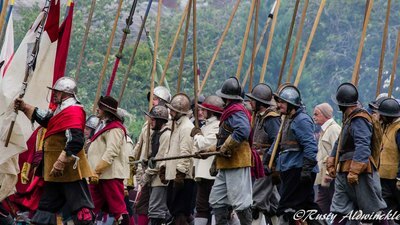 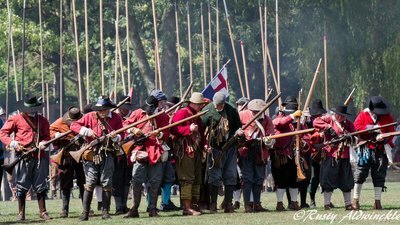 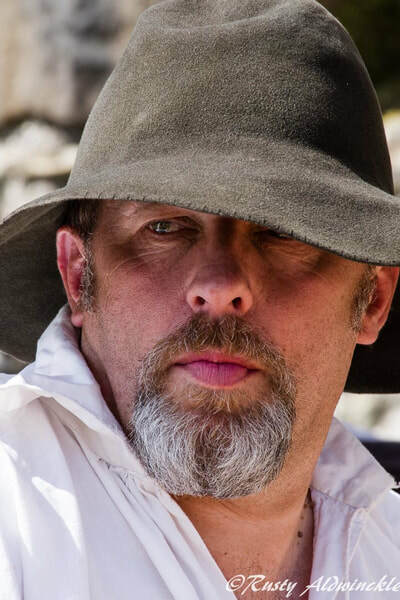 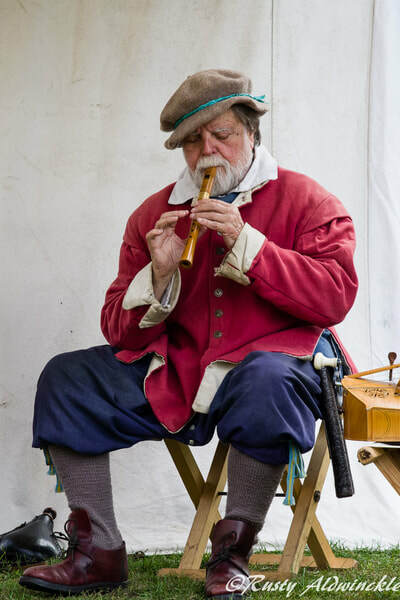 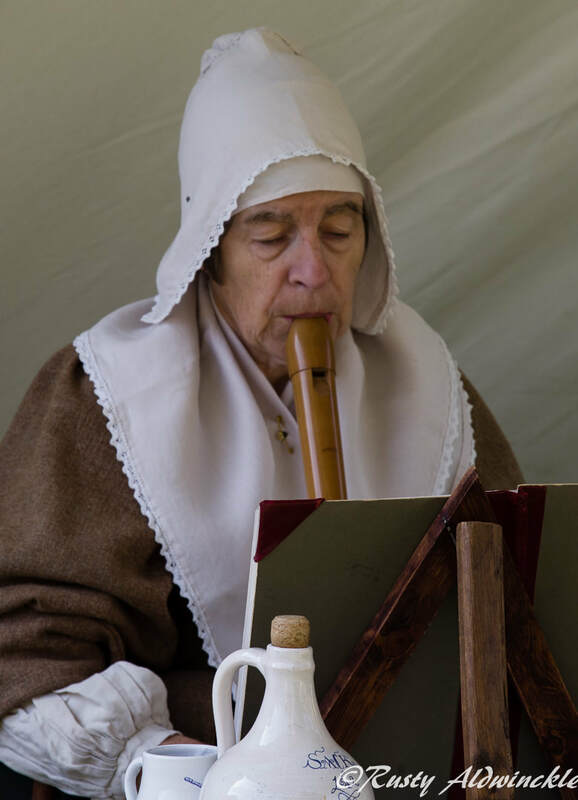 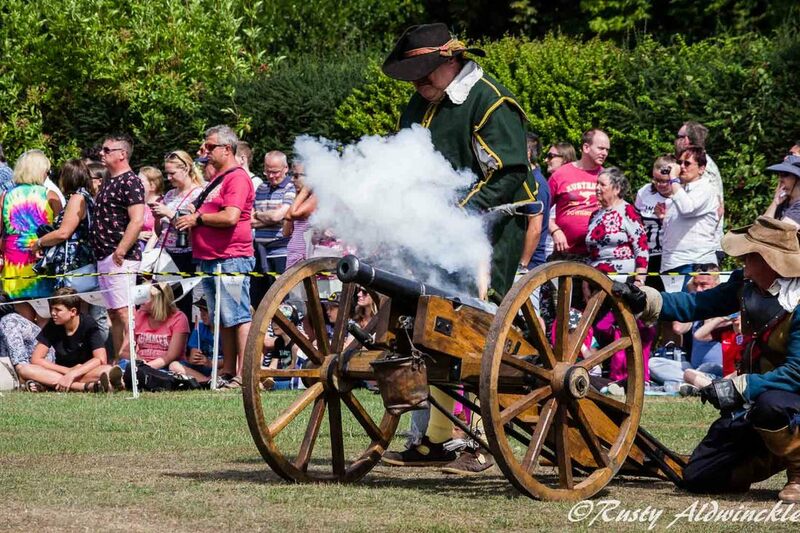 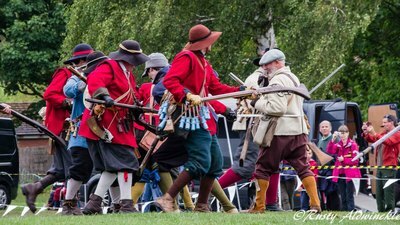 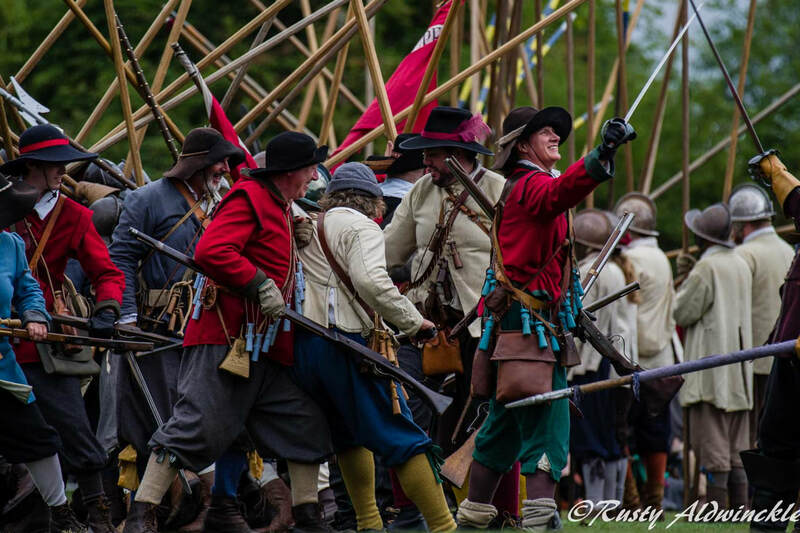 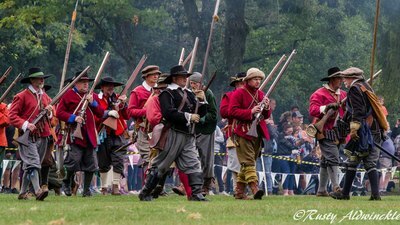 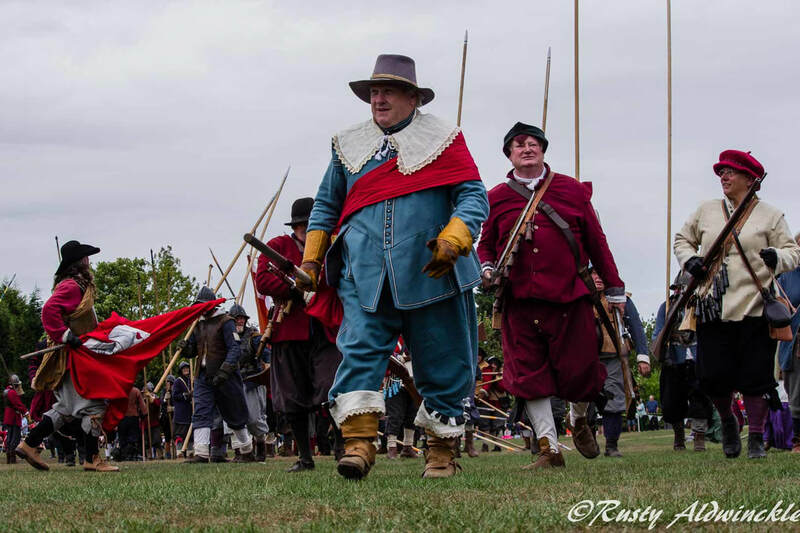 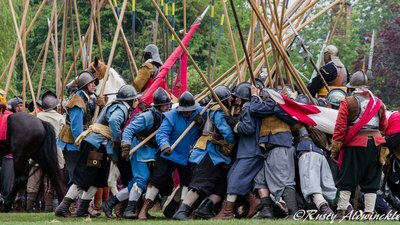 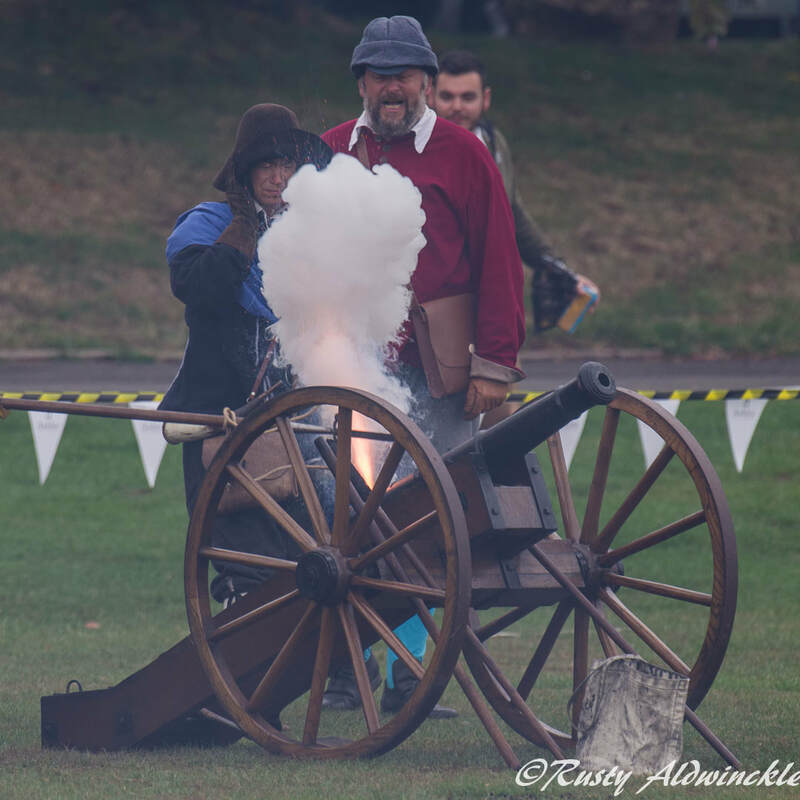 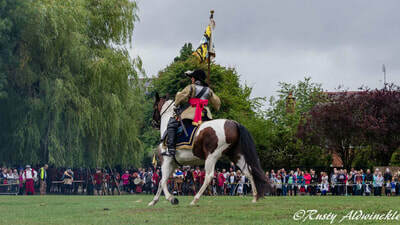 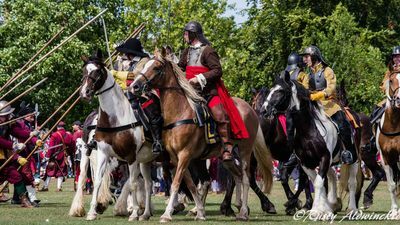 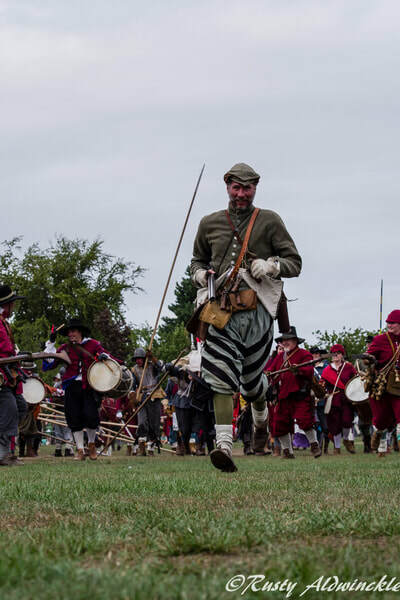 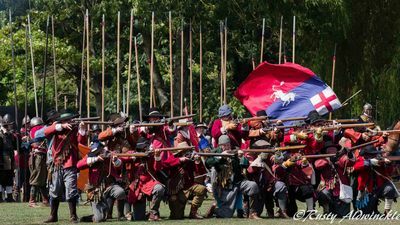 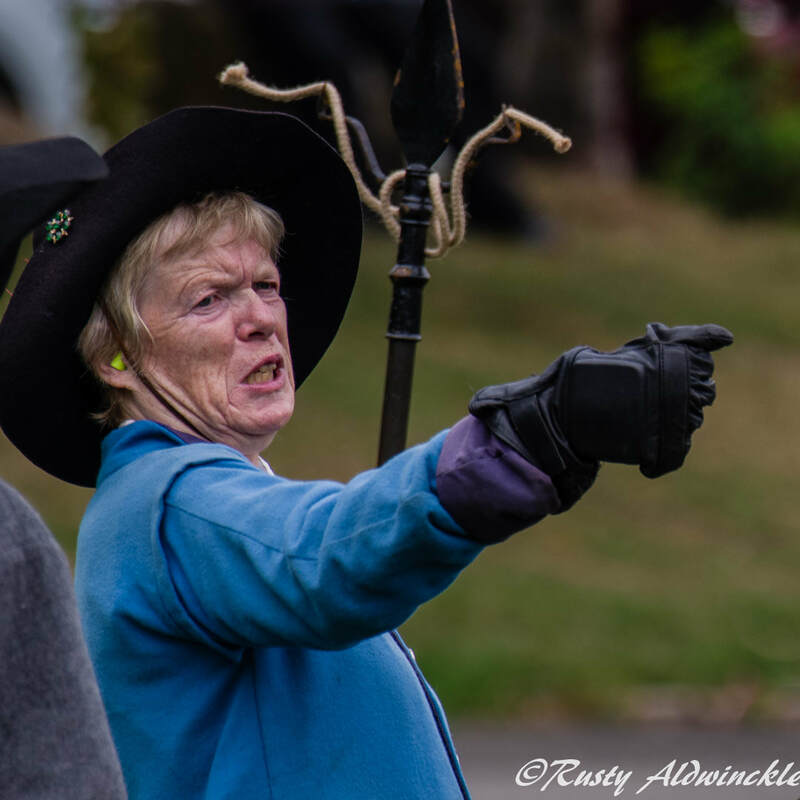 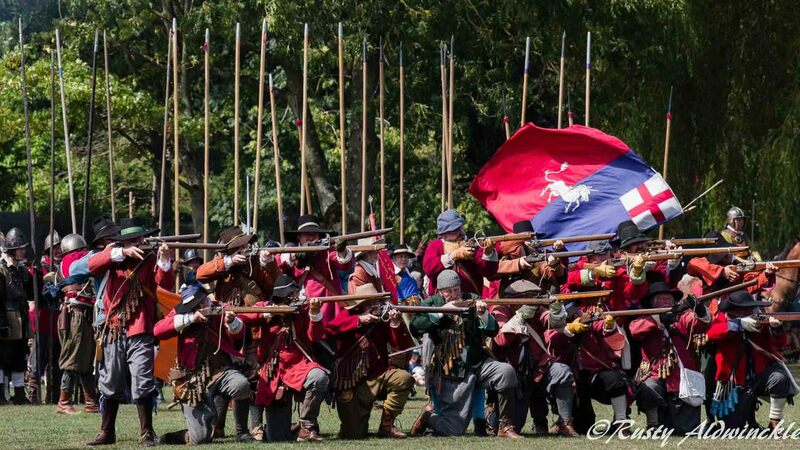 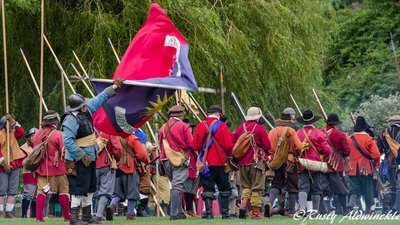 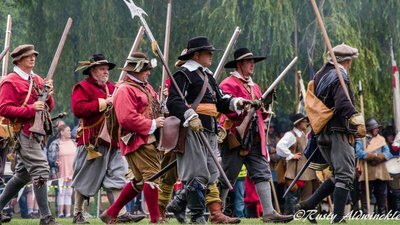 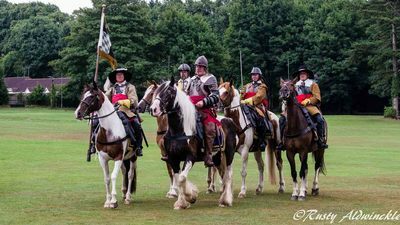 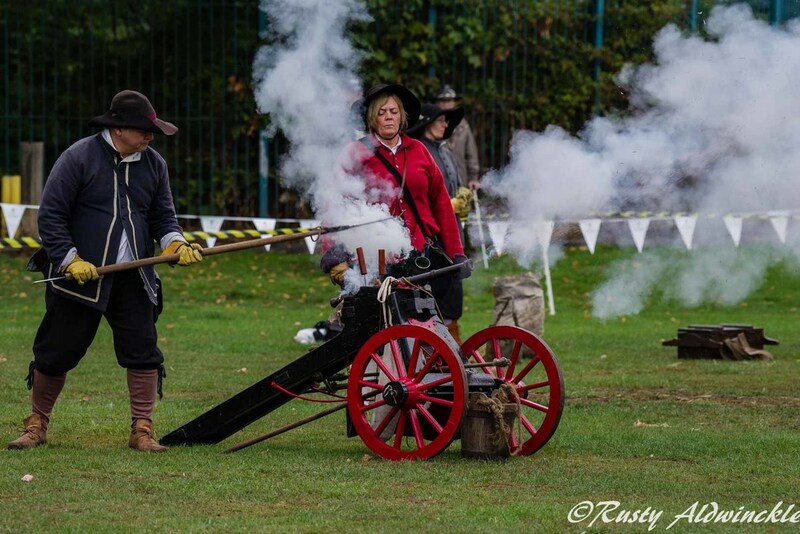 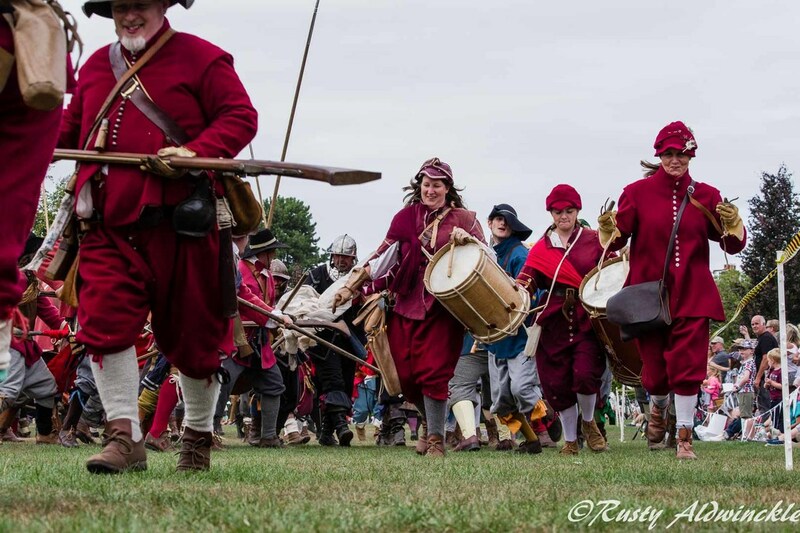 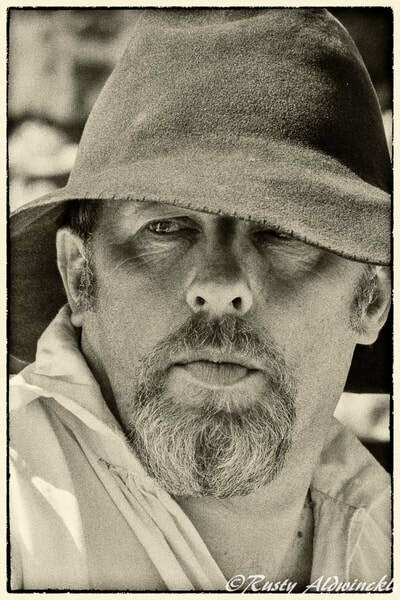 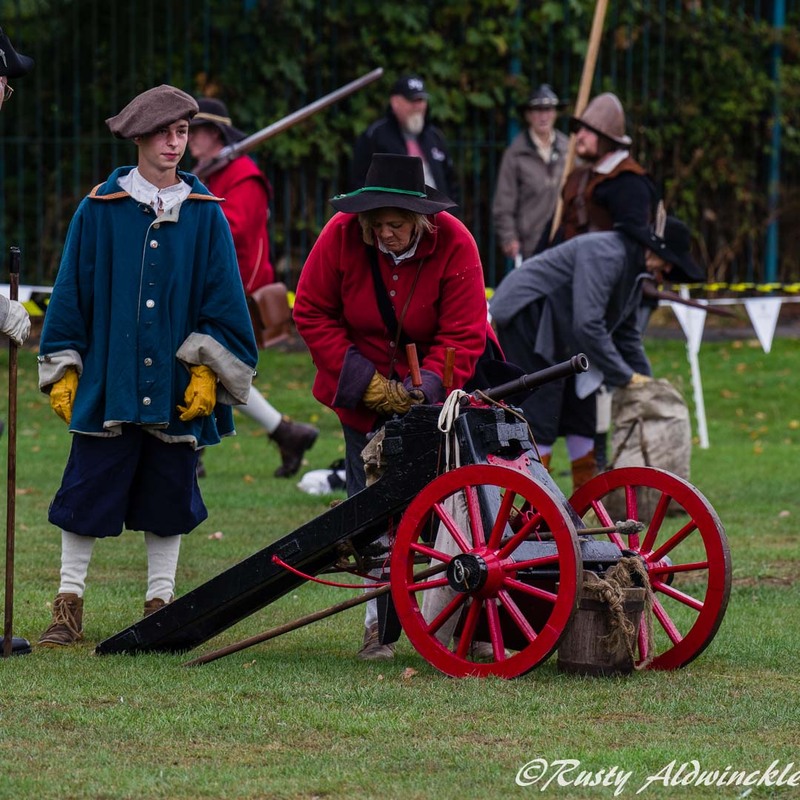 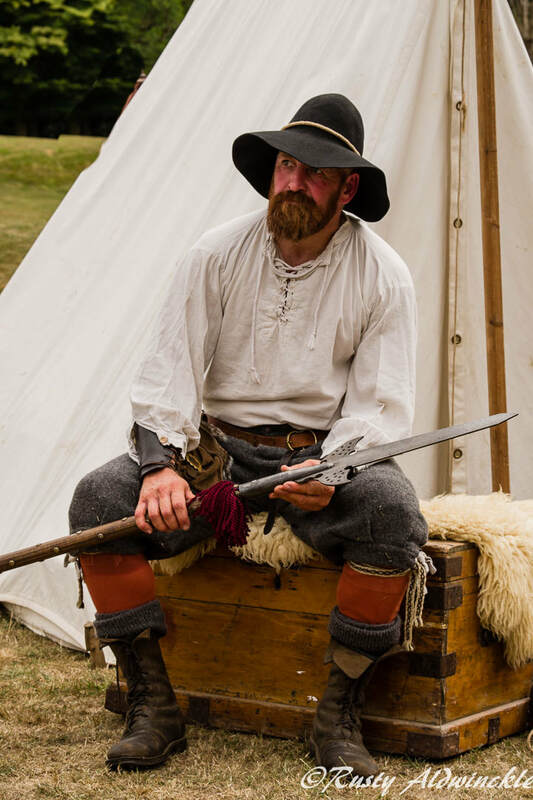 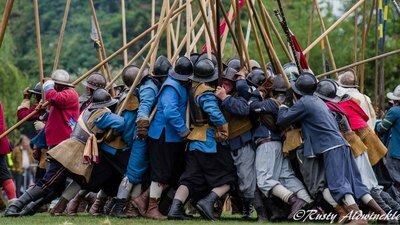 We definitely have to thank Liles Regiment for this along with everybody else involved from the town, English Heritage and the Sealed Knot. 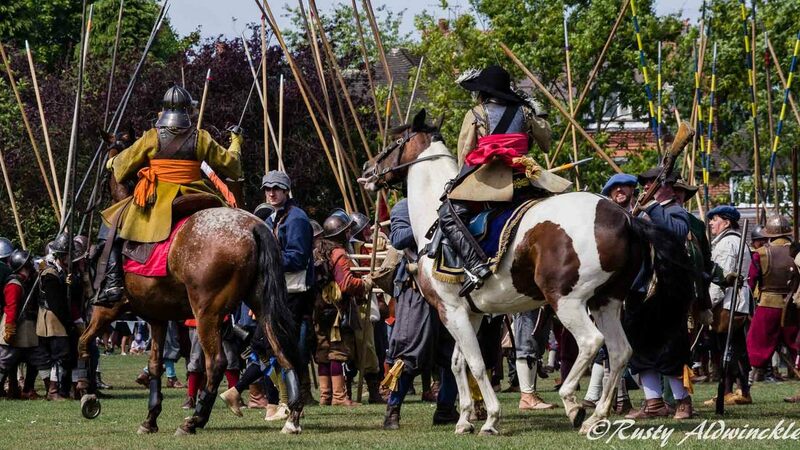 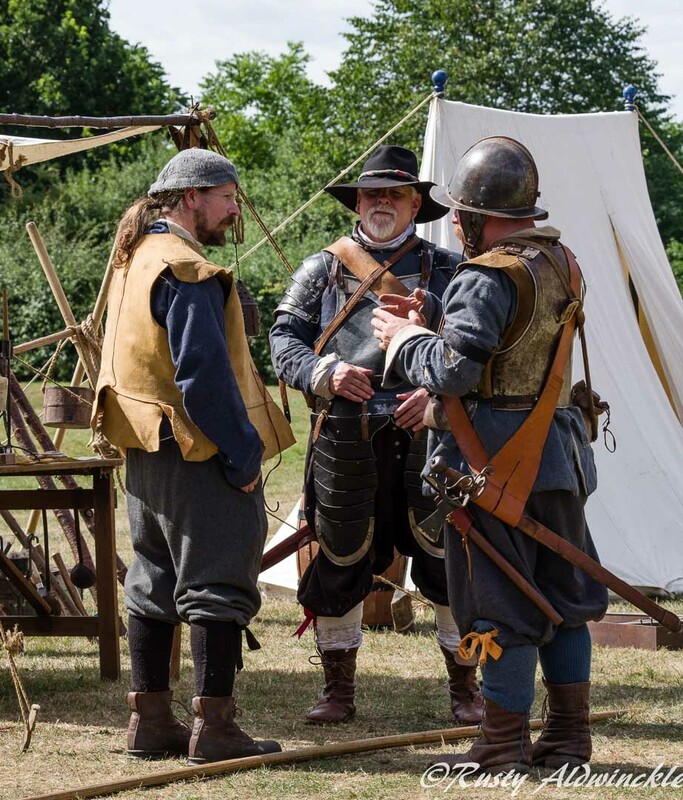 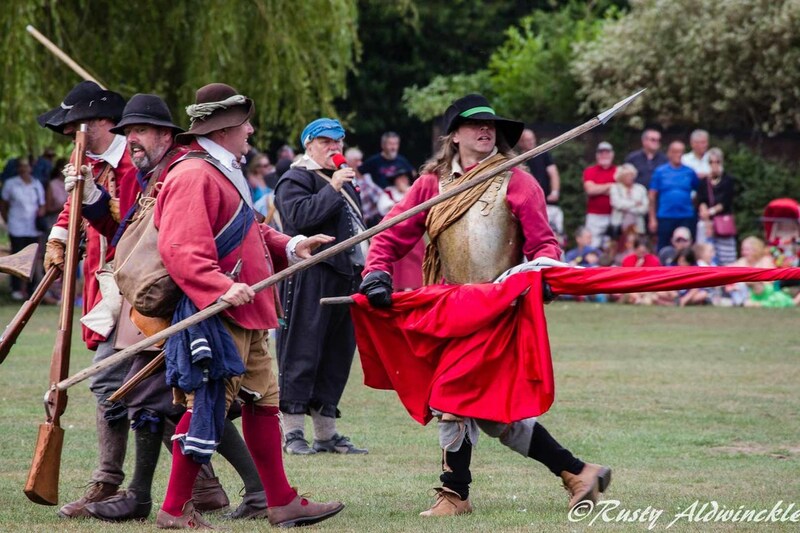 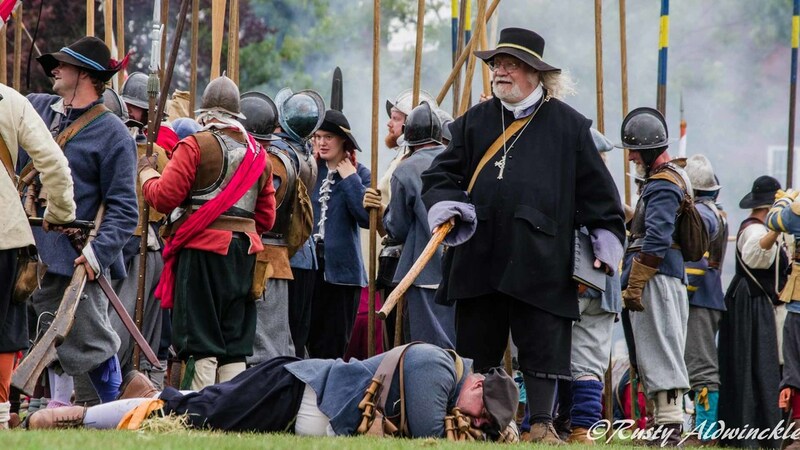 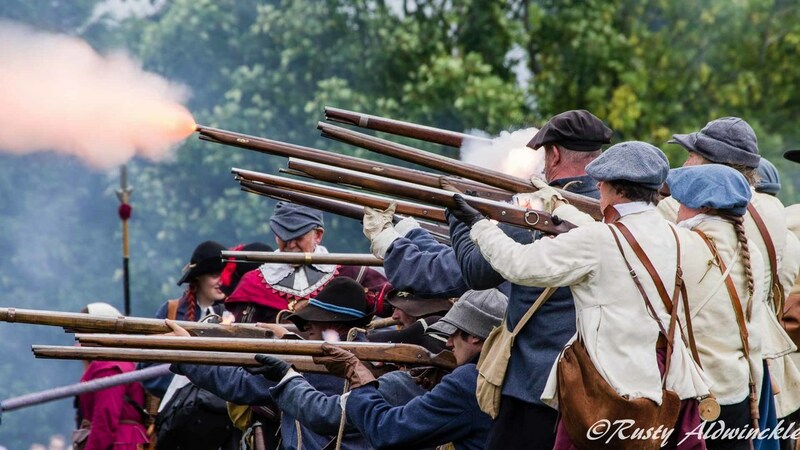 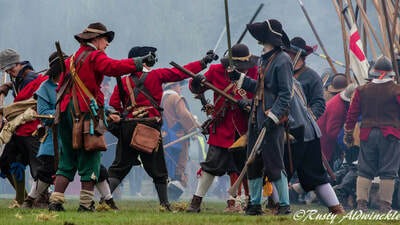 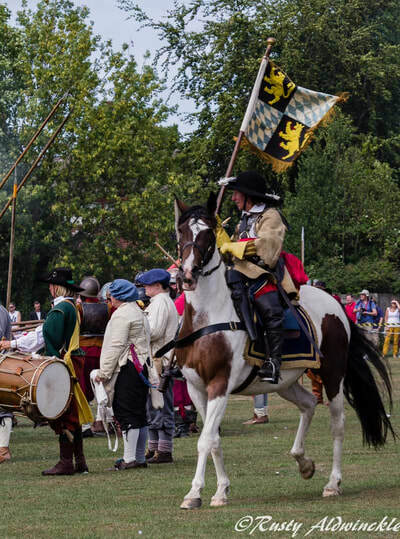 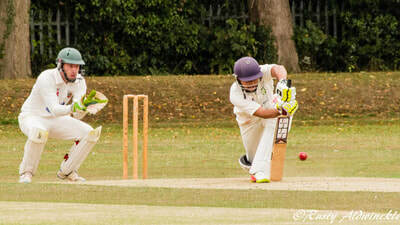 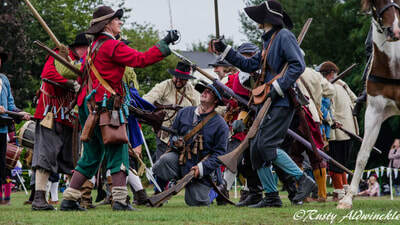 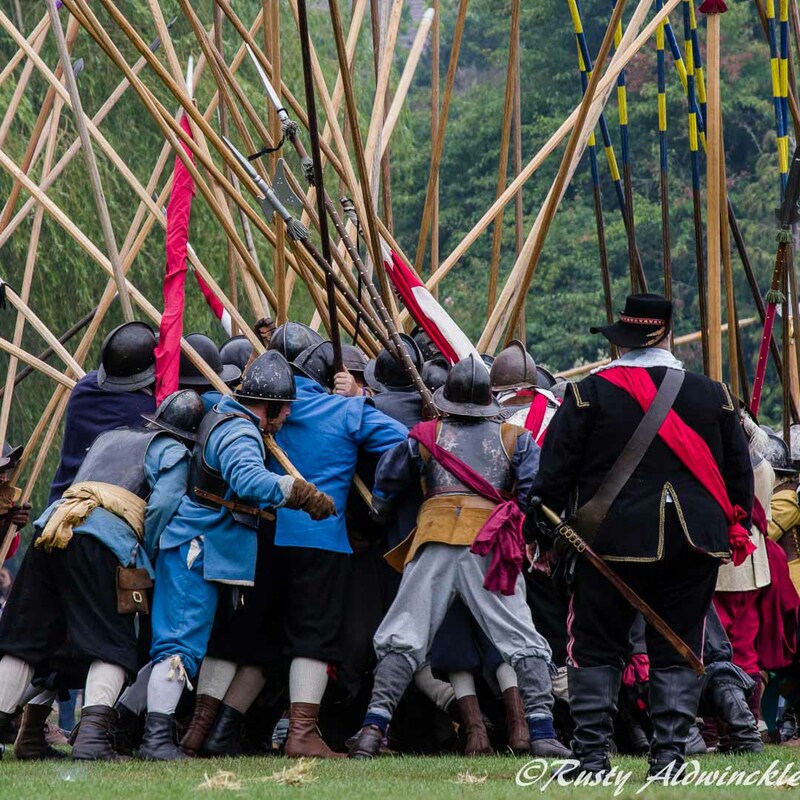 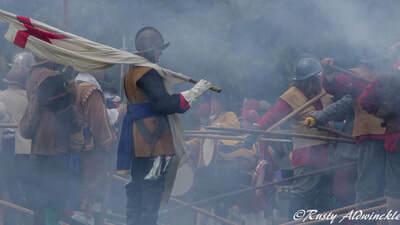 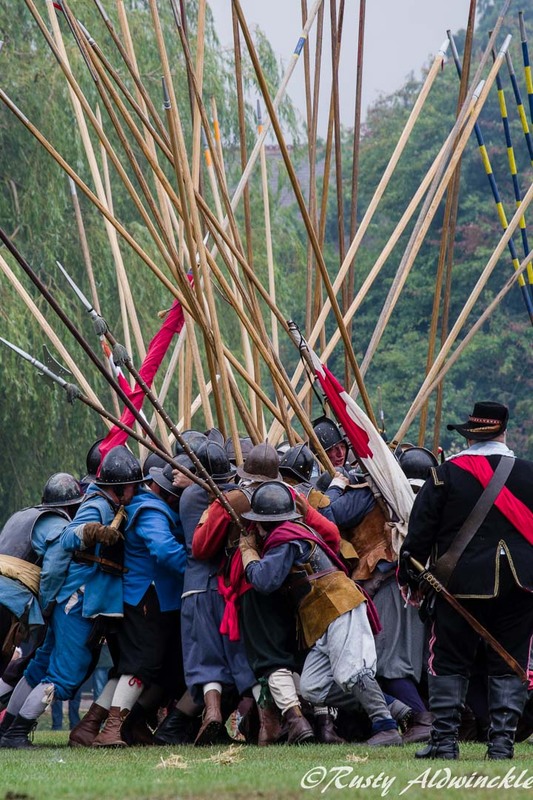 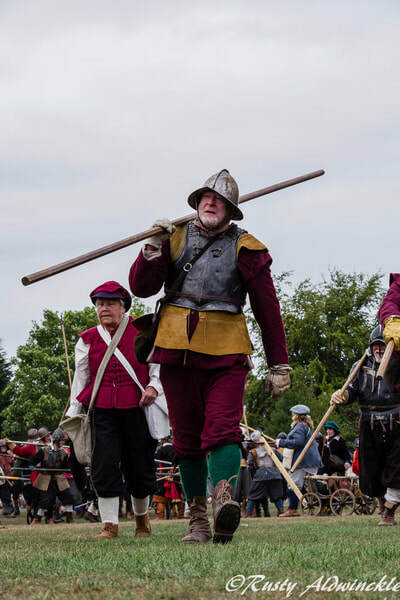 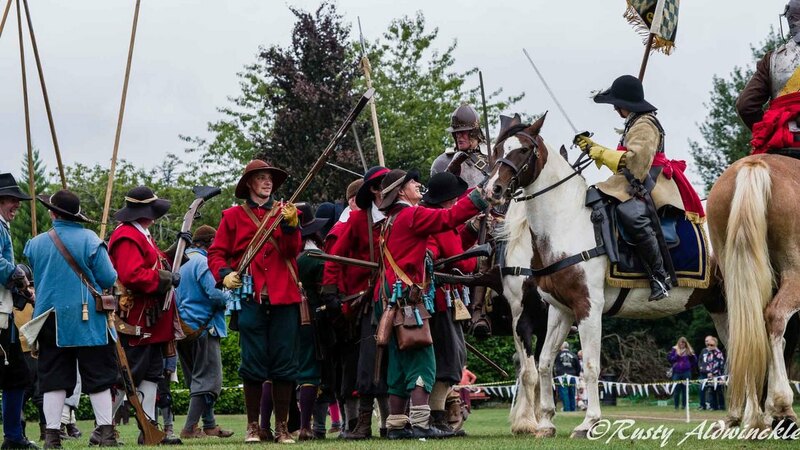 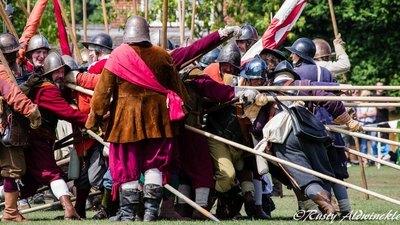 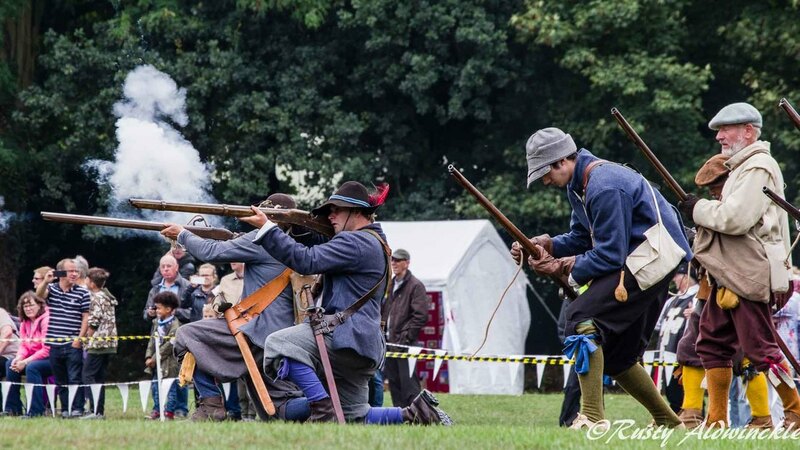 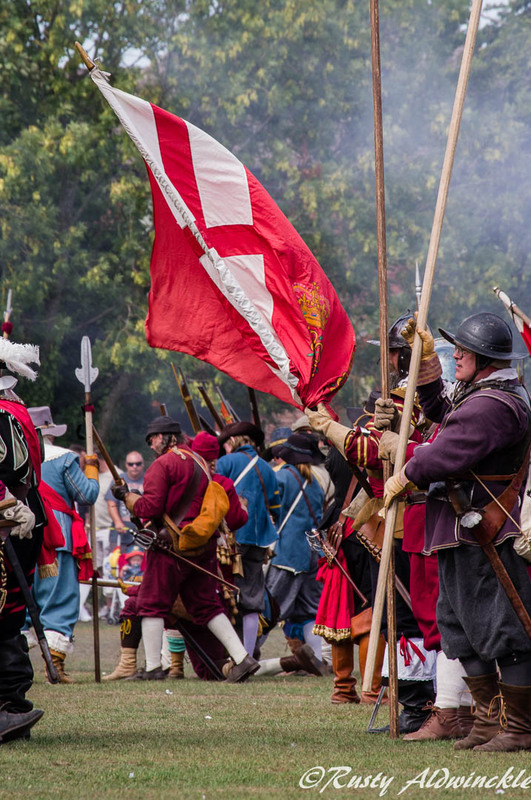 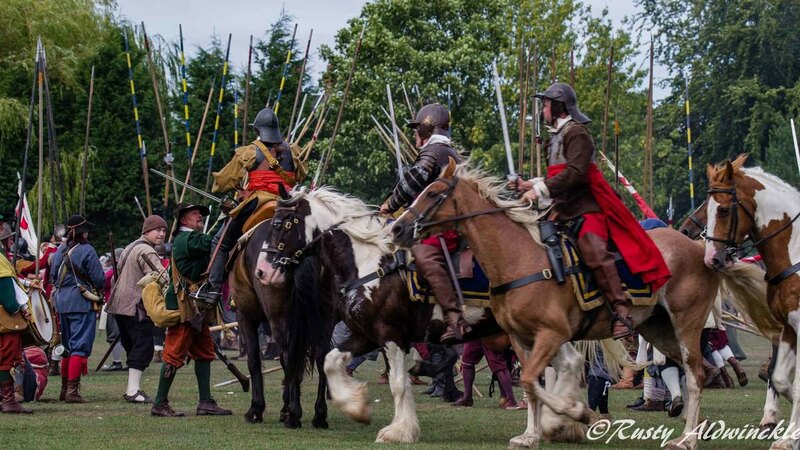 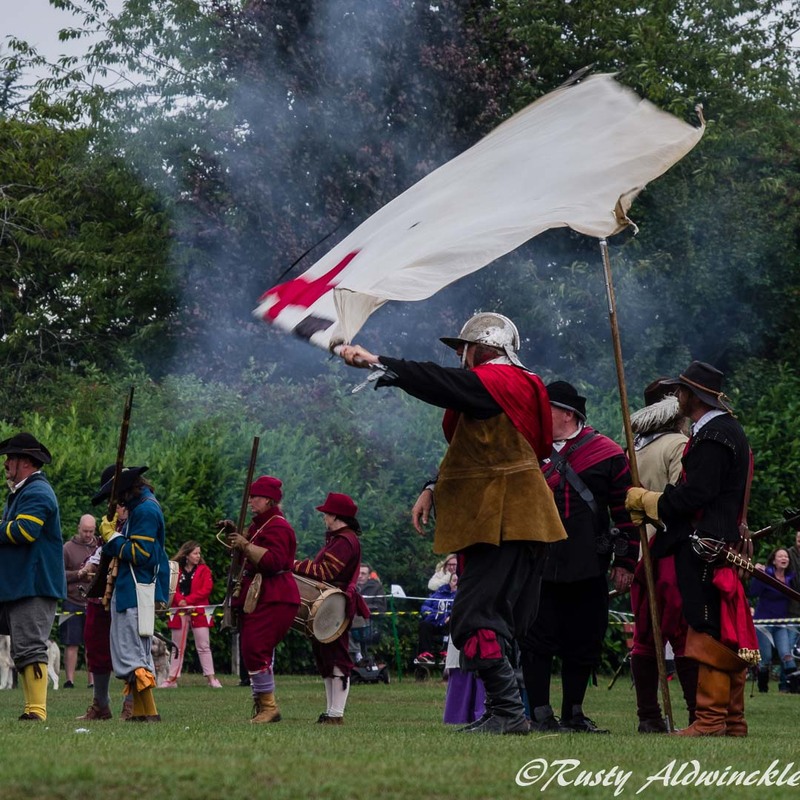 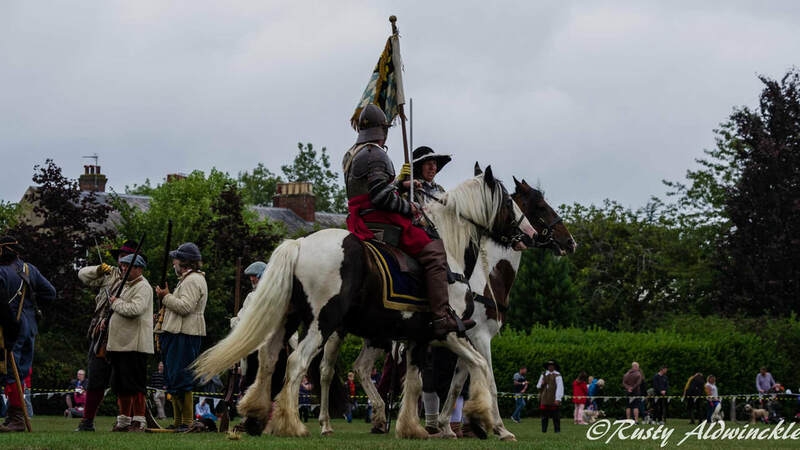 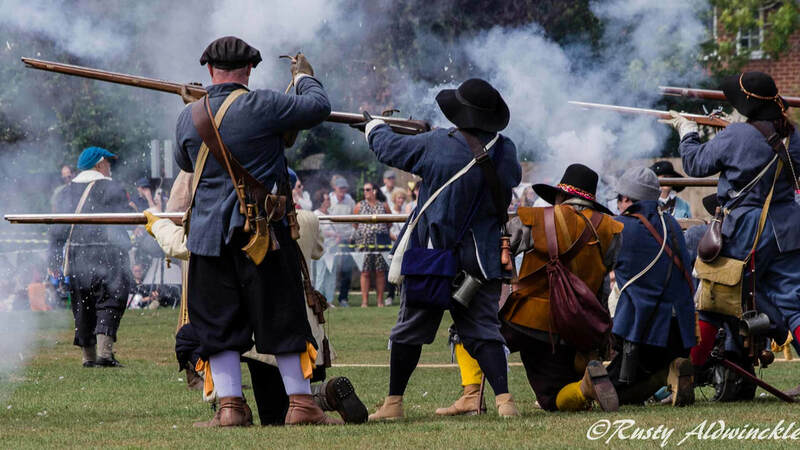 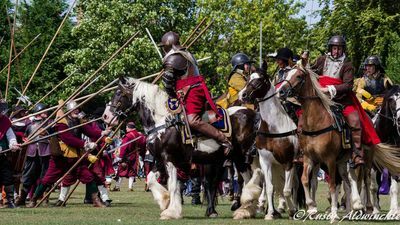 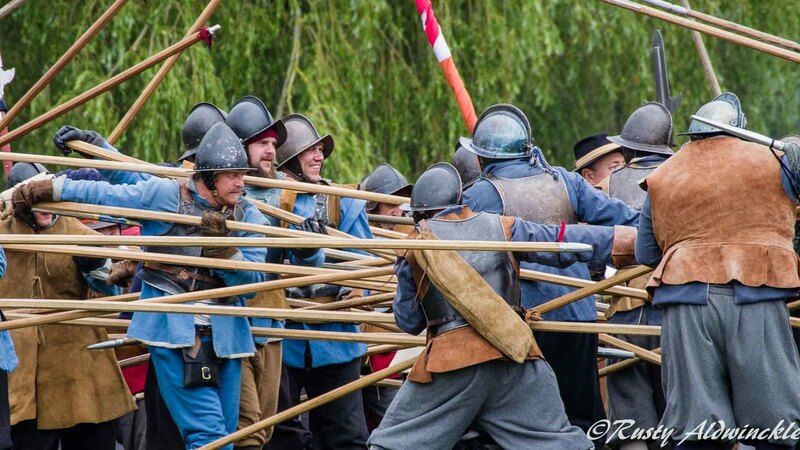 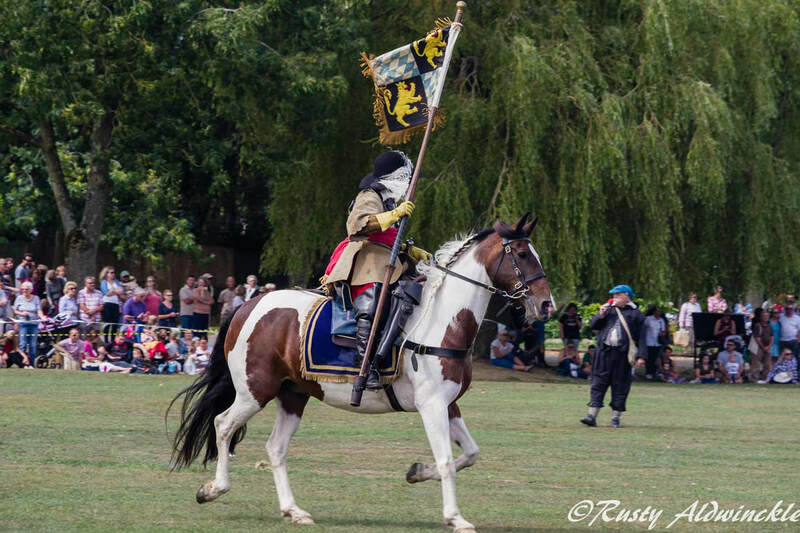 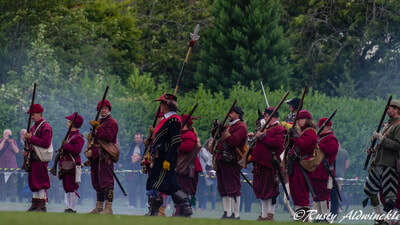 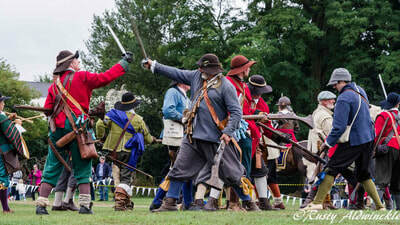 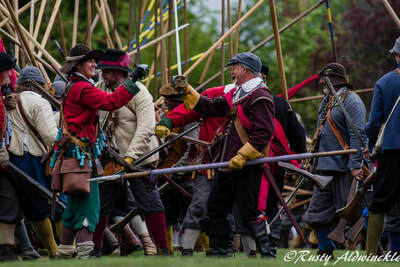 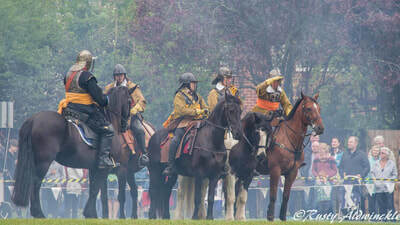 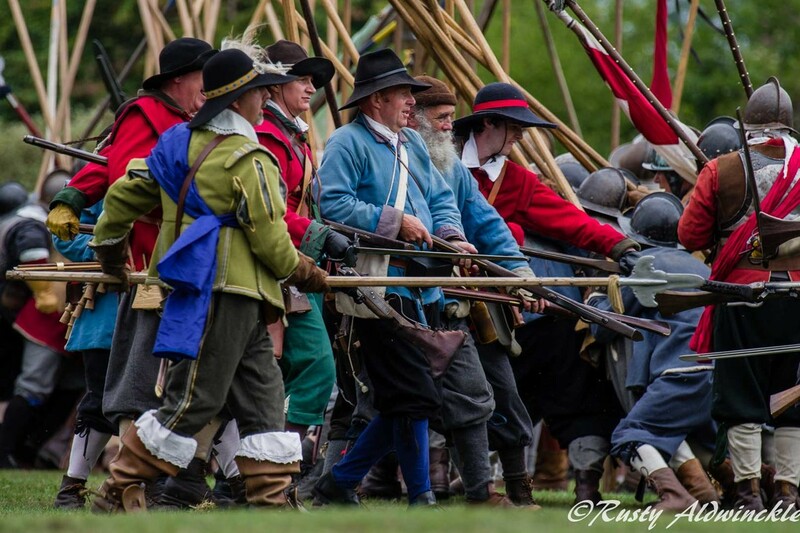 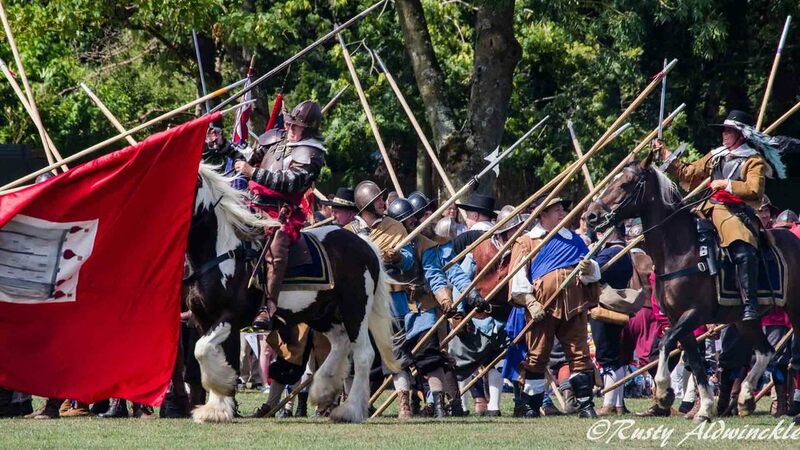 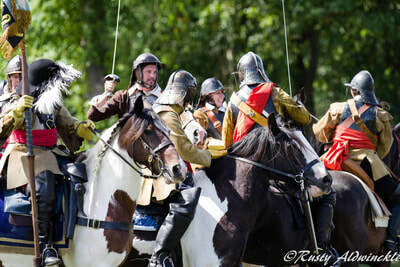 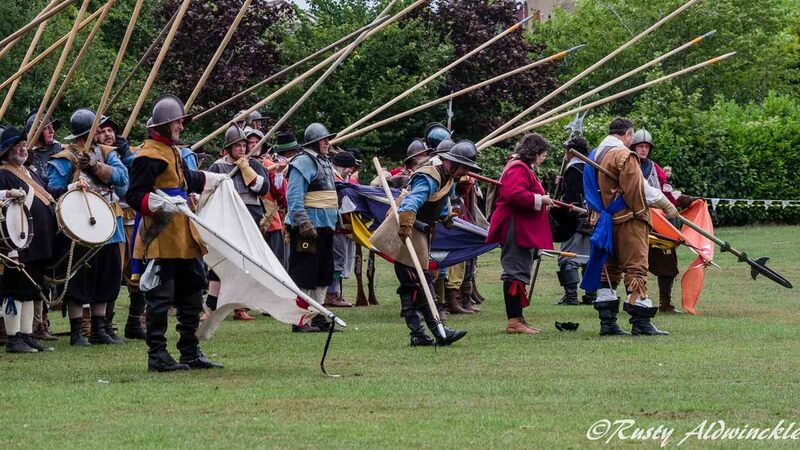 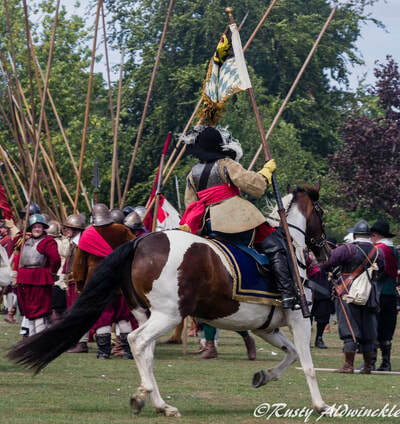 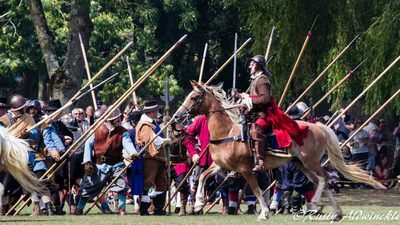 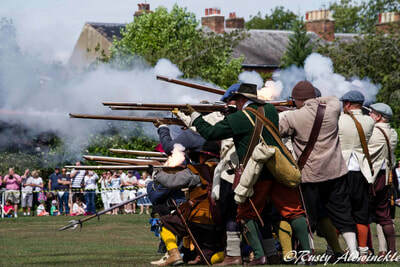 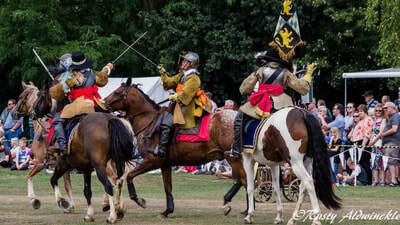 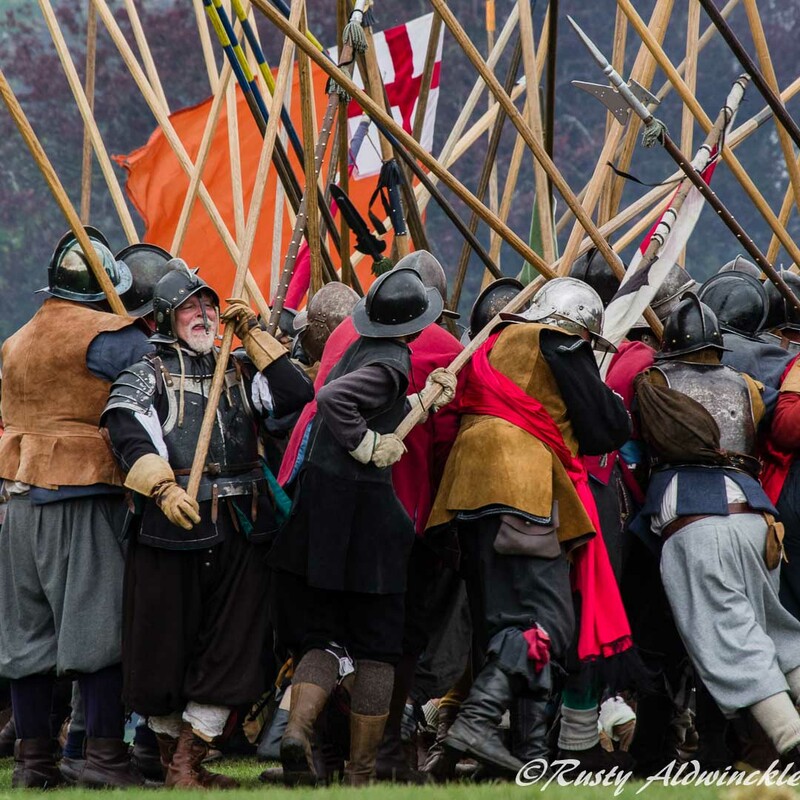 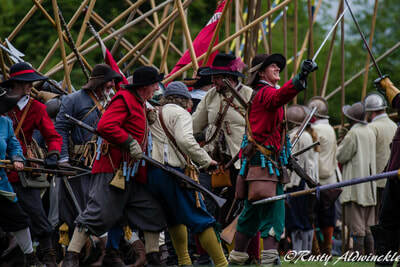 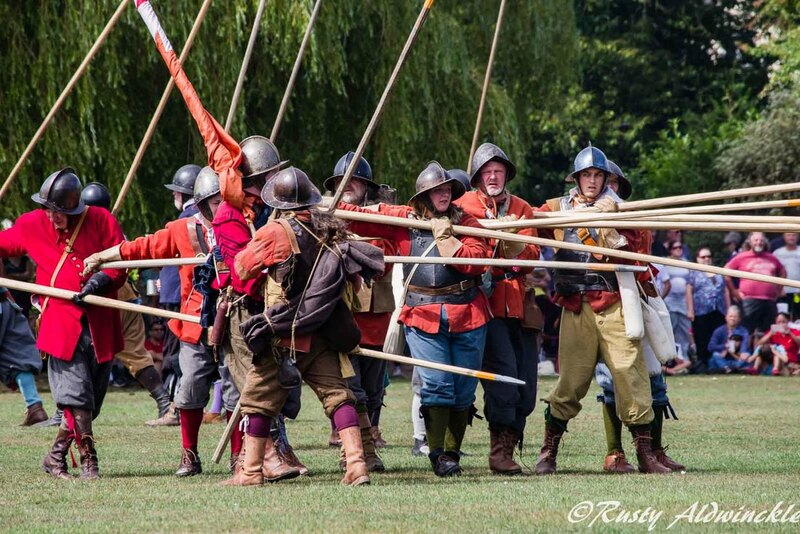 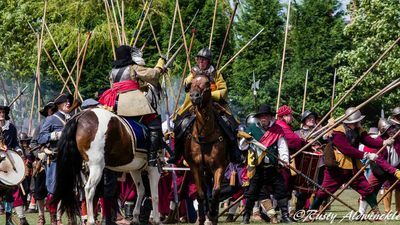 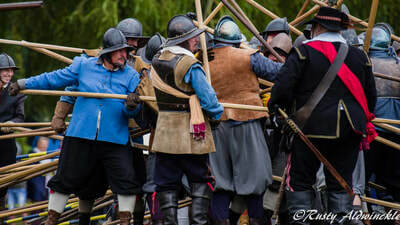 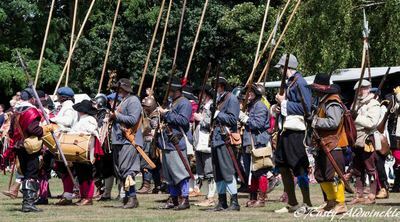 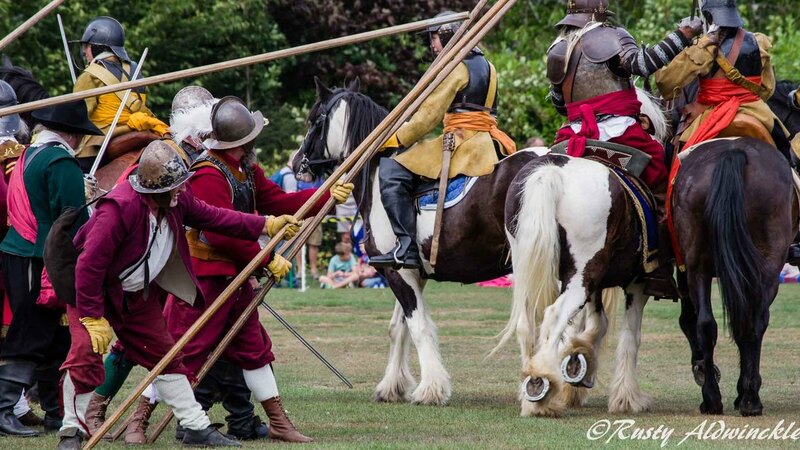 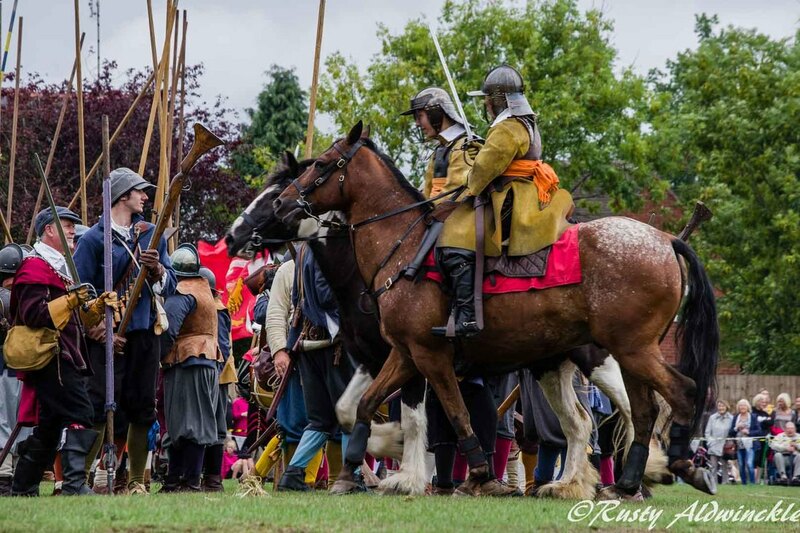 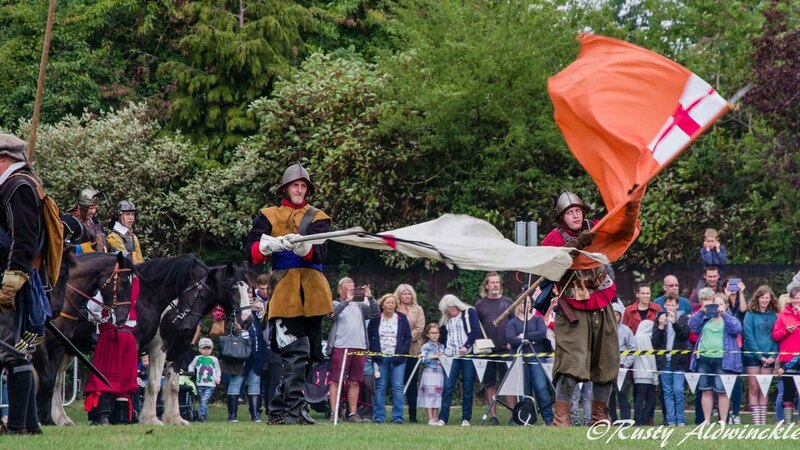 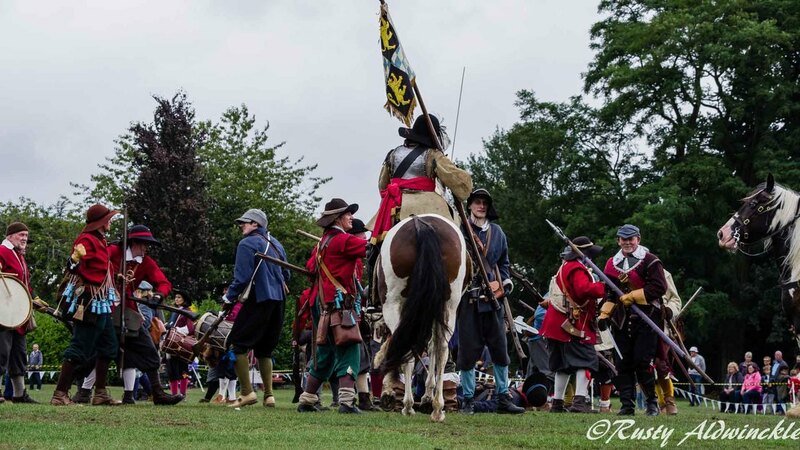 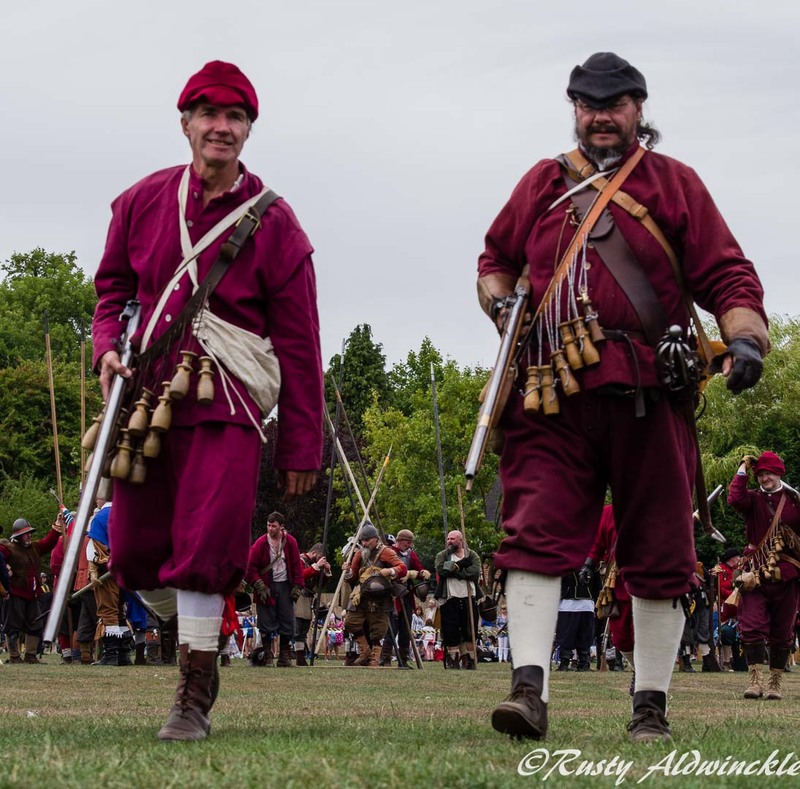 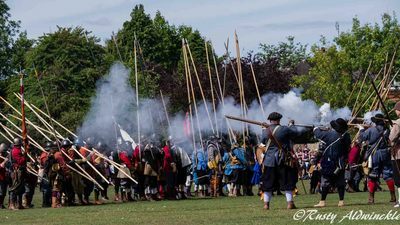 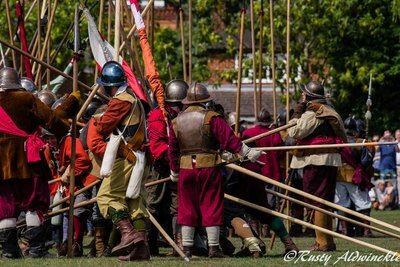 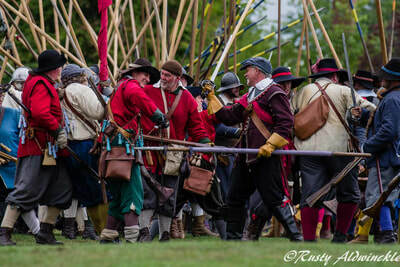 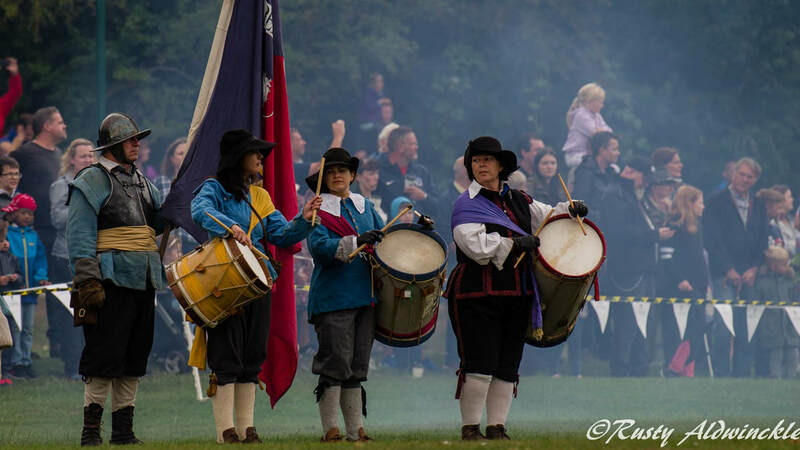 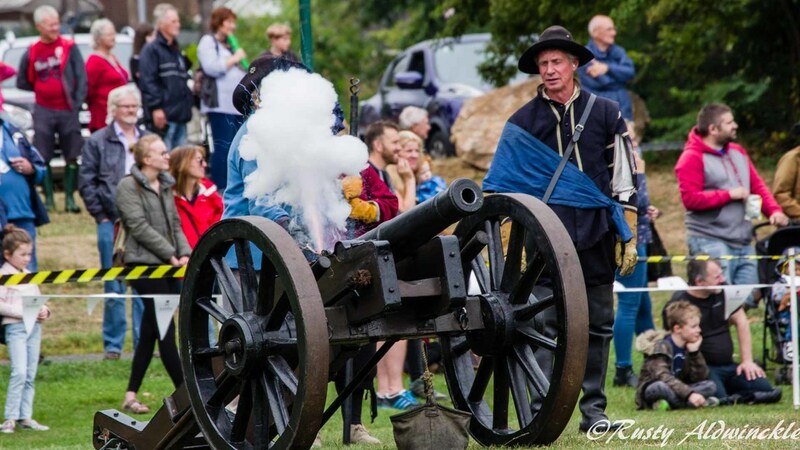 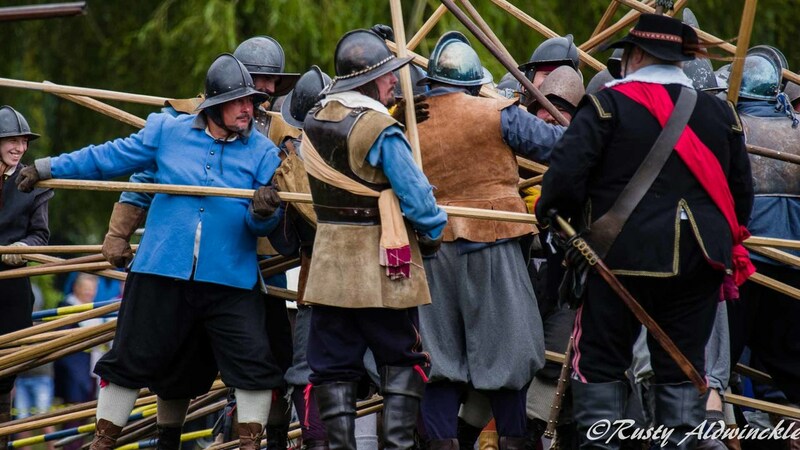 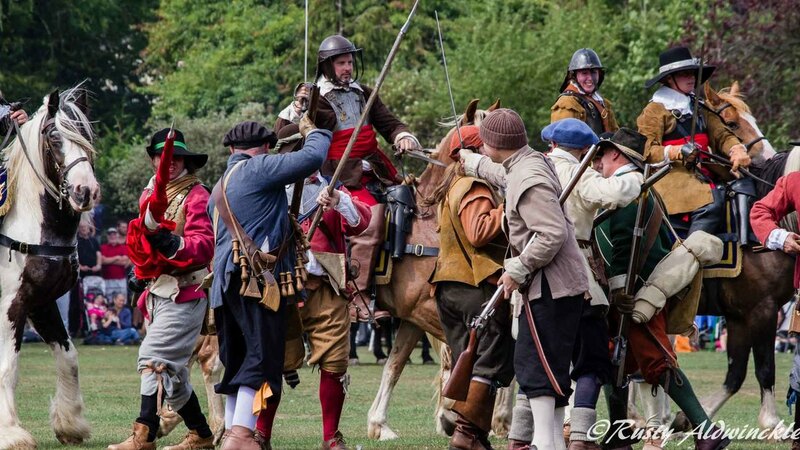 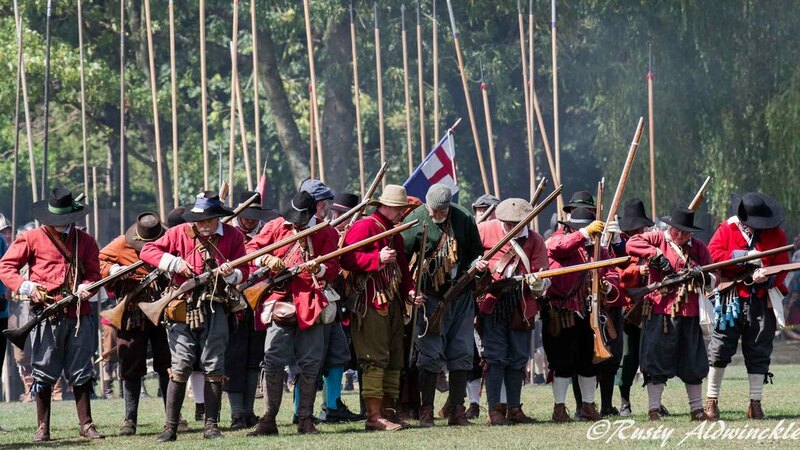 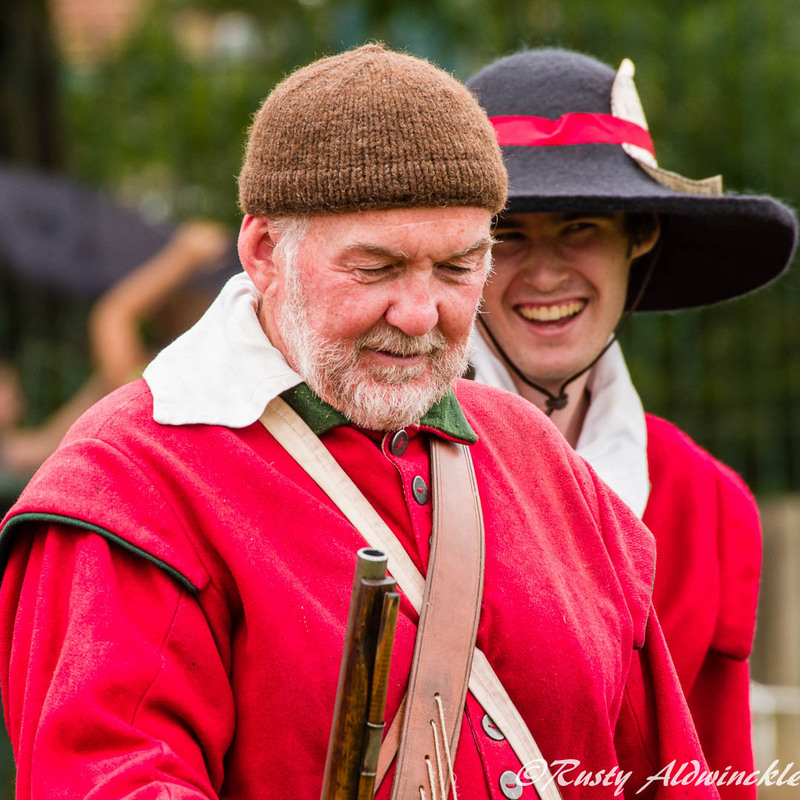 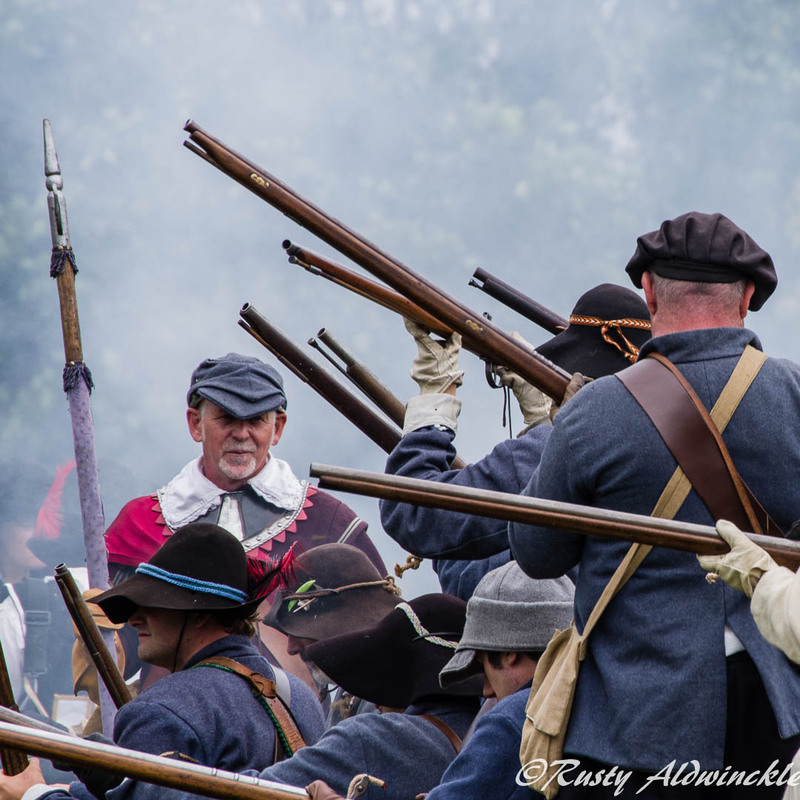 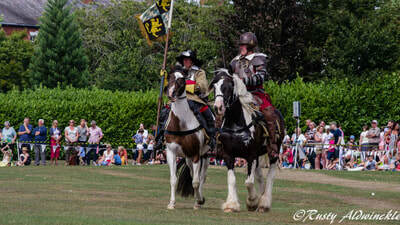 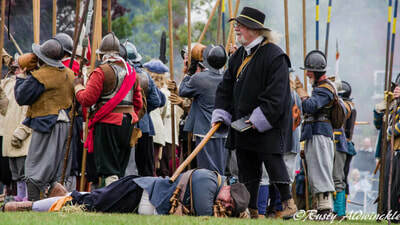 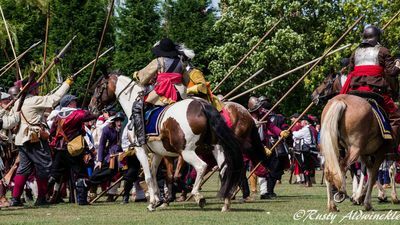 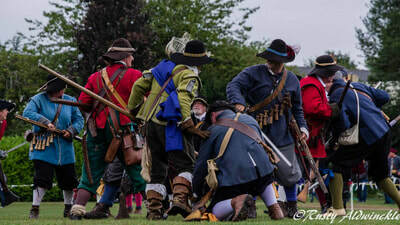 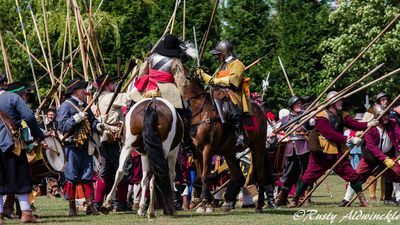 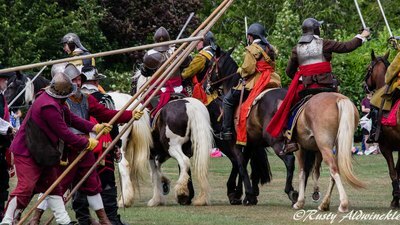 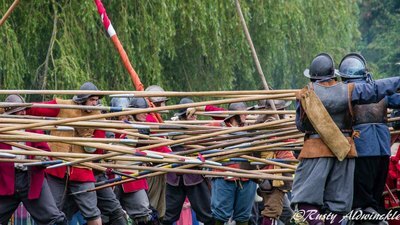 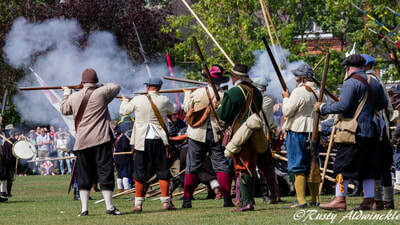 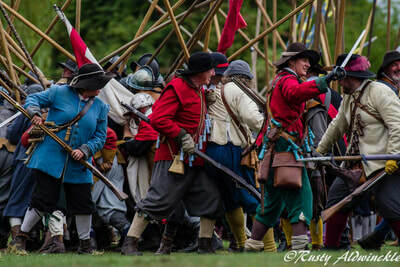 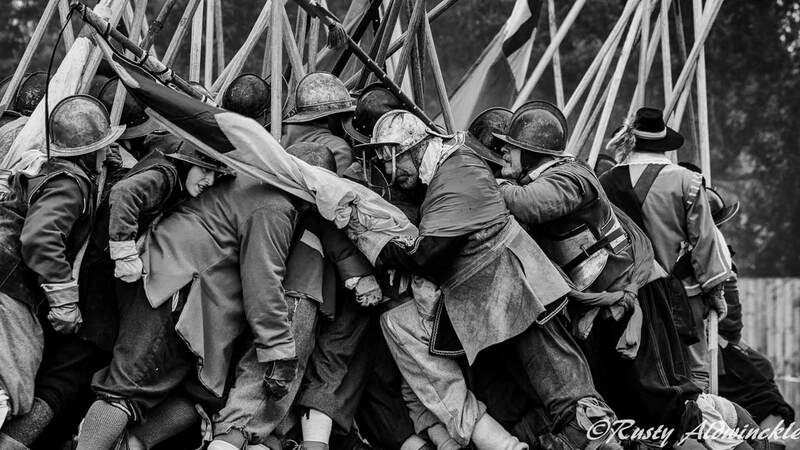 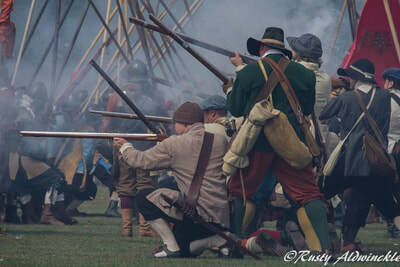 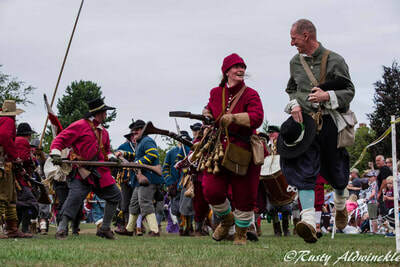 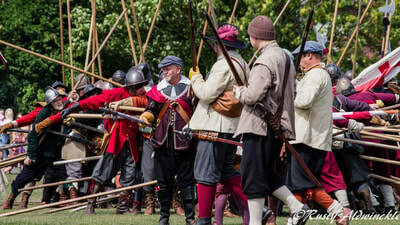 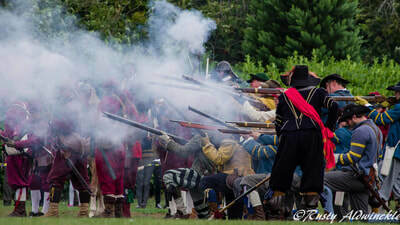 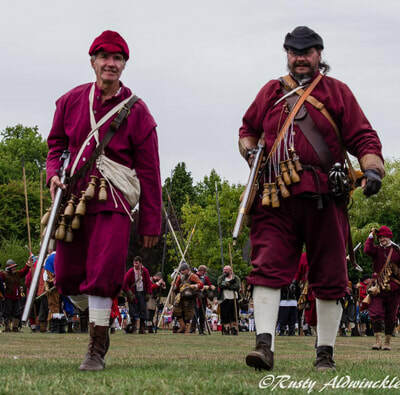 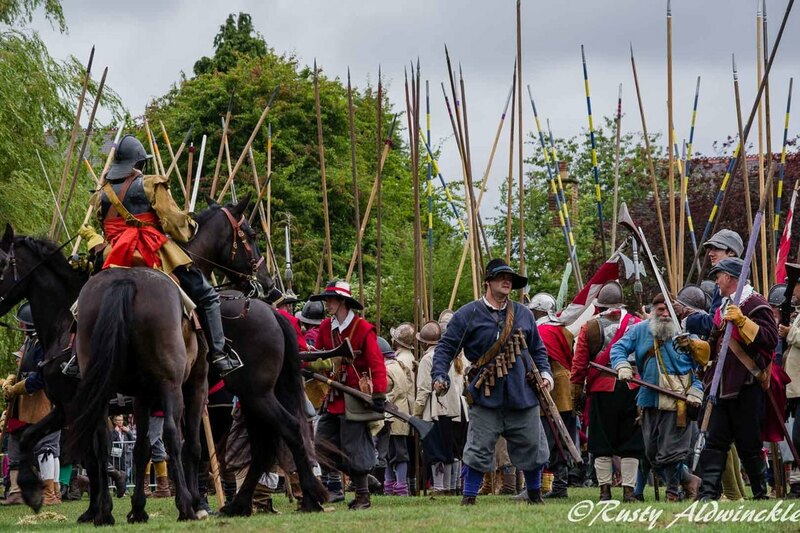 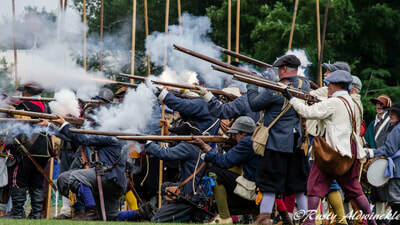 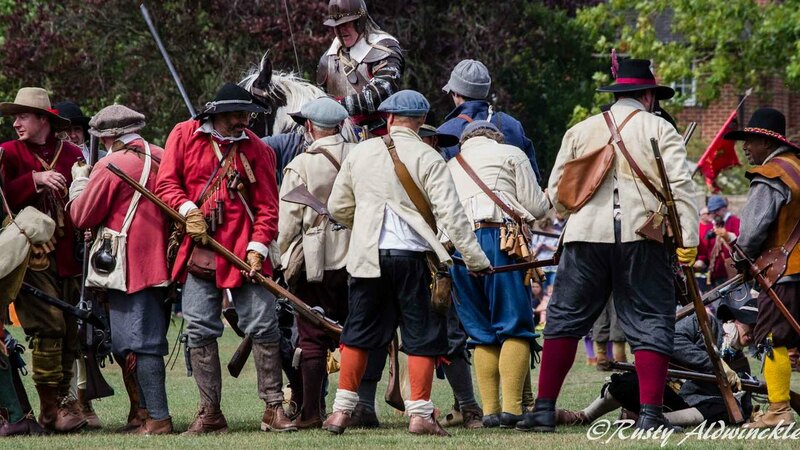 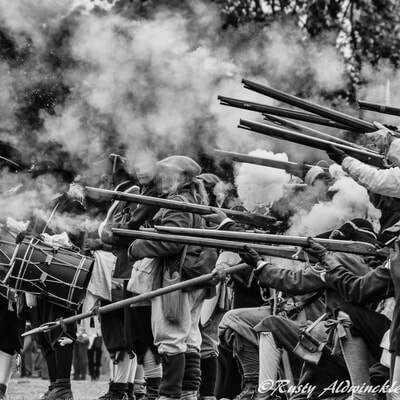 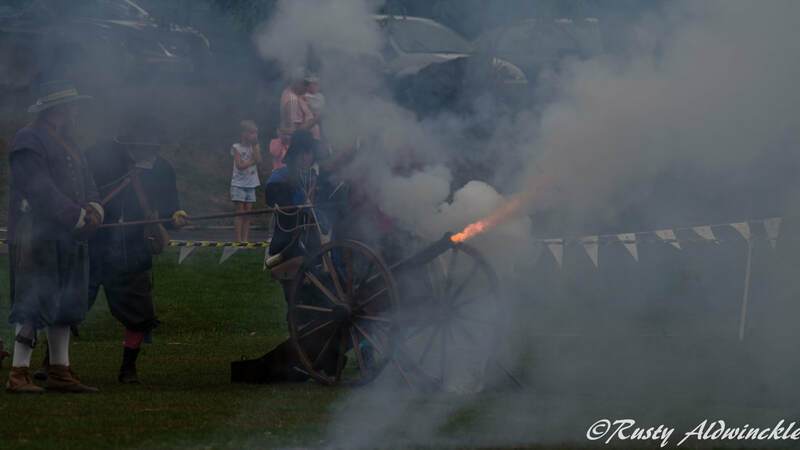 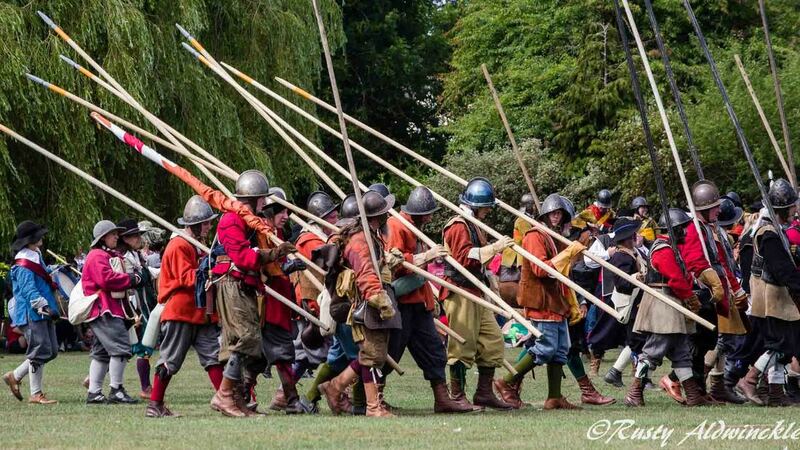 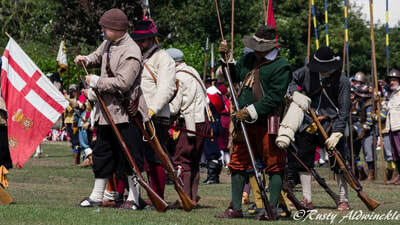 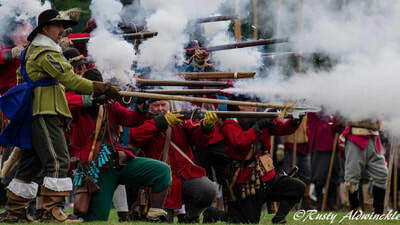 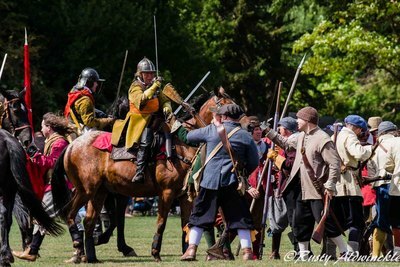 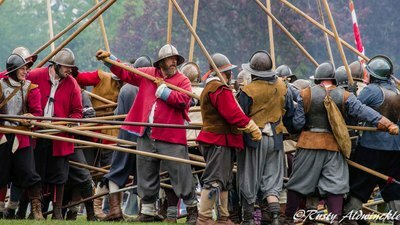 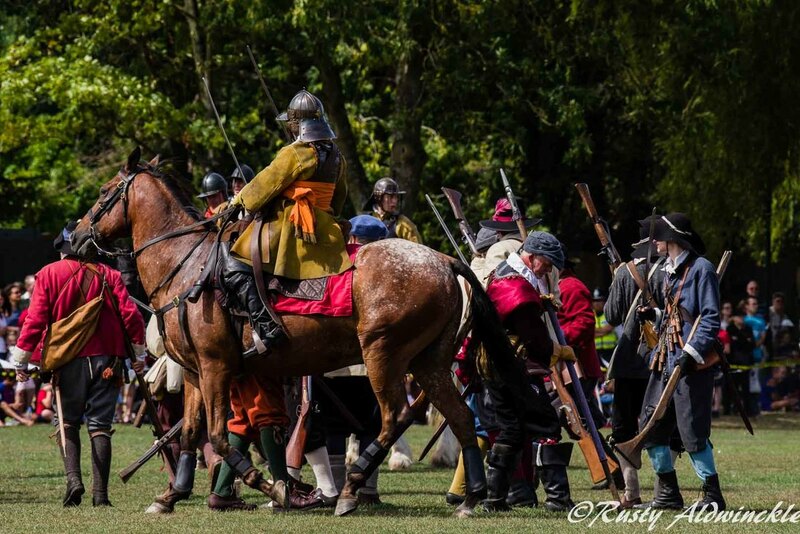 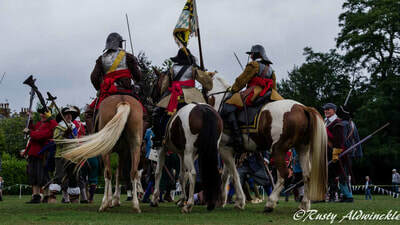 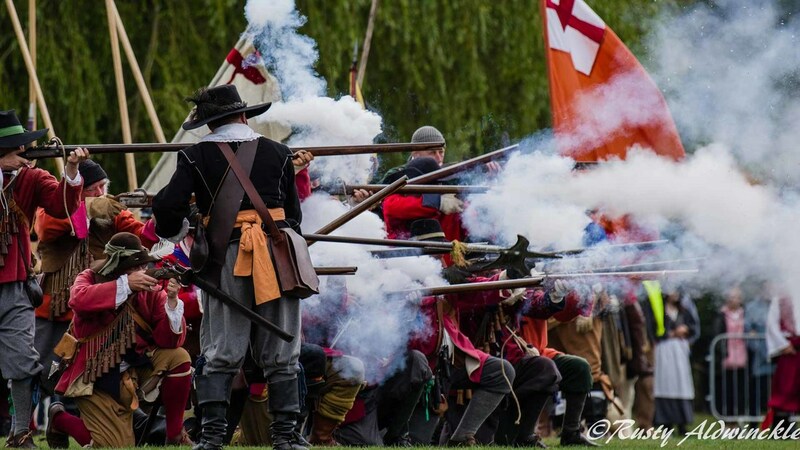 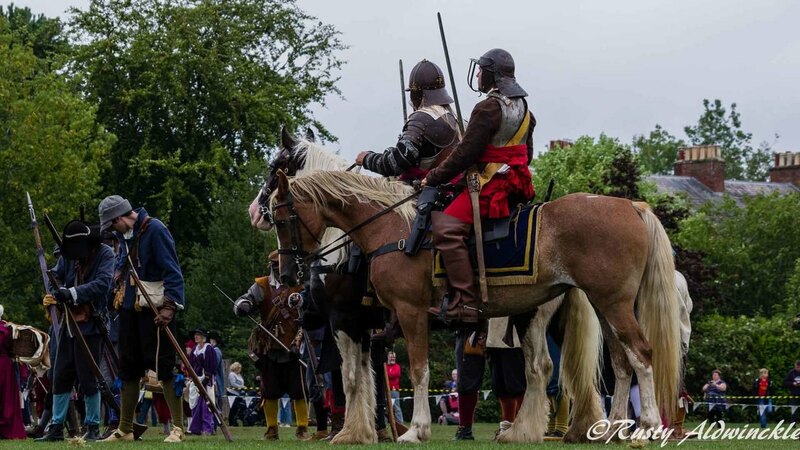 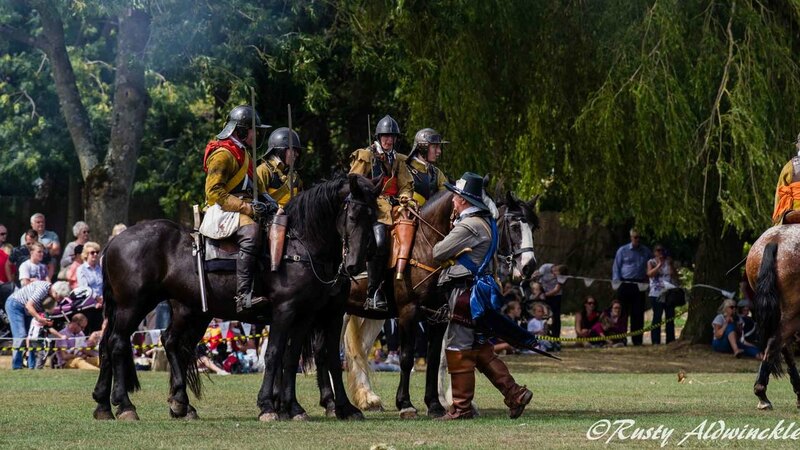 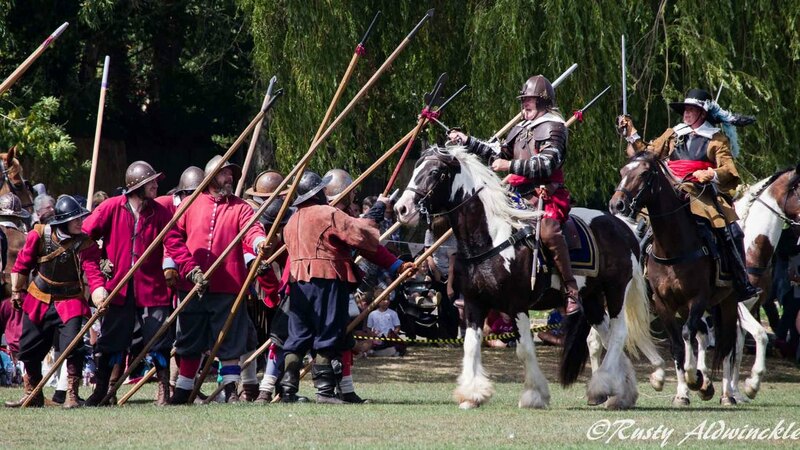 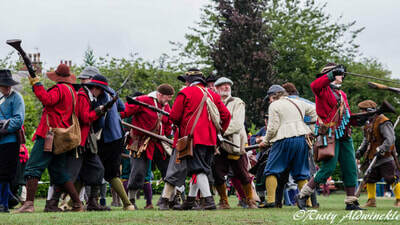 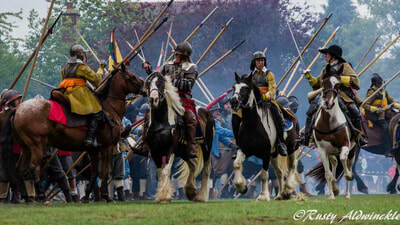 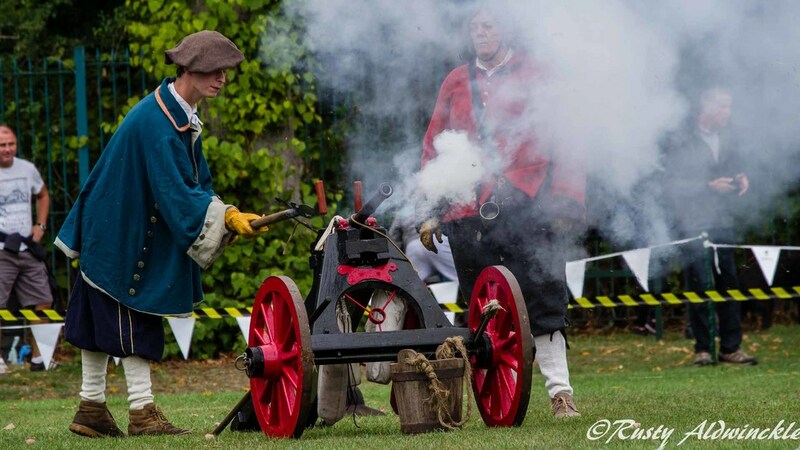 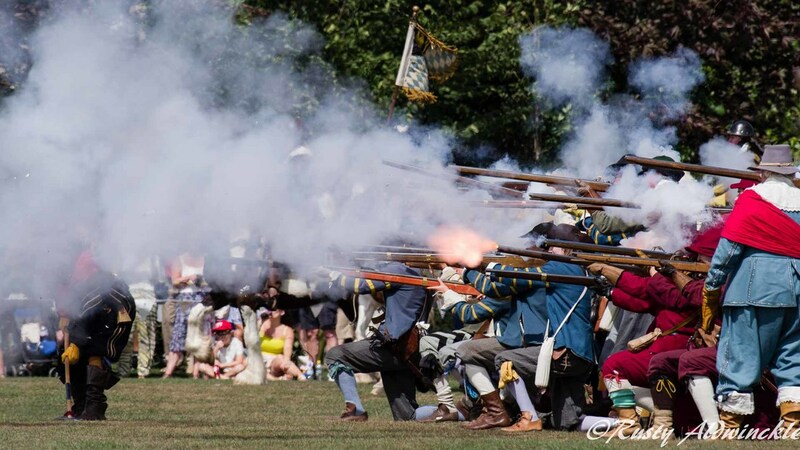 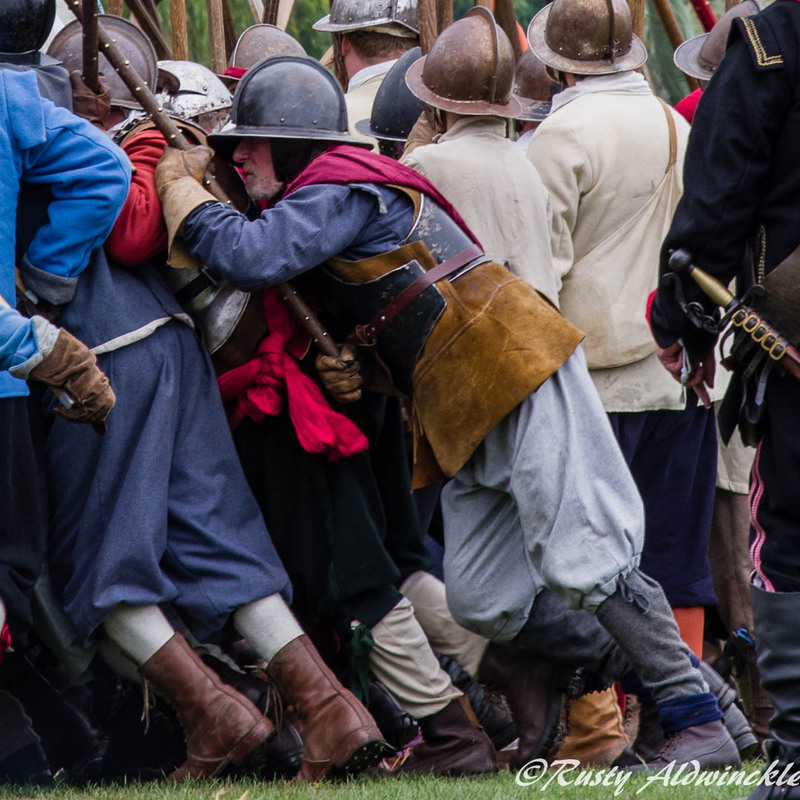 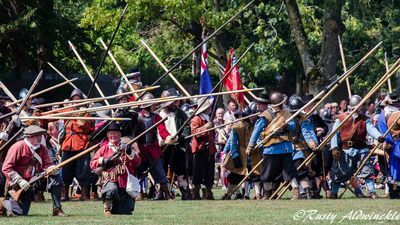 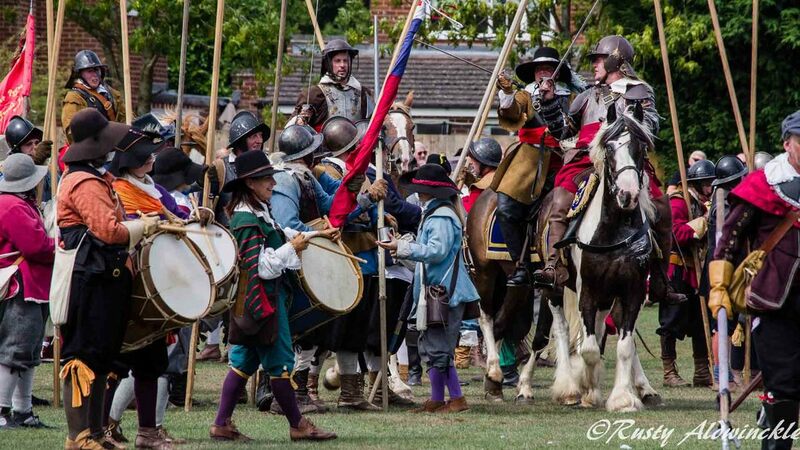 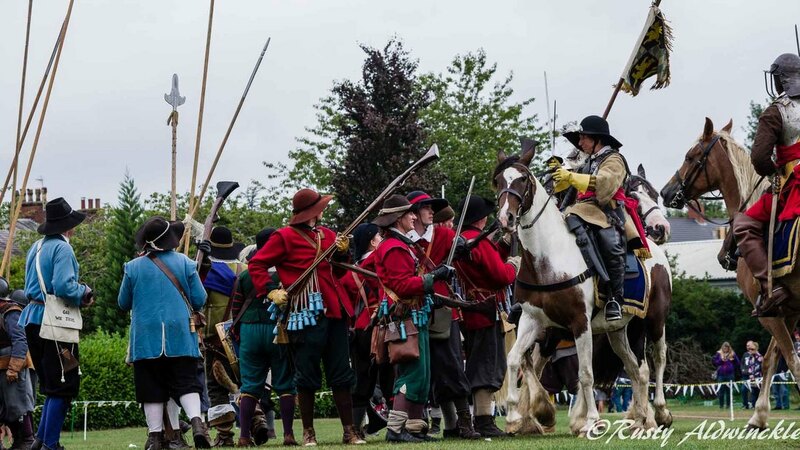 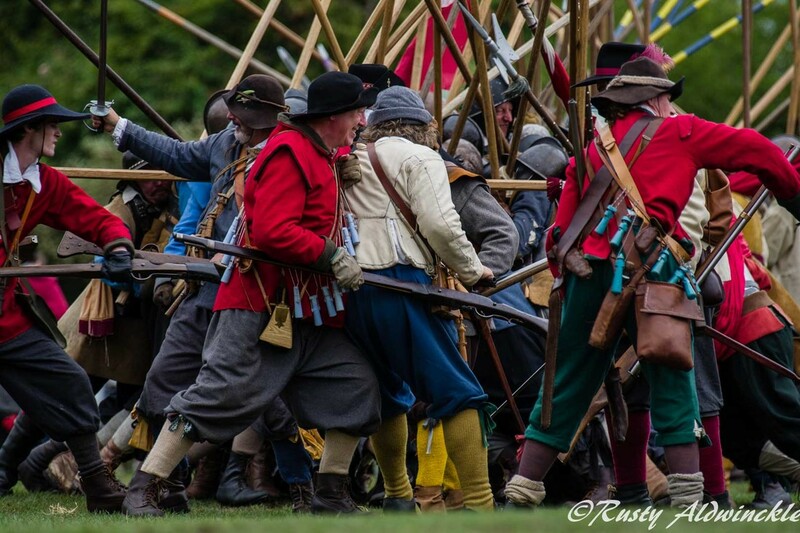 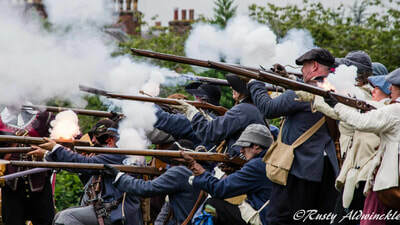 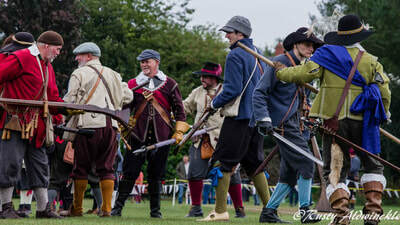 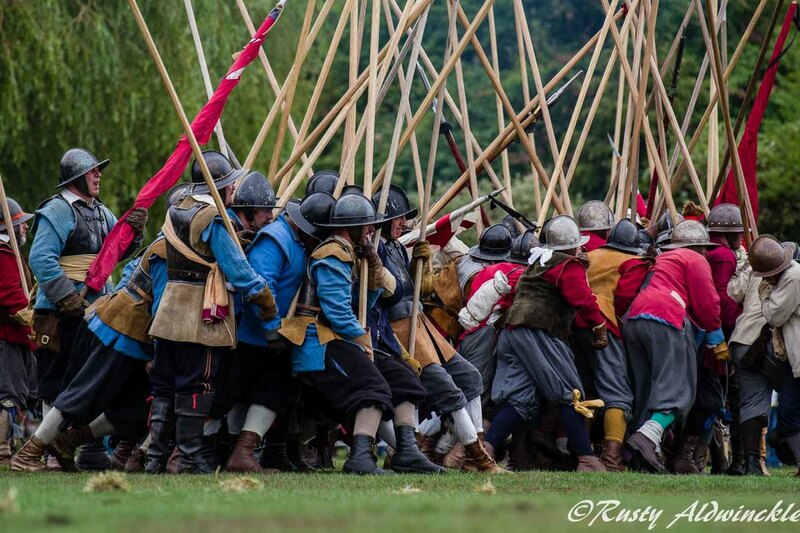 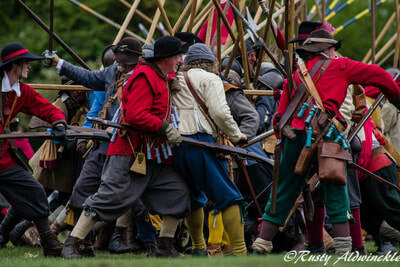 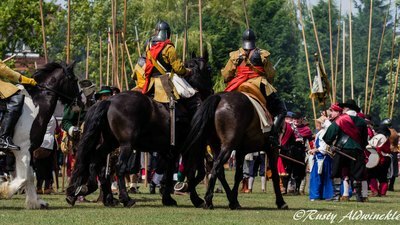 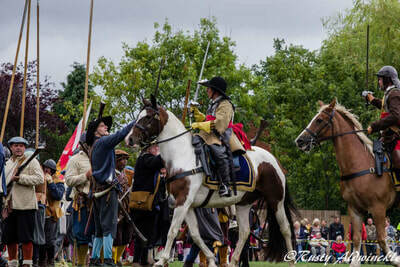 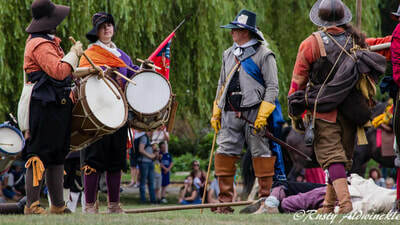 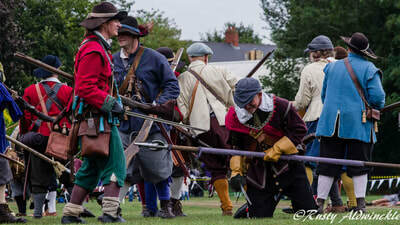 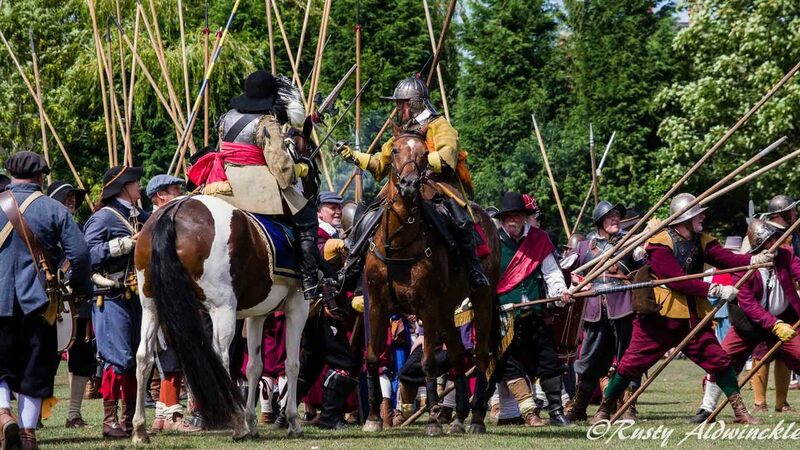 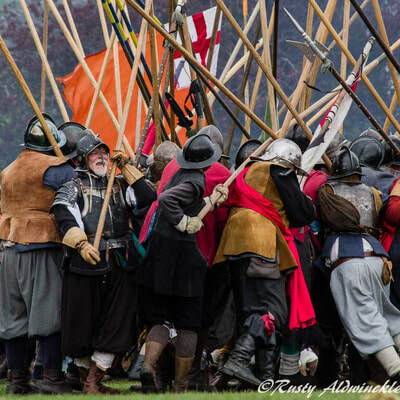 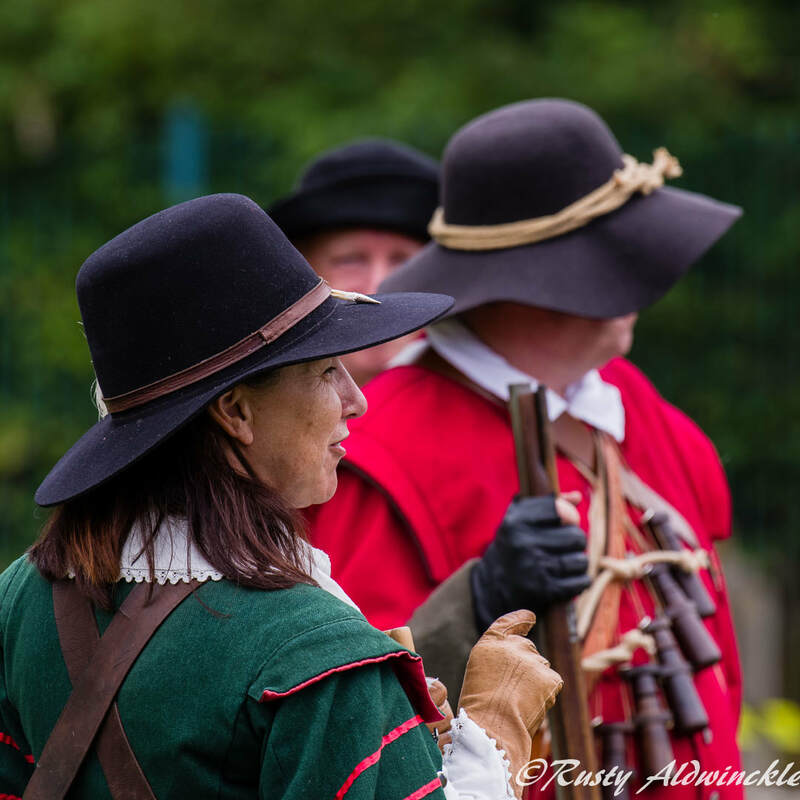 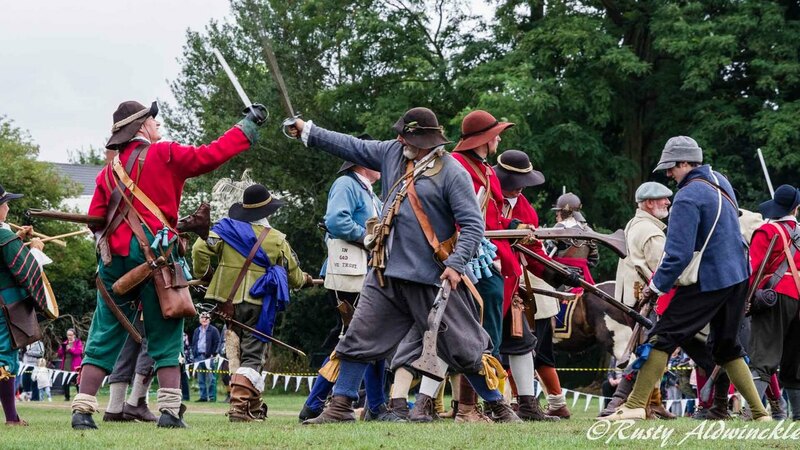 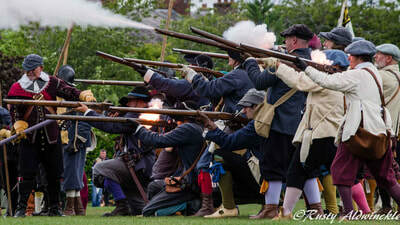 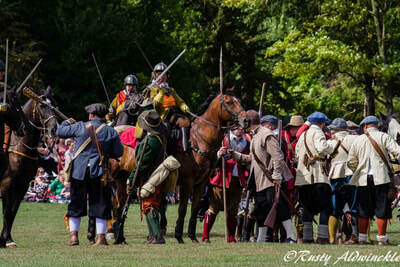 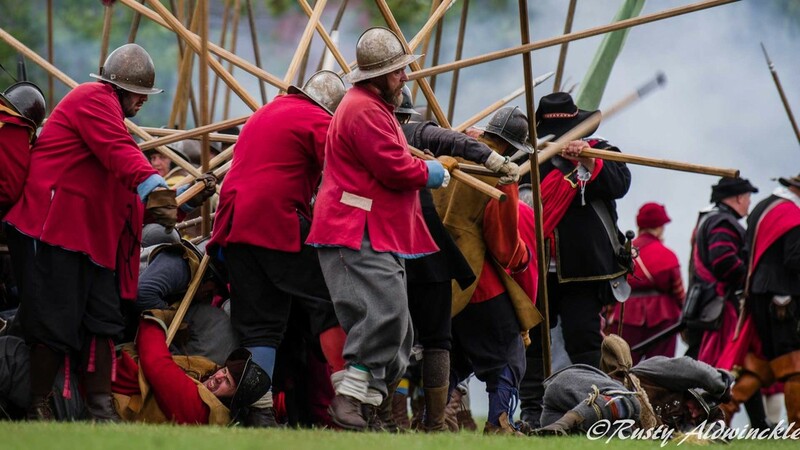 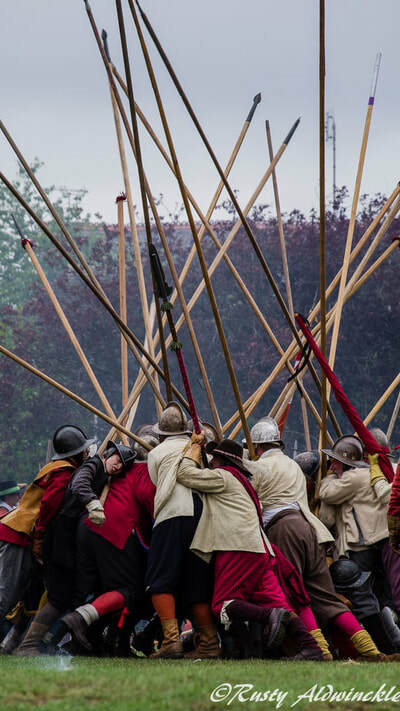 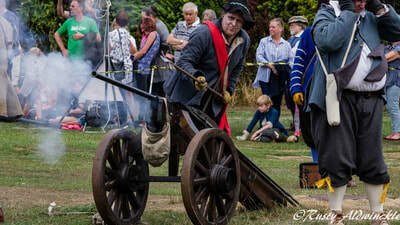 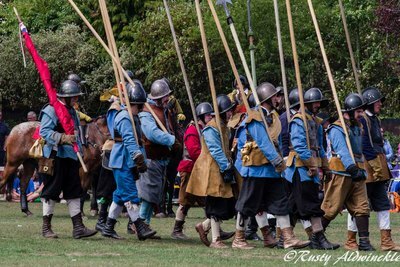 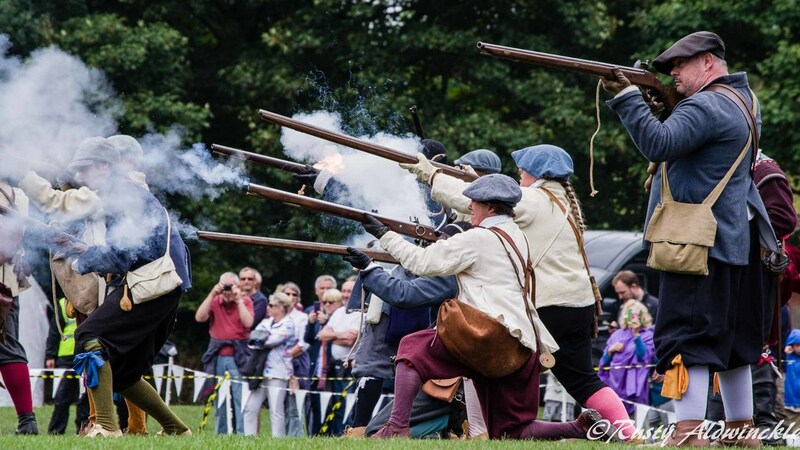 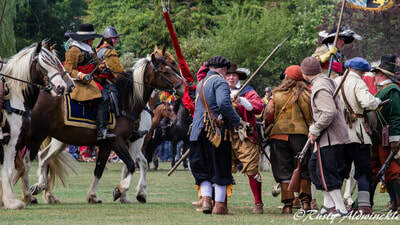 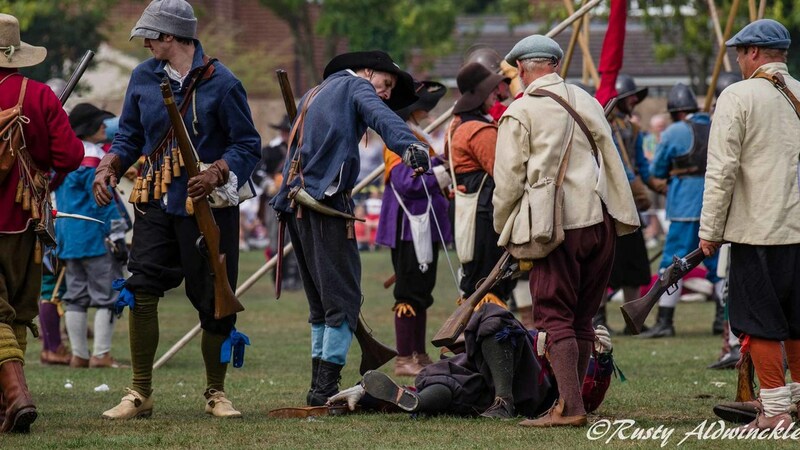 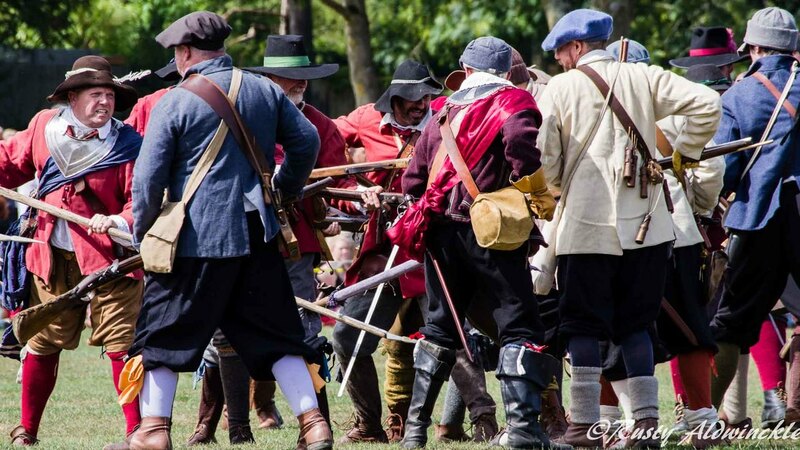 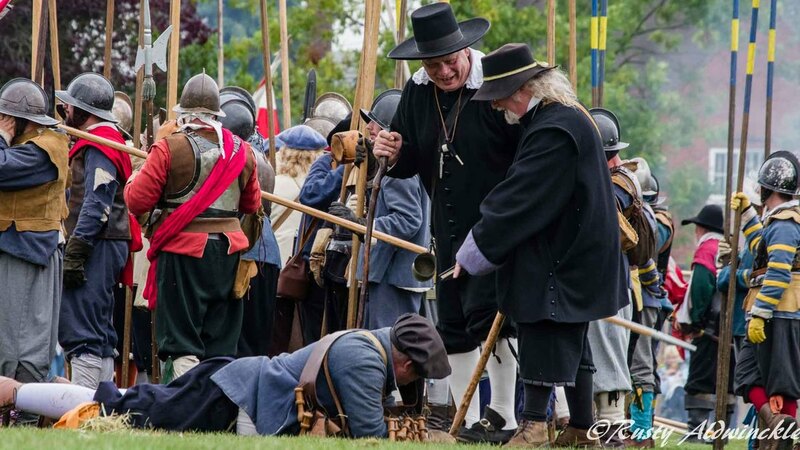 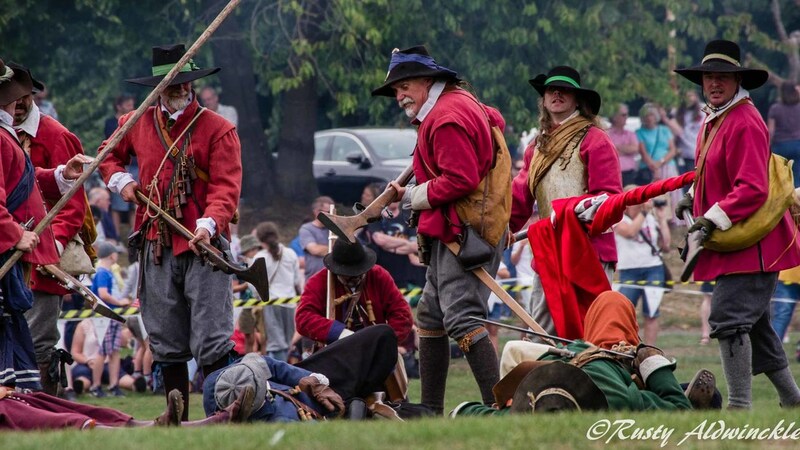 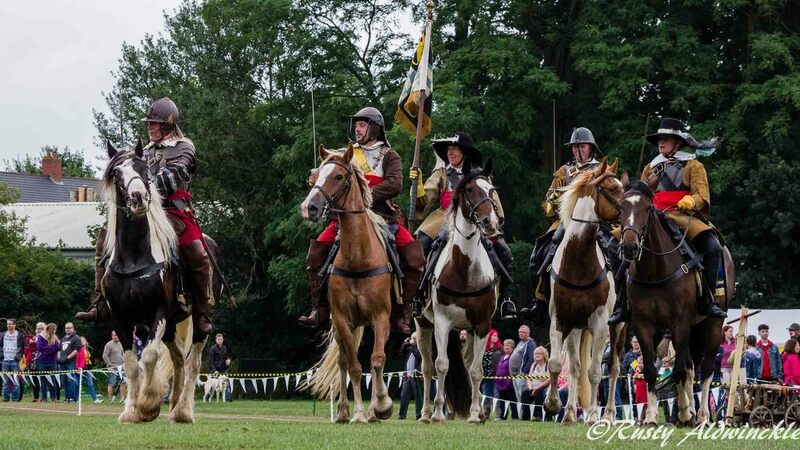 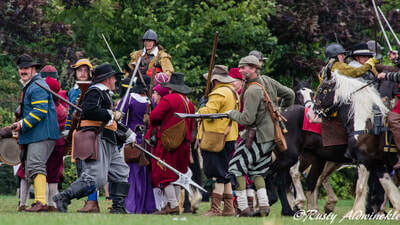 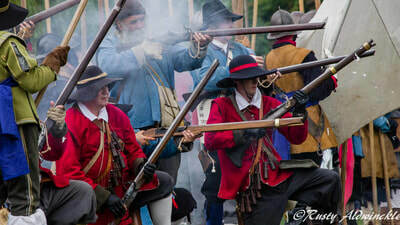 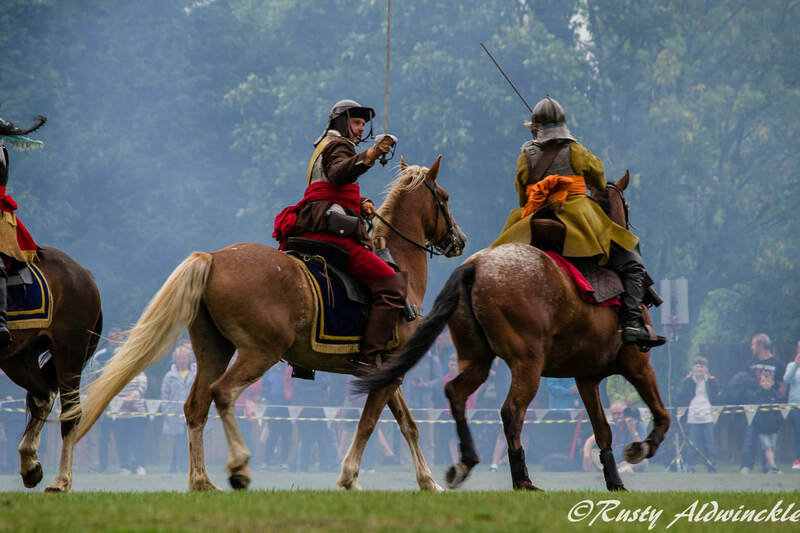 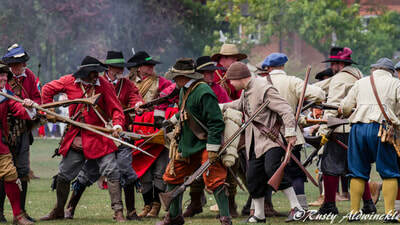 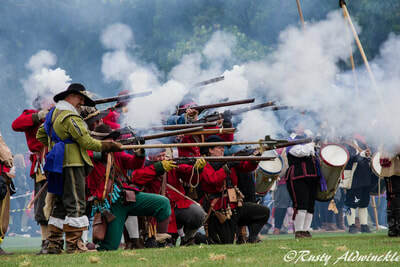 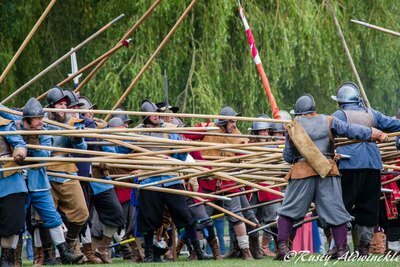 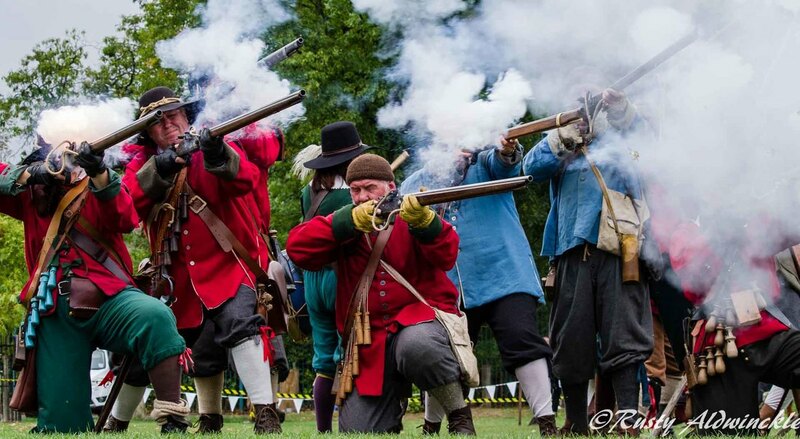 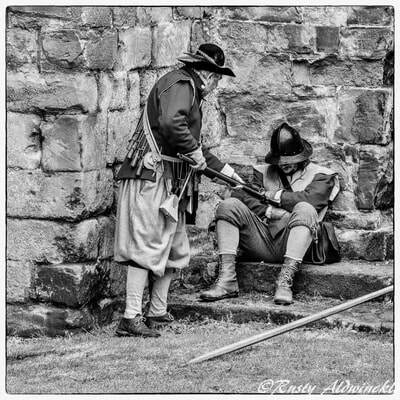 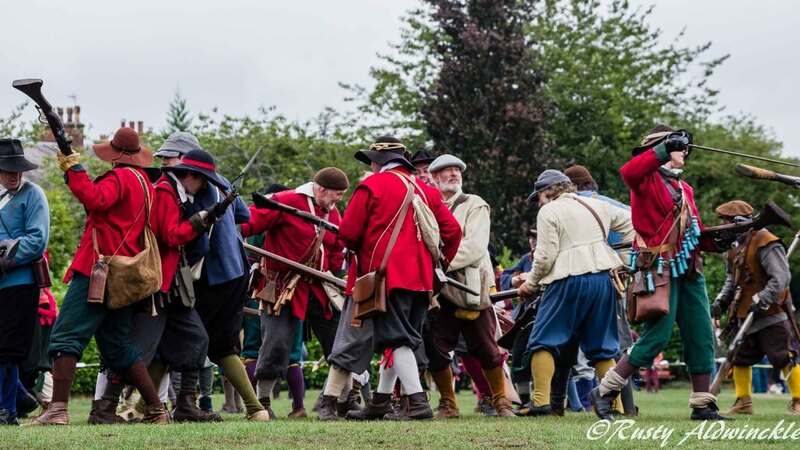 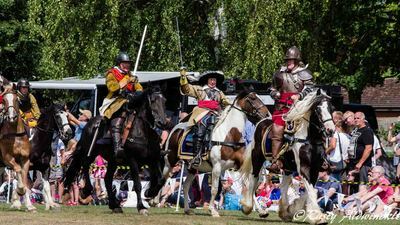 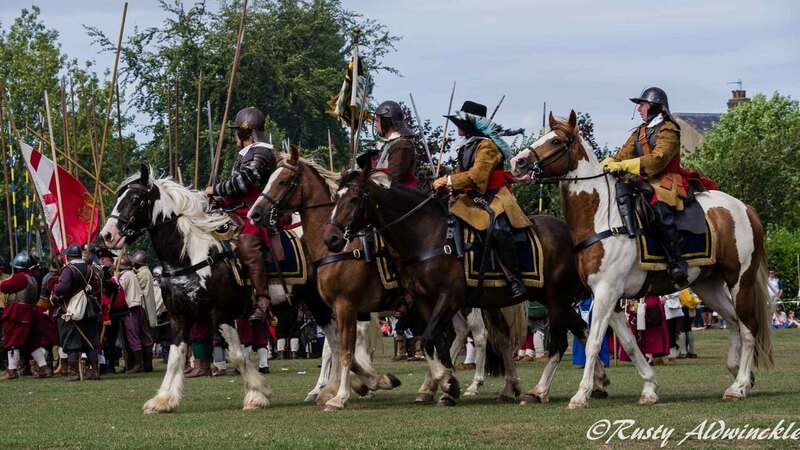 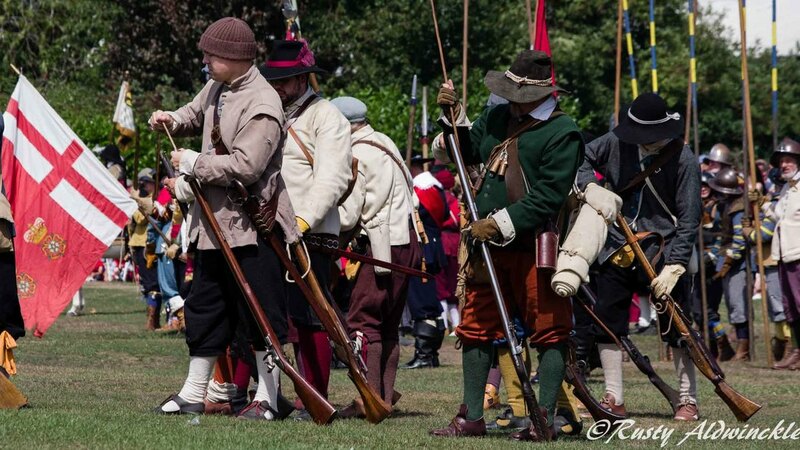 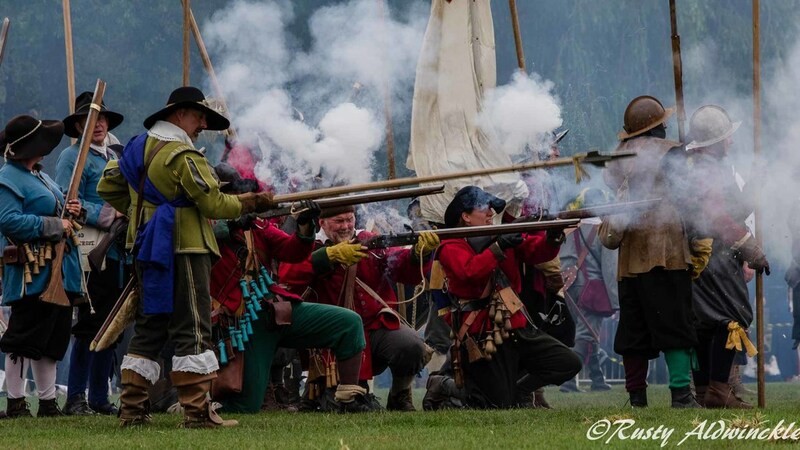 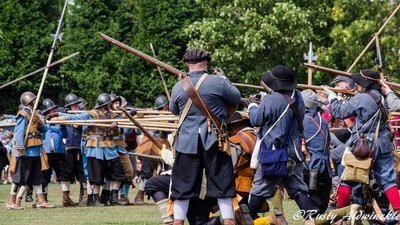 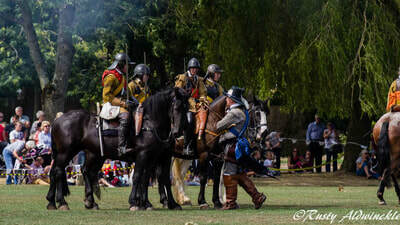 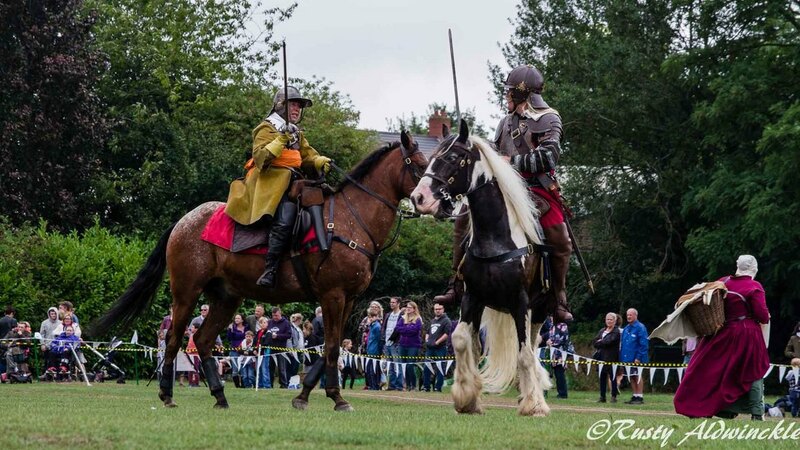 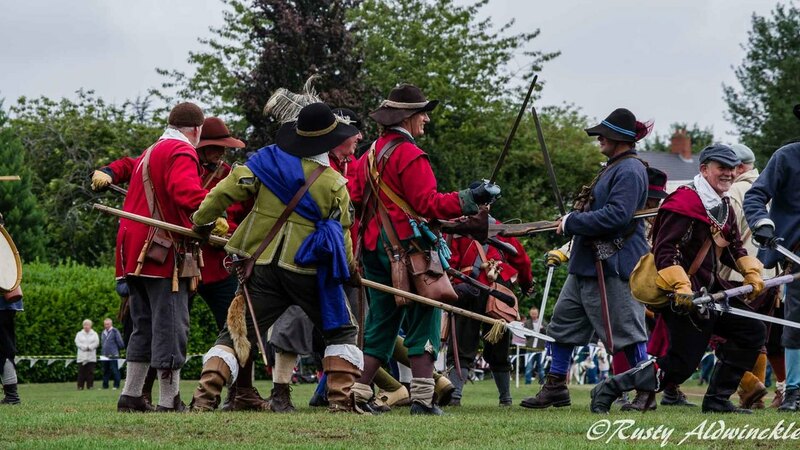 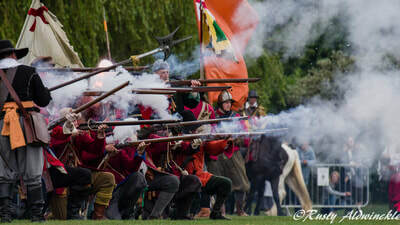 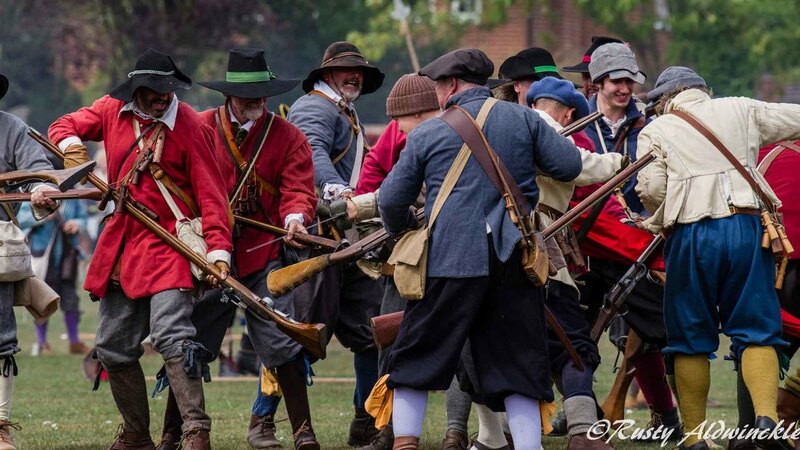 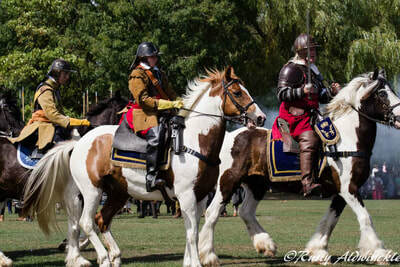 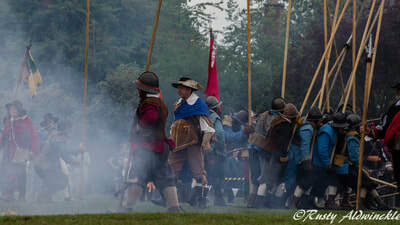 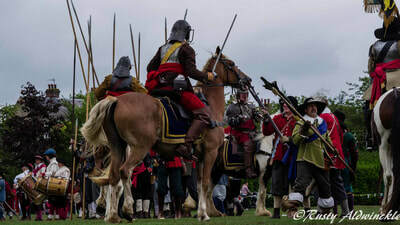 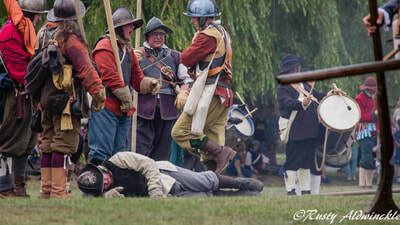 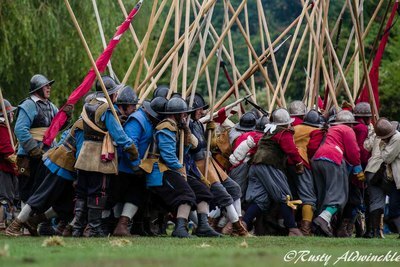 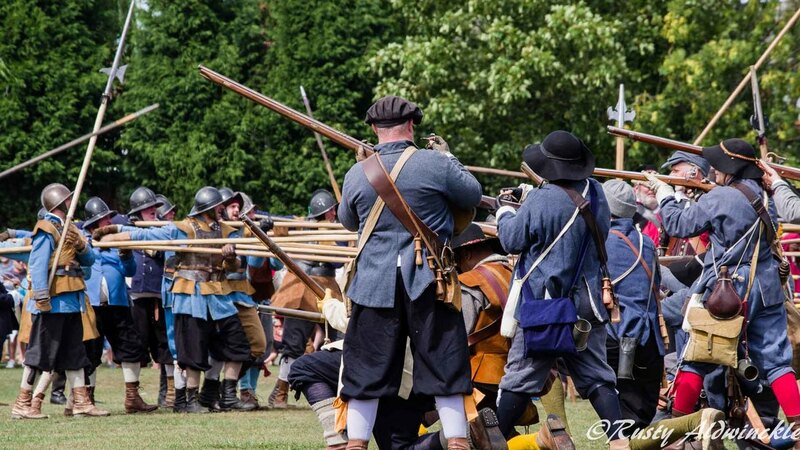 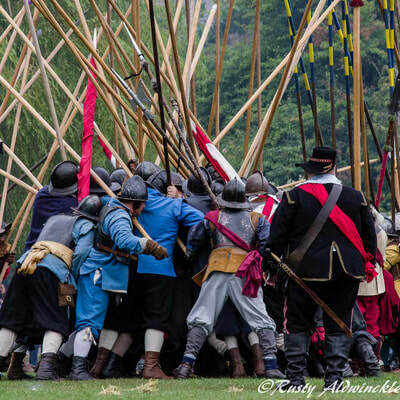 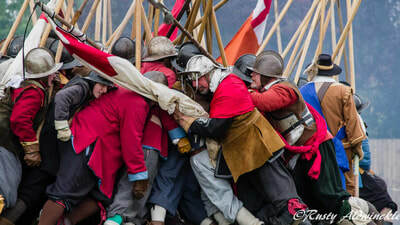 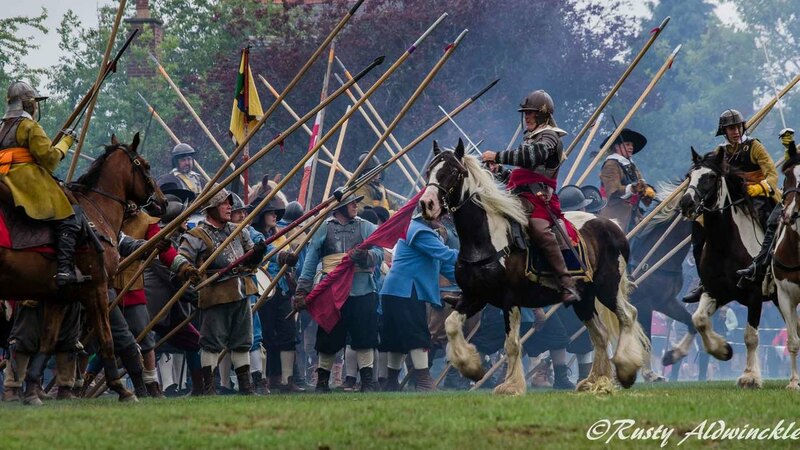 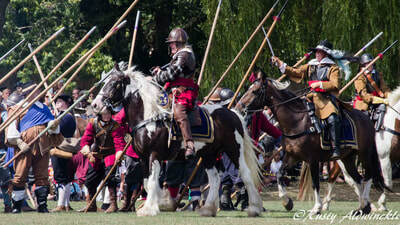 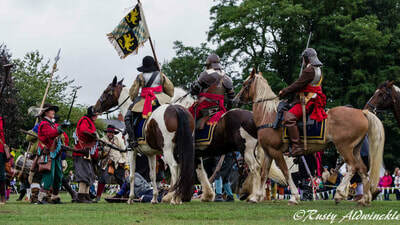 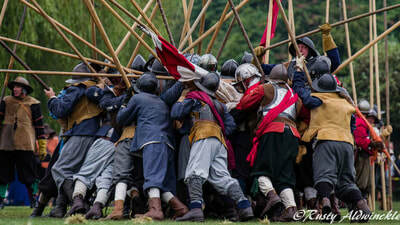 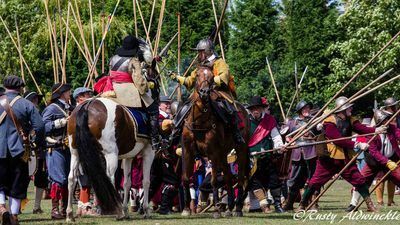 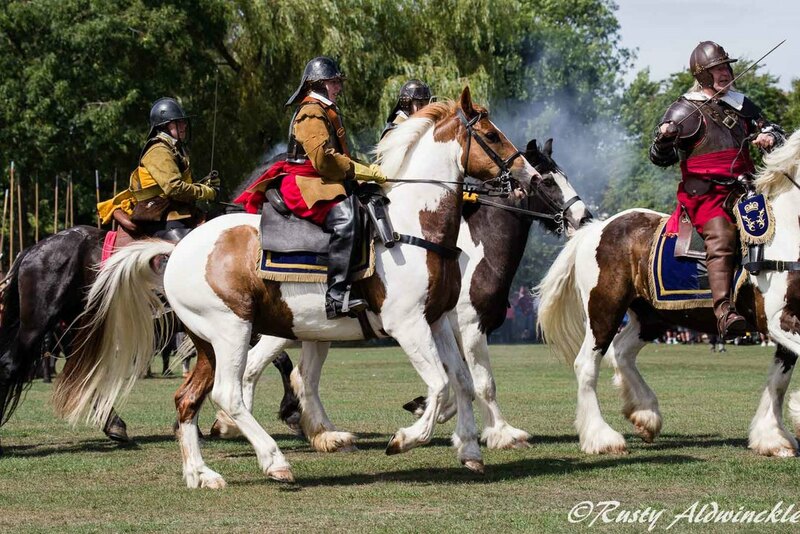 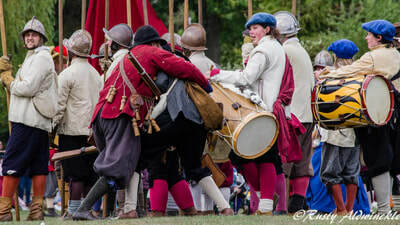 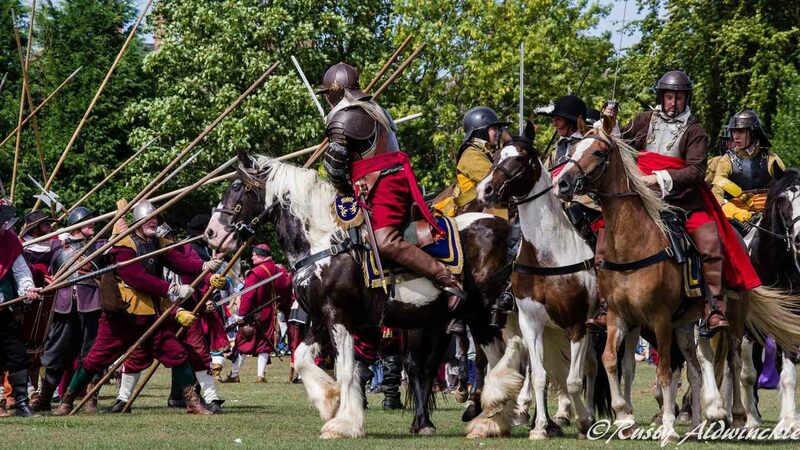 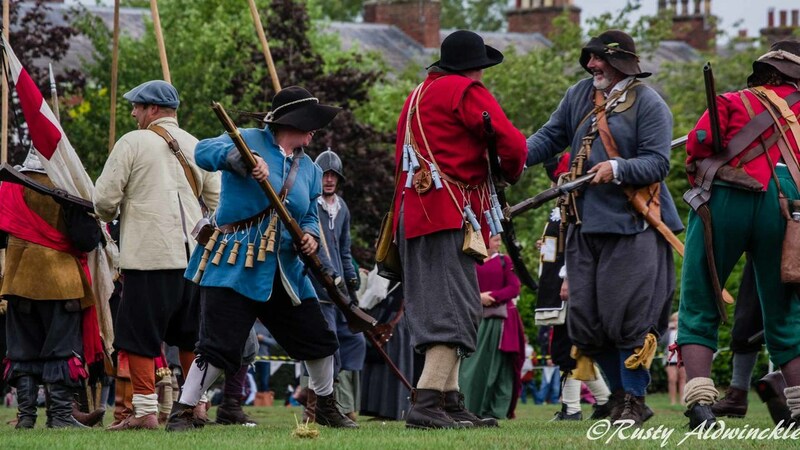 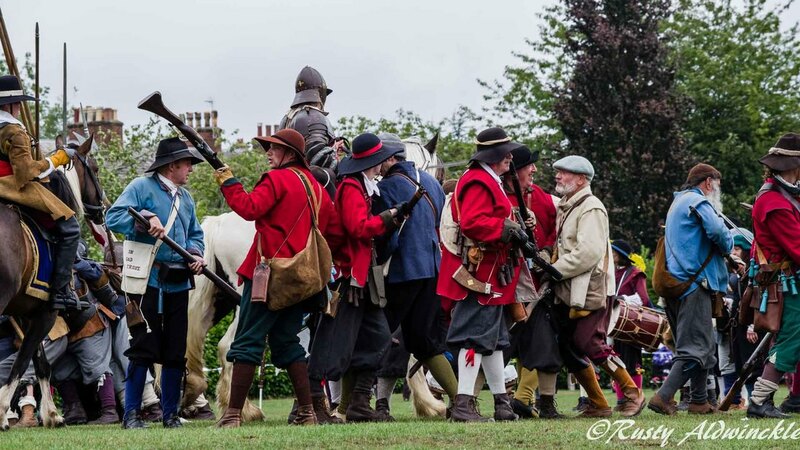 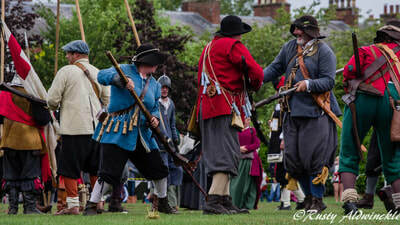 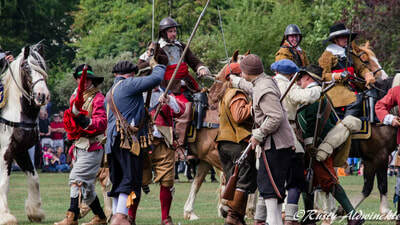 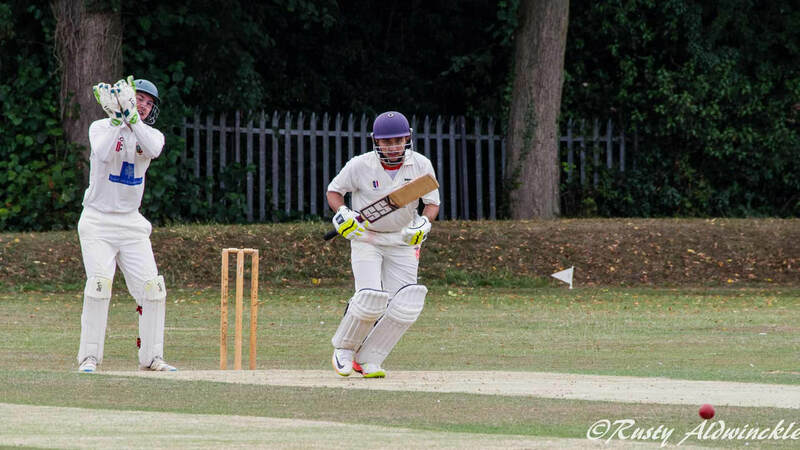 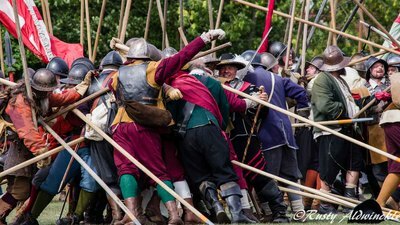 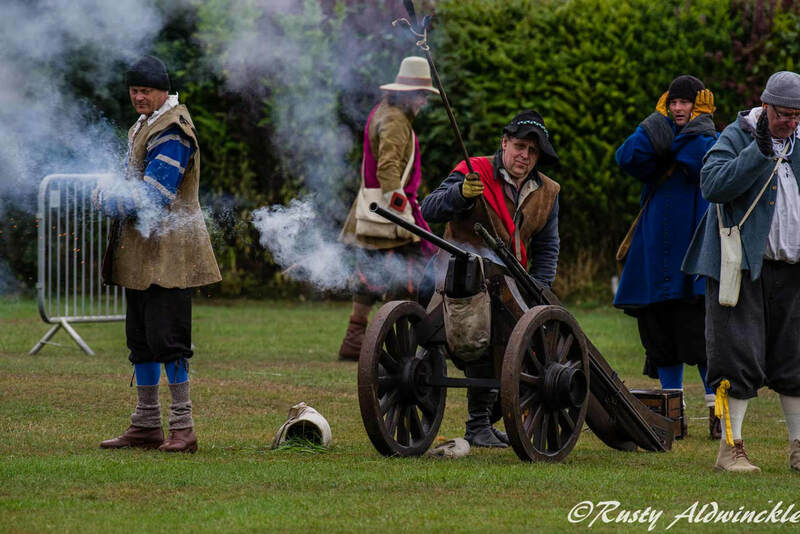 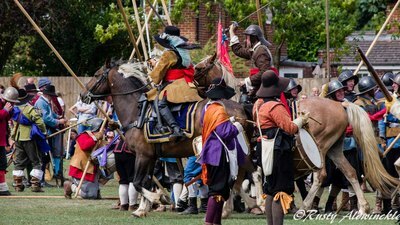 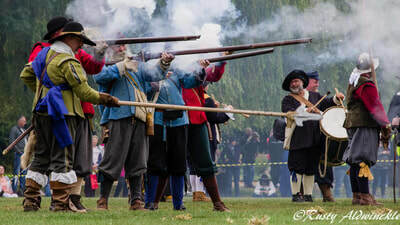 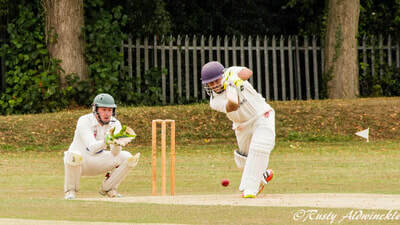 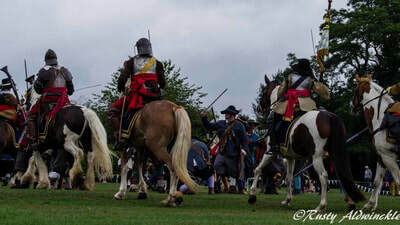 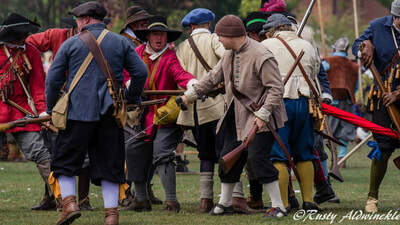 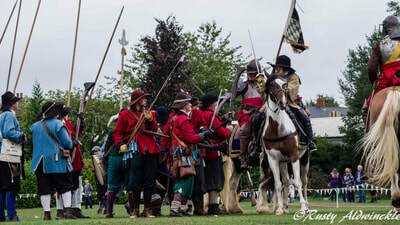 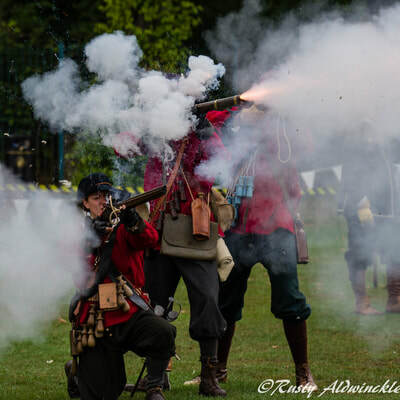 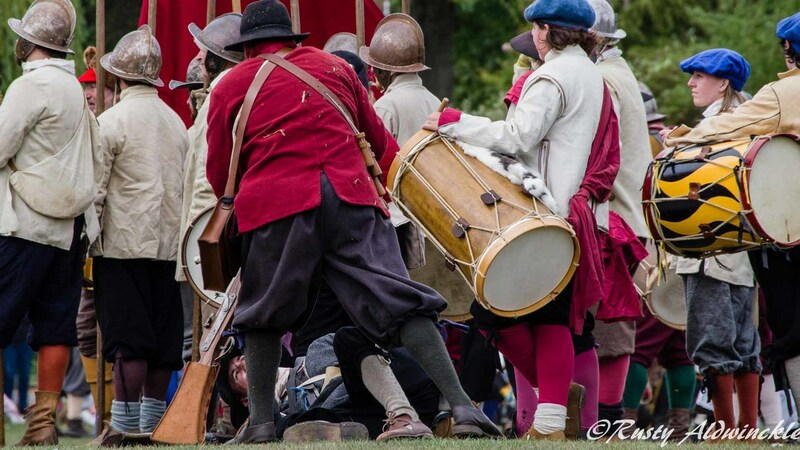 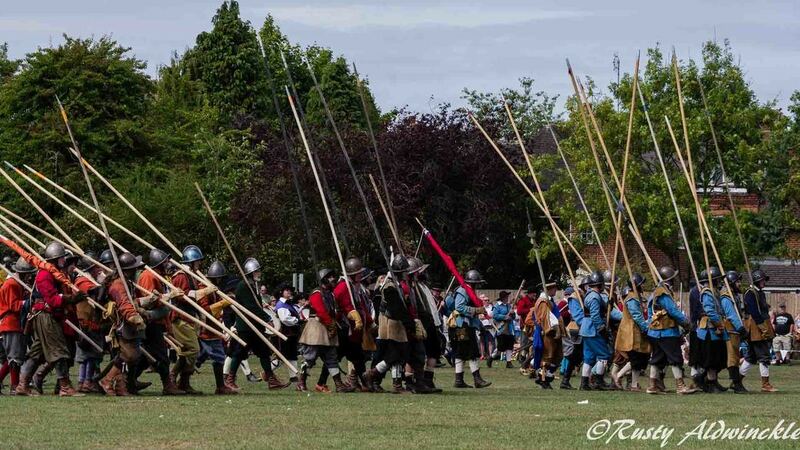 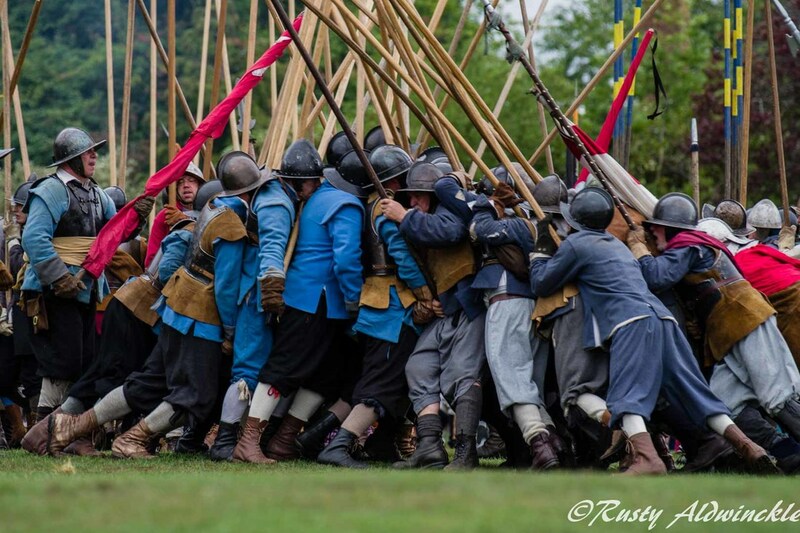 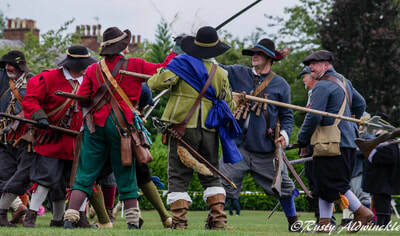 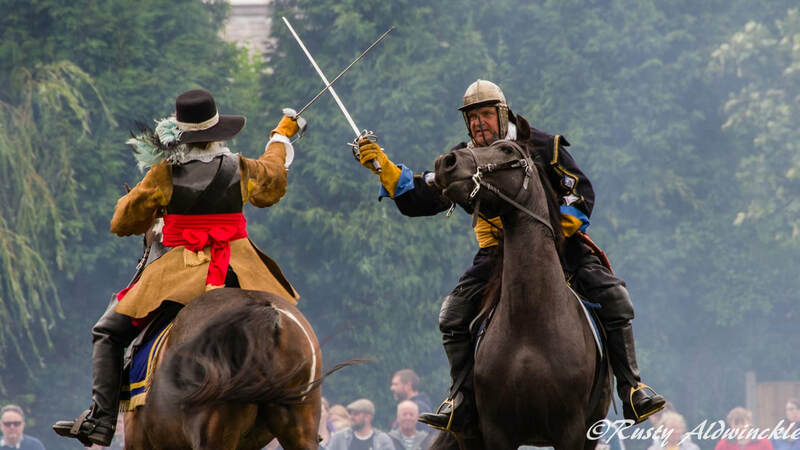 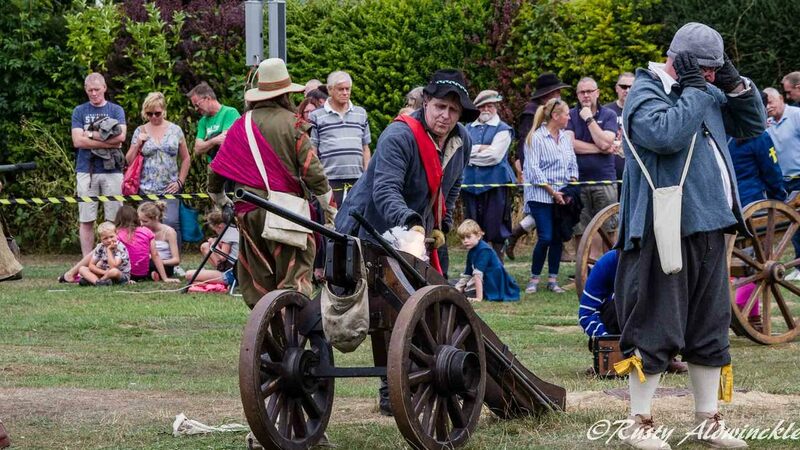 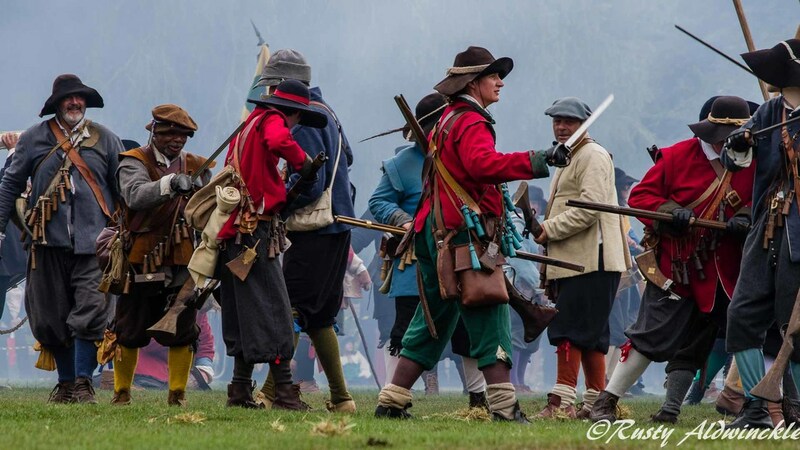 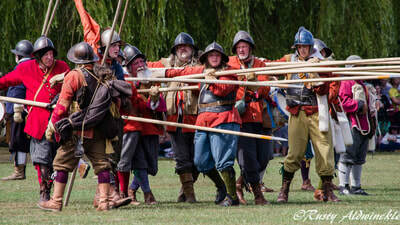 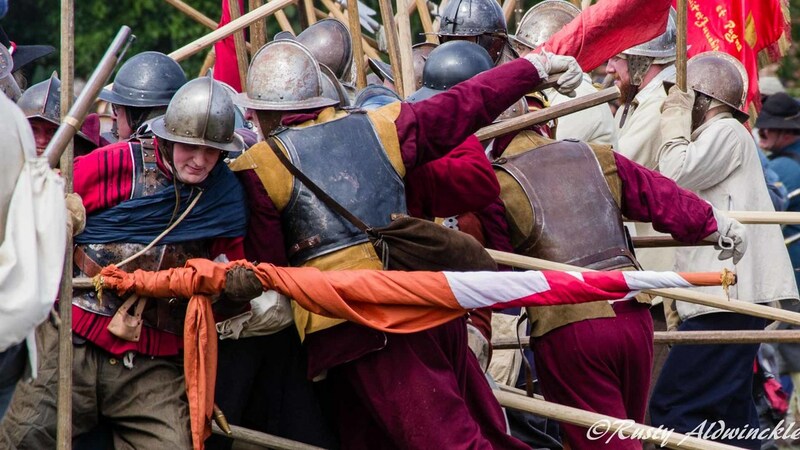 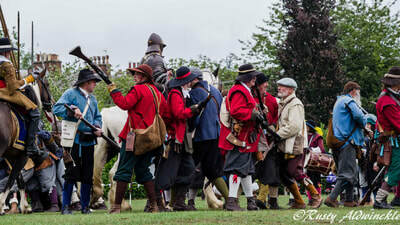 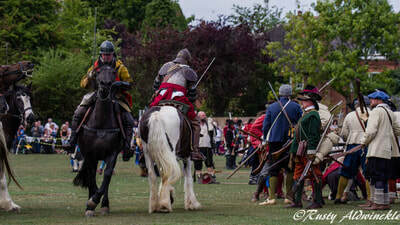 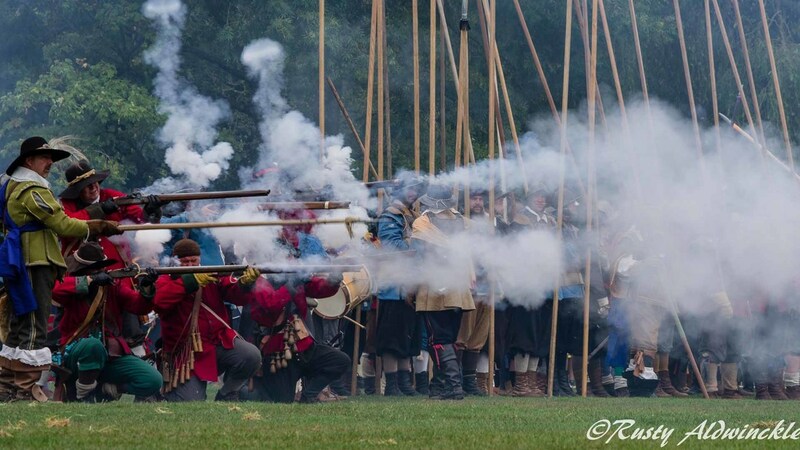 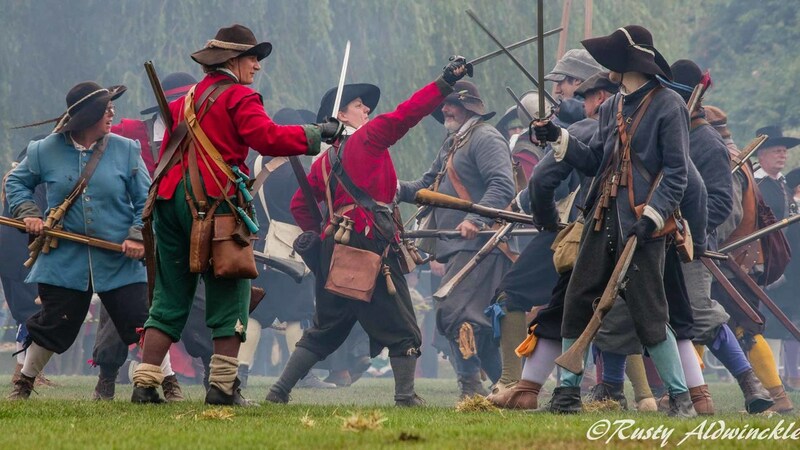 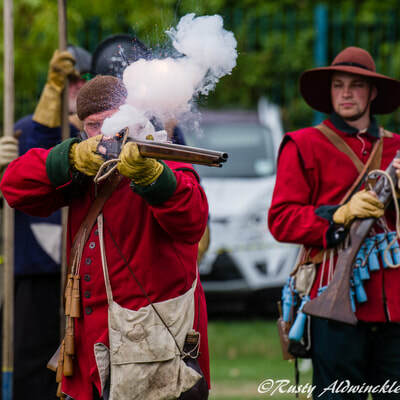 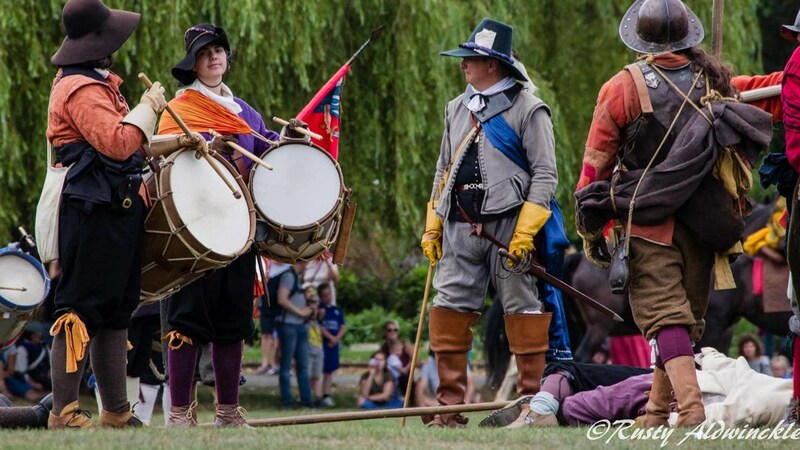 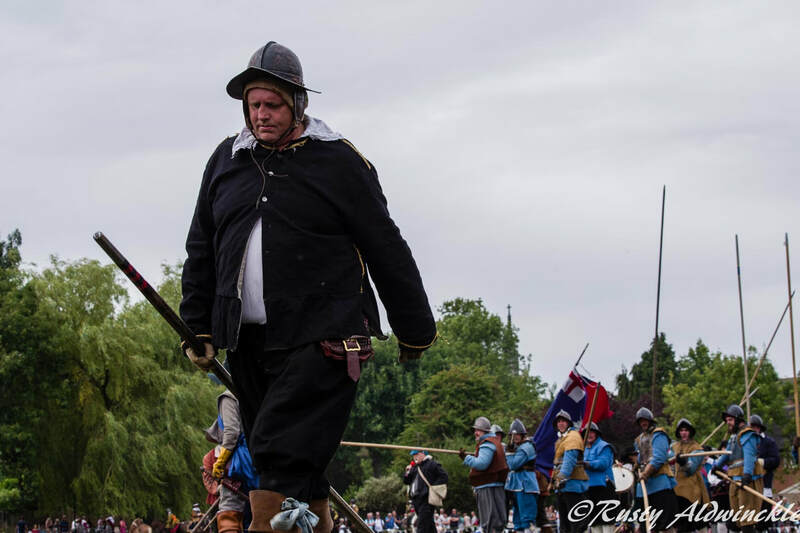 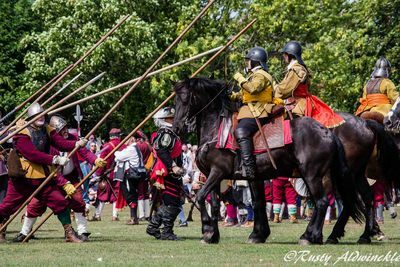 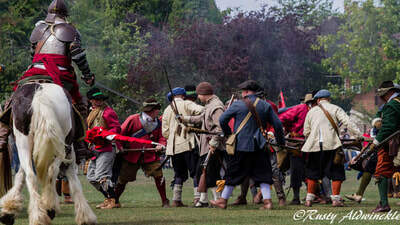 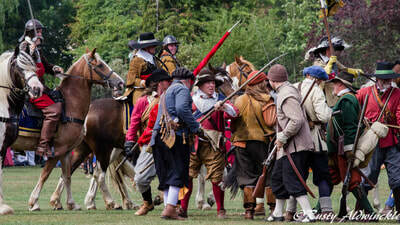 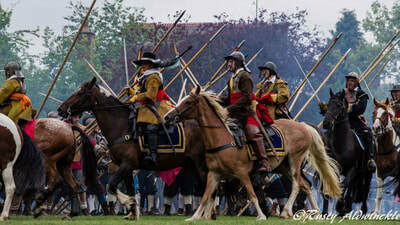 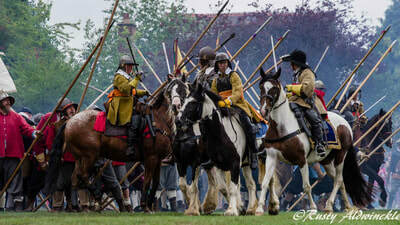 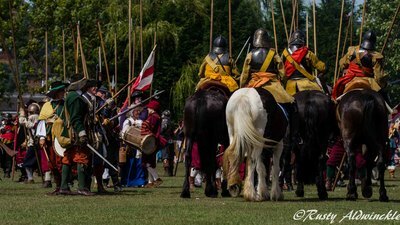 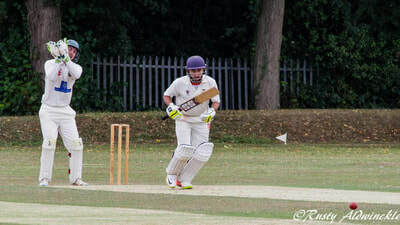 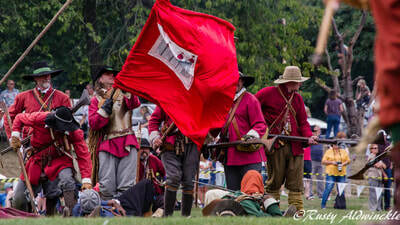 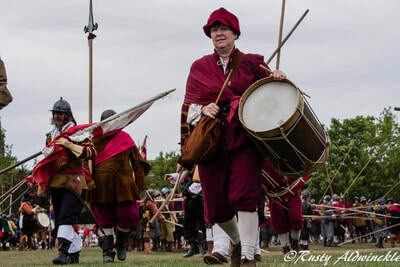 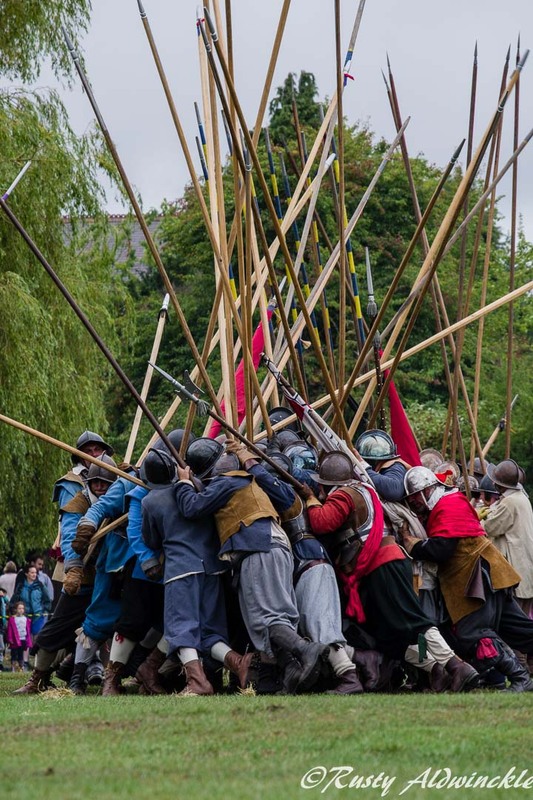 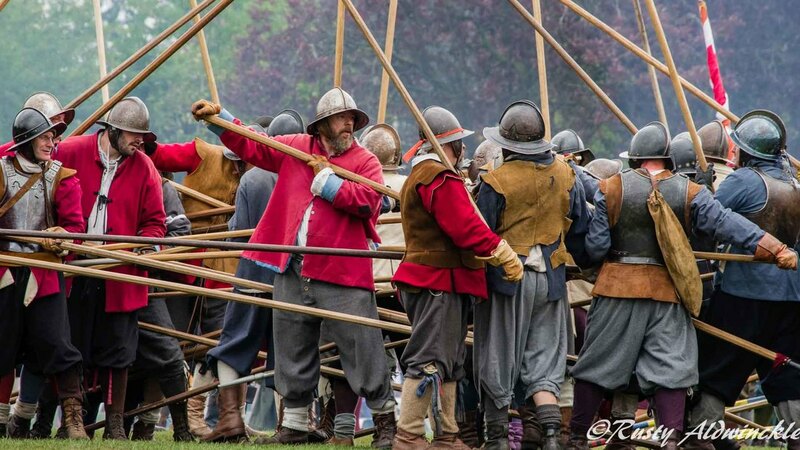 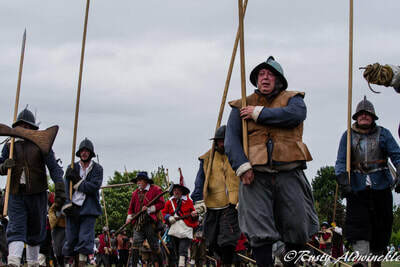 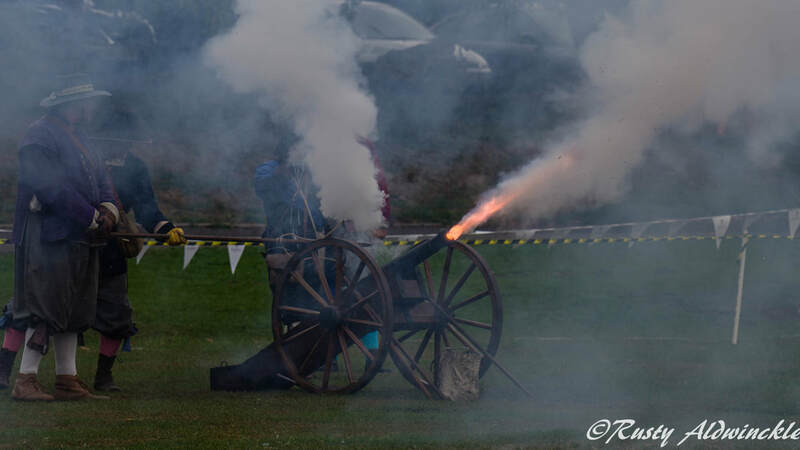 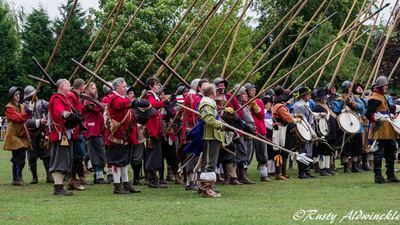 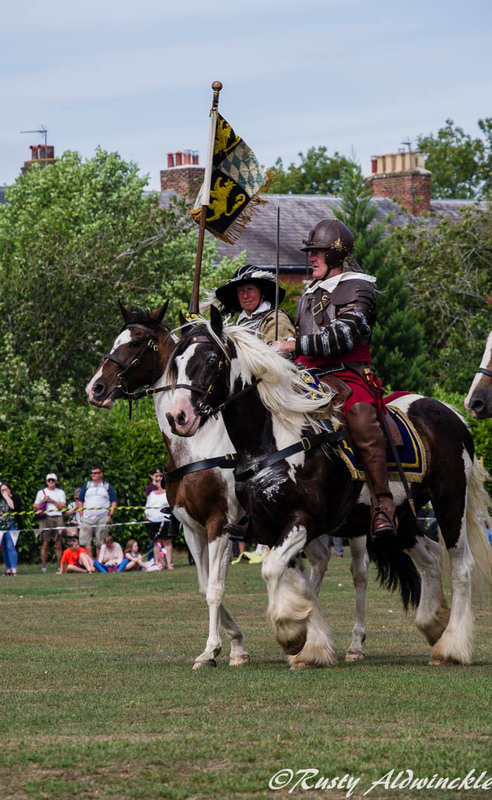 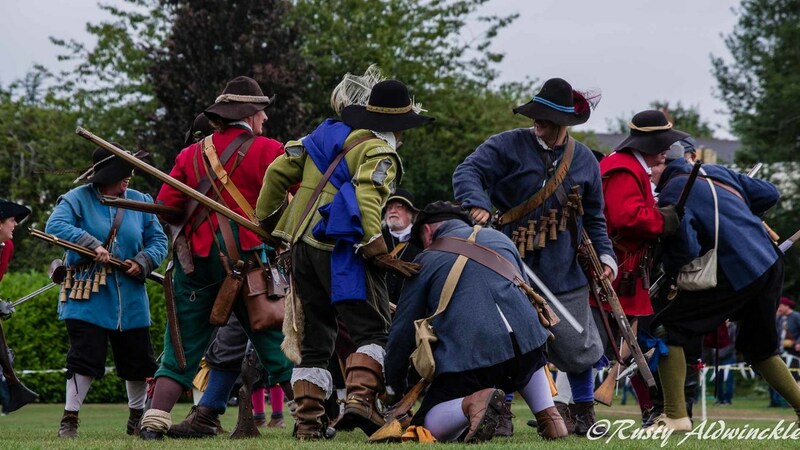 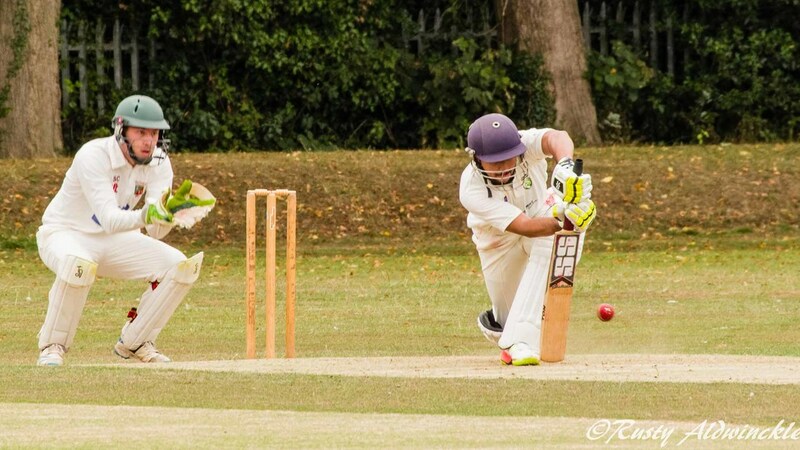 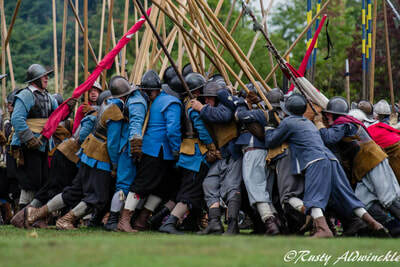 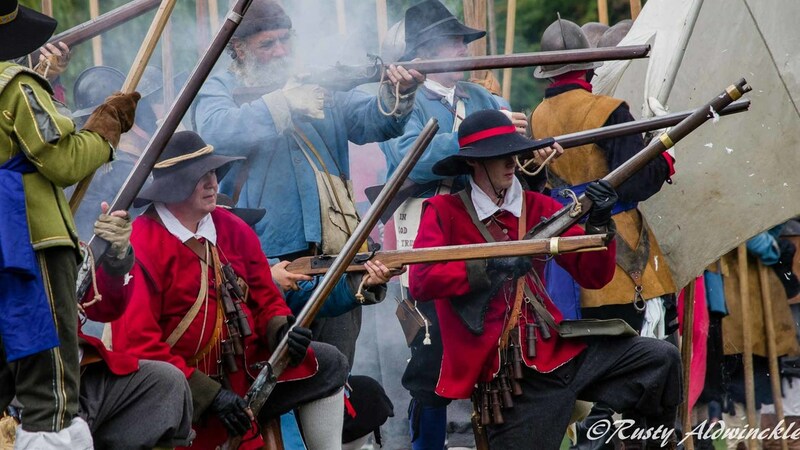 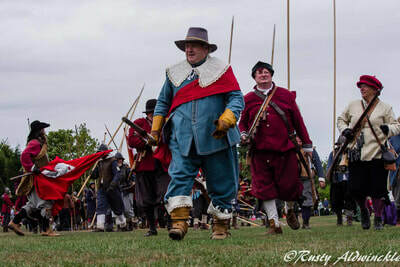 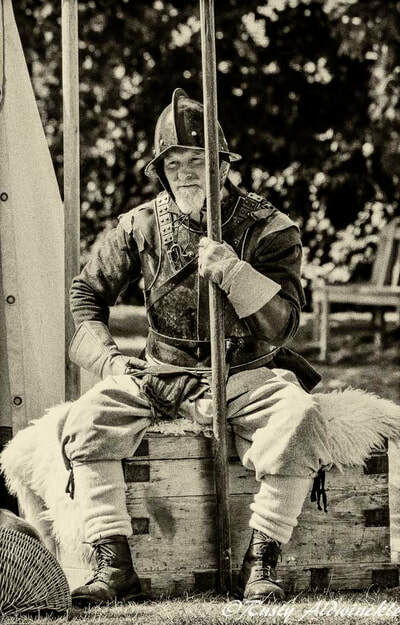 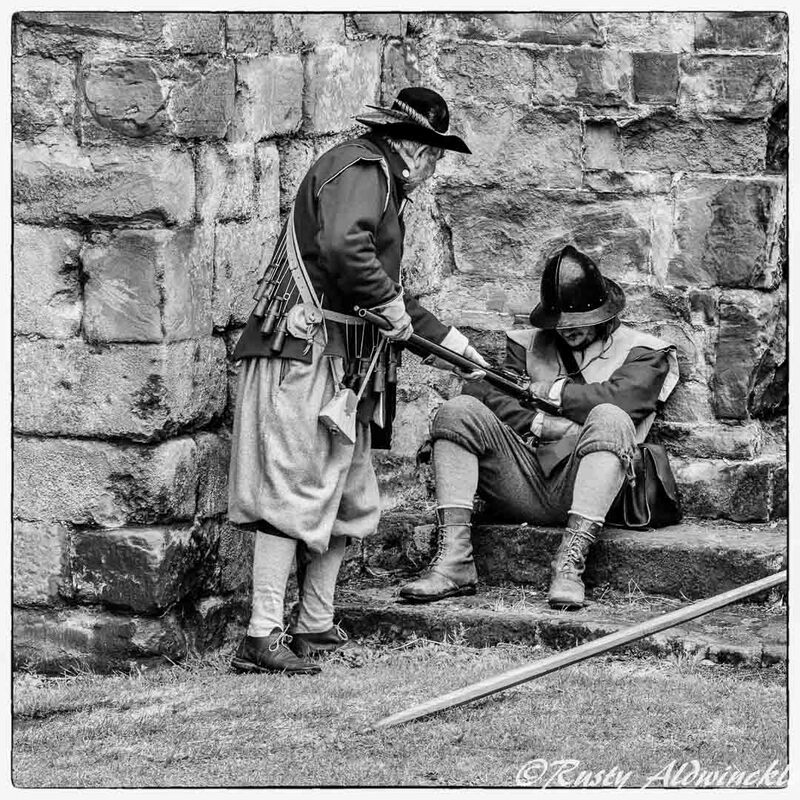 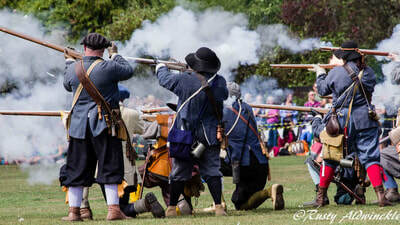 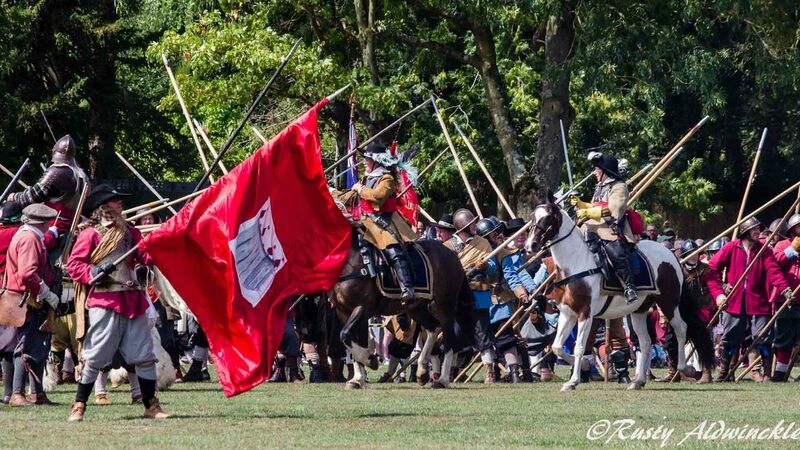 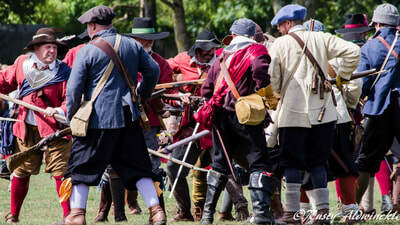 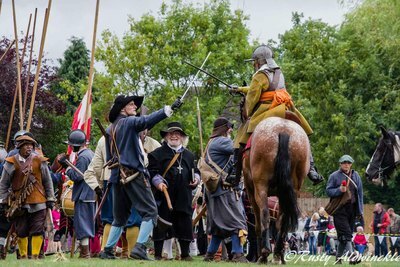 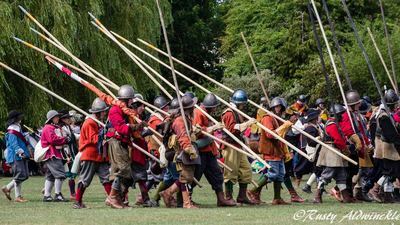 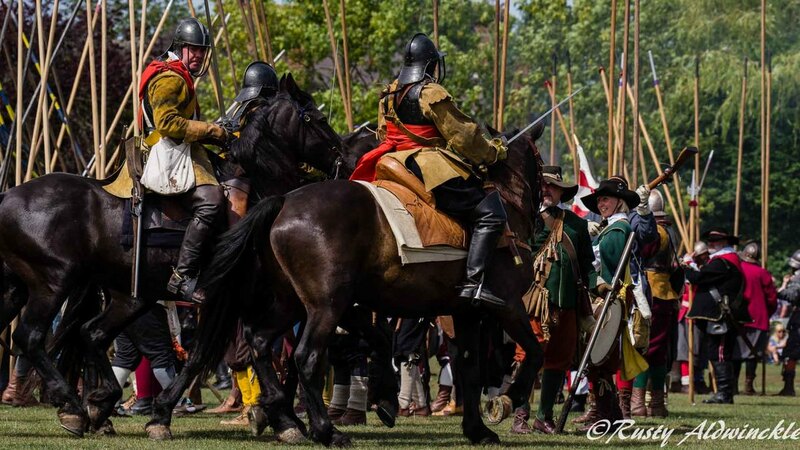 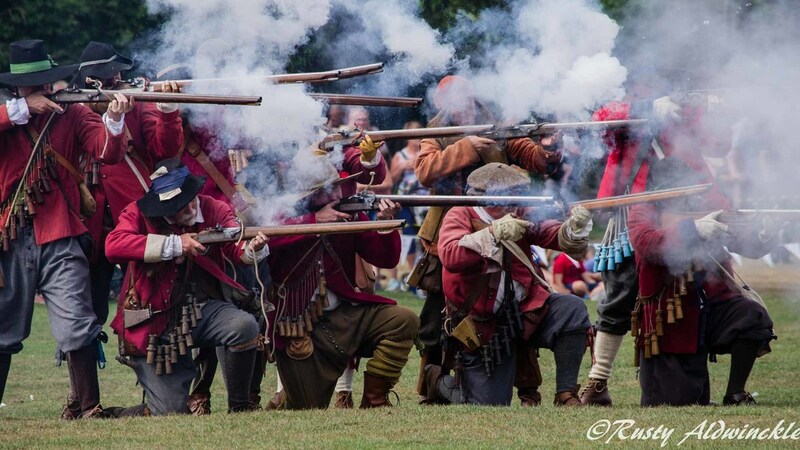 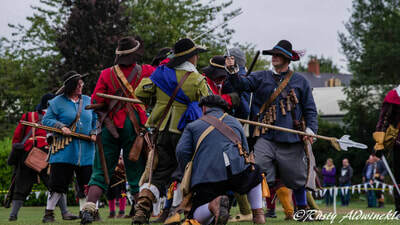 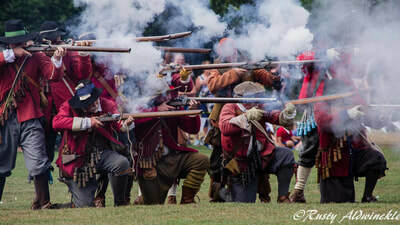 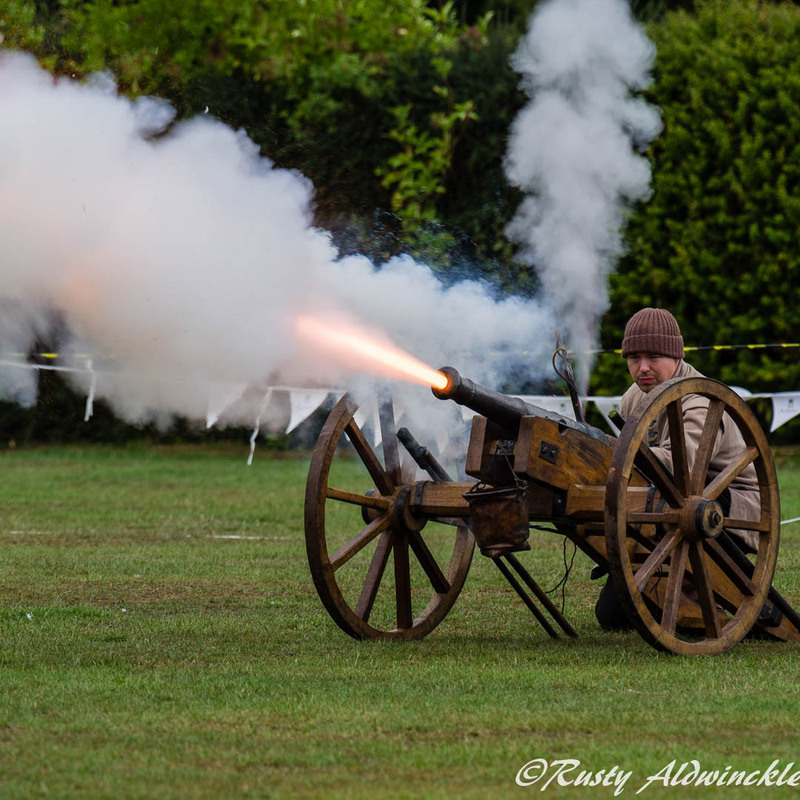 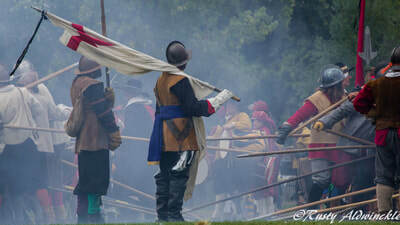 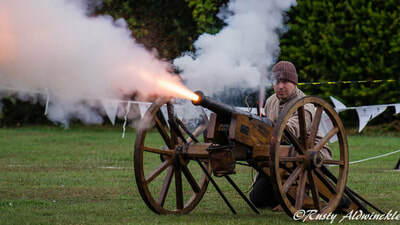 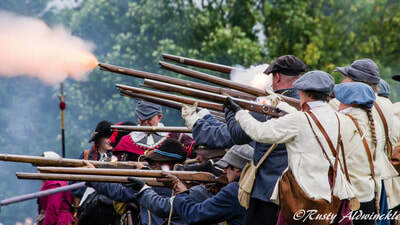 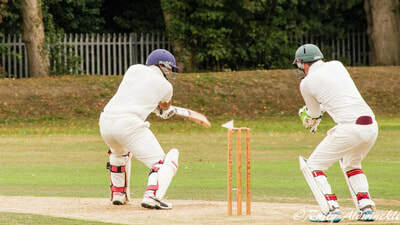 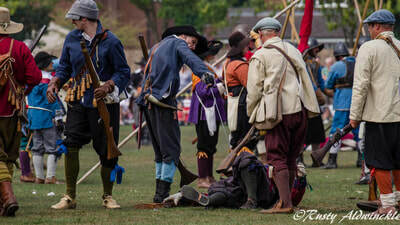 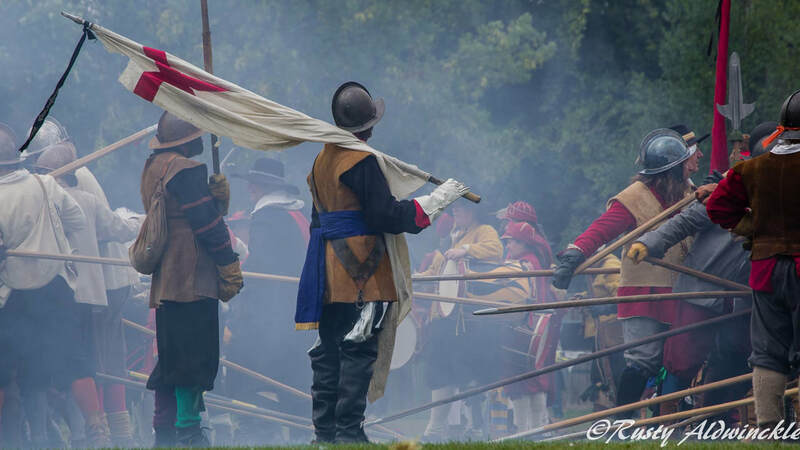 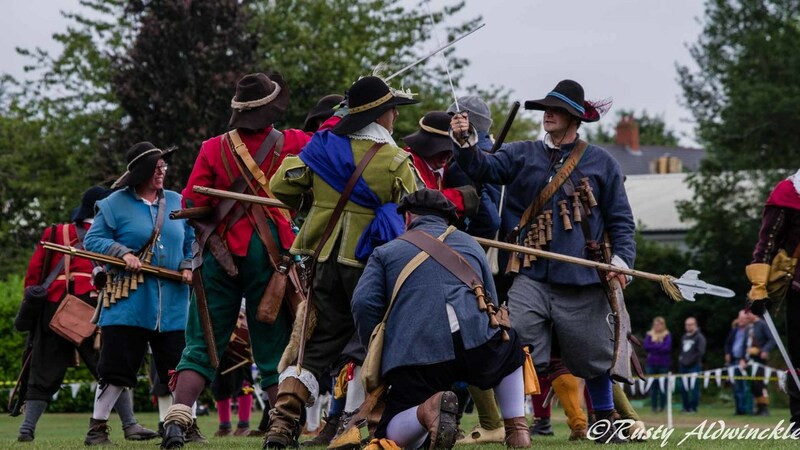 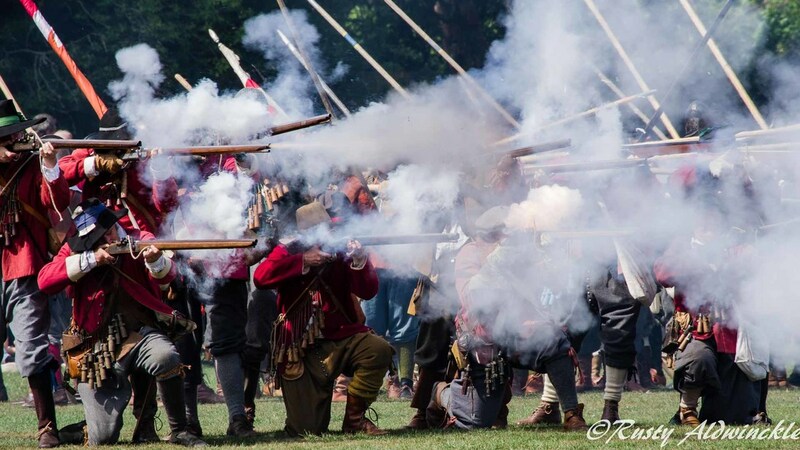 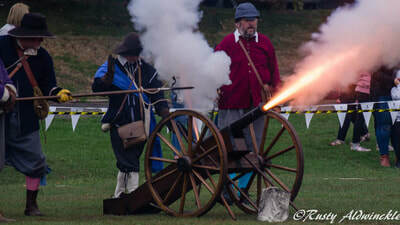 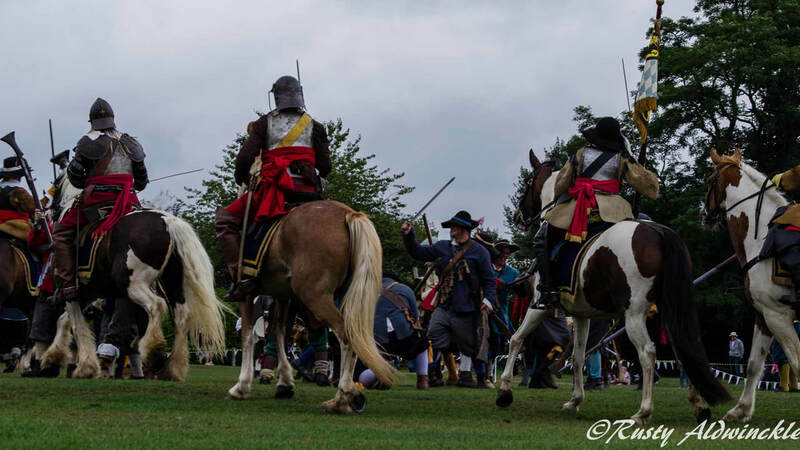 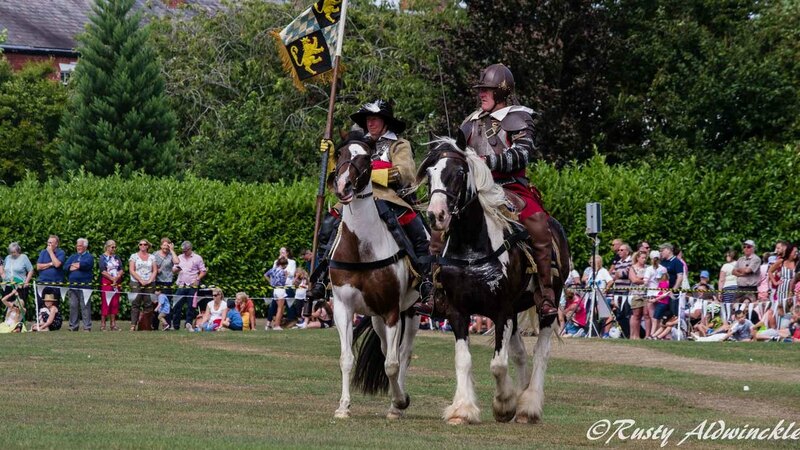 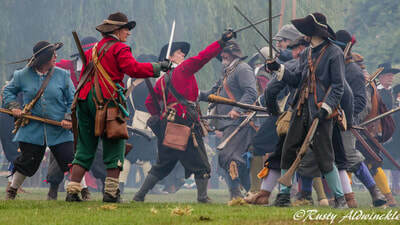 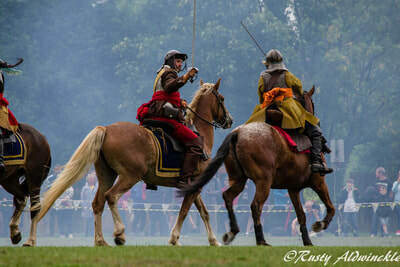 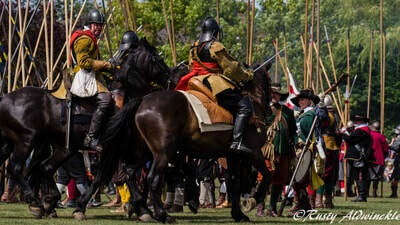 It was a little unusual for a battle to be taking place next to a Cricket Match but its a typical English happening and none were phased by it.